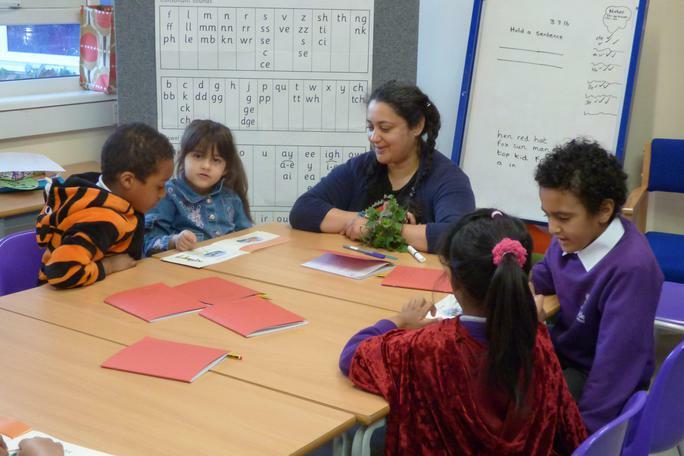 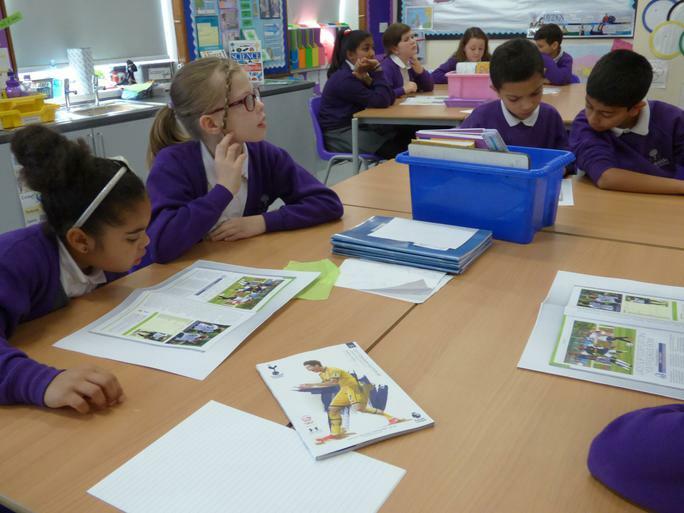 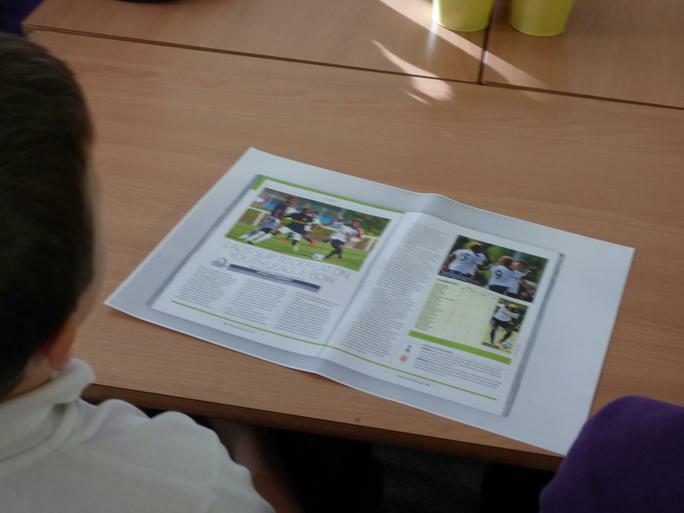 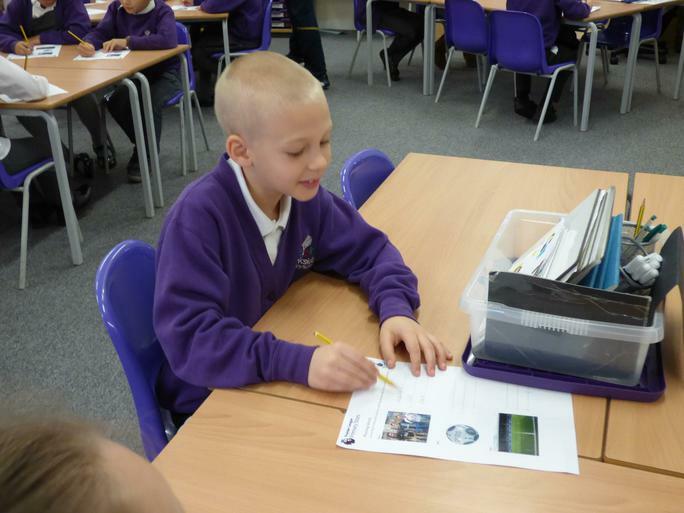 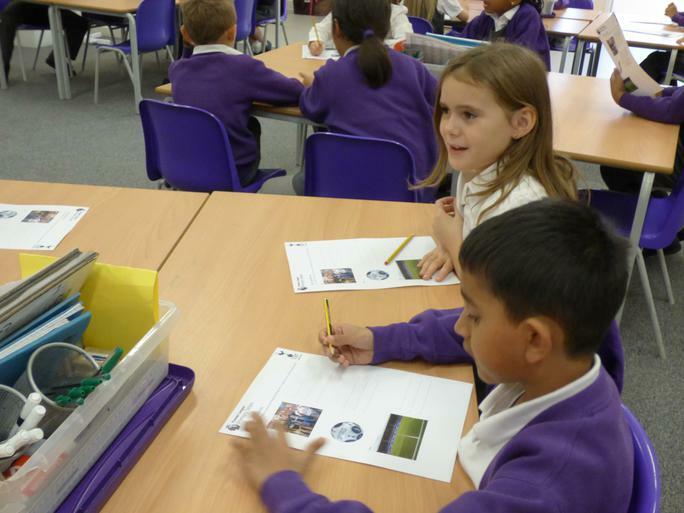 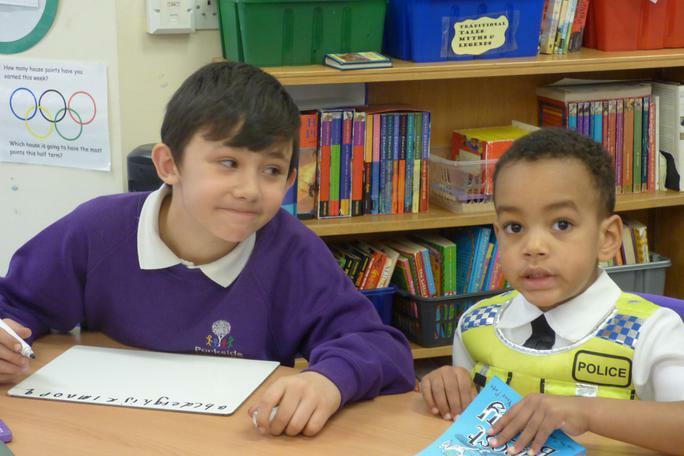 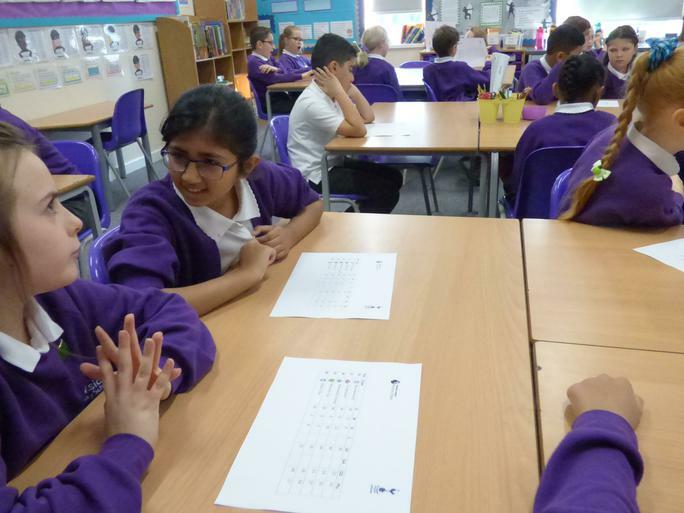 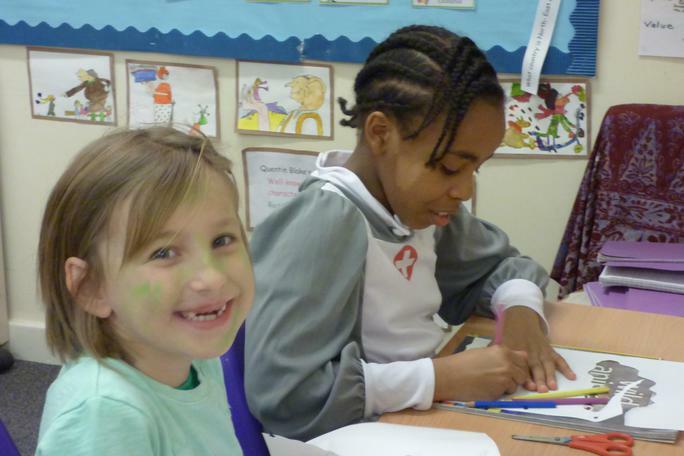 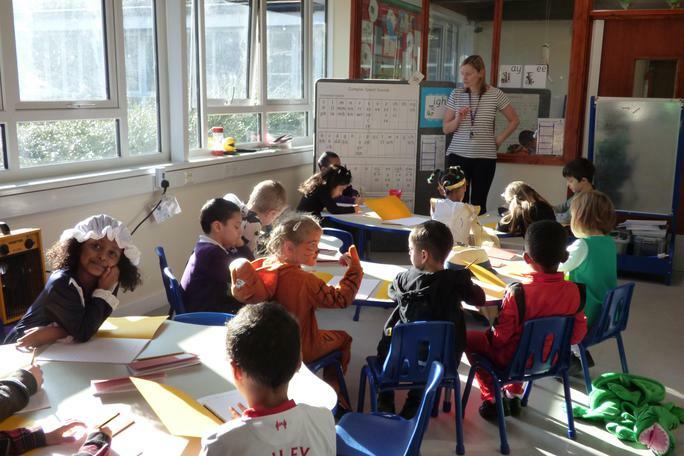 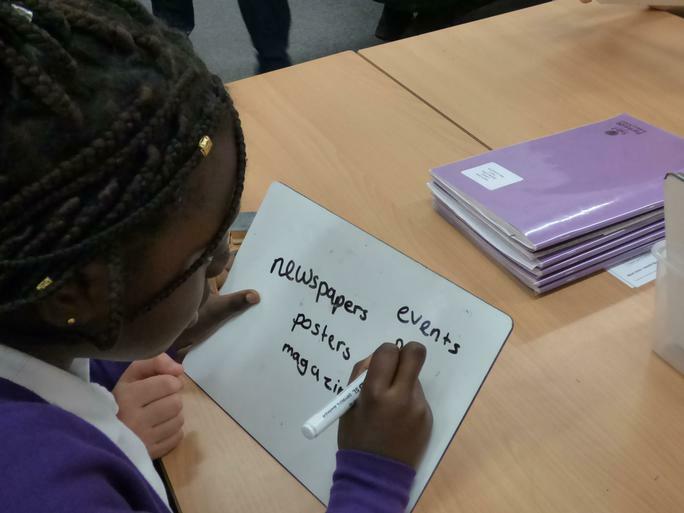 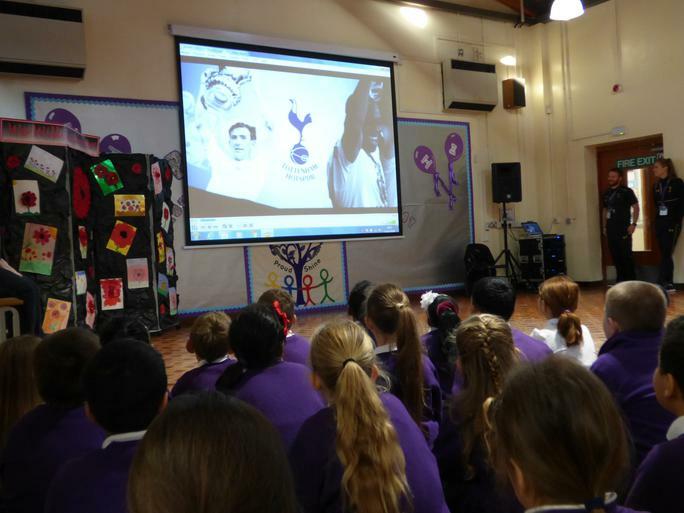 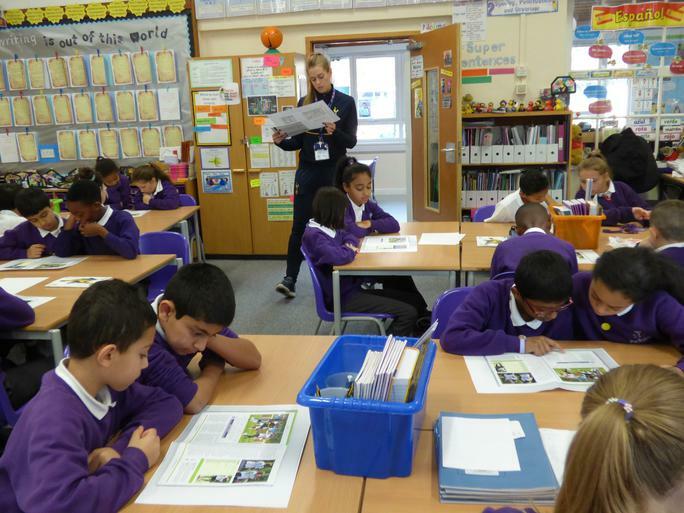 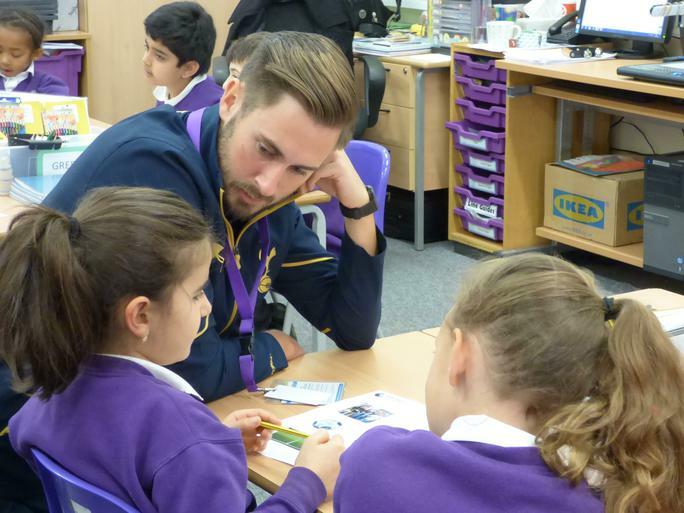 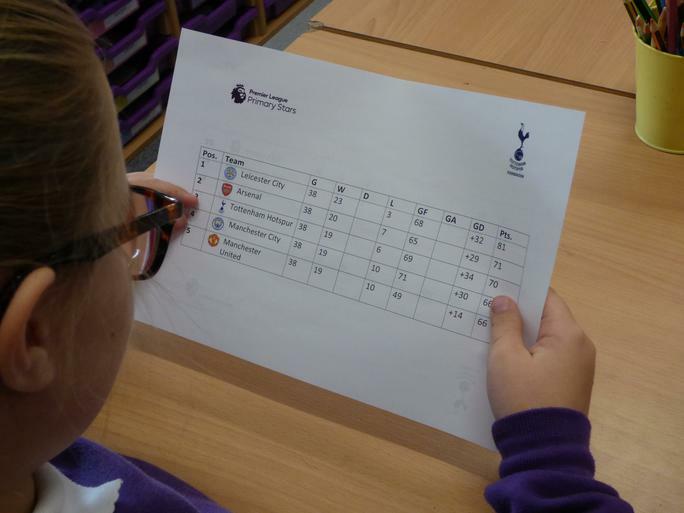 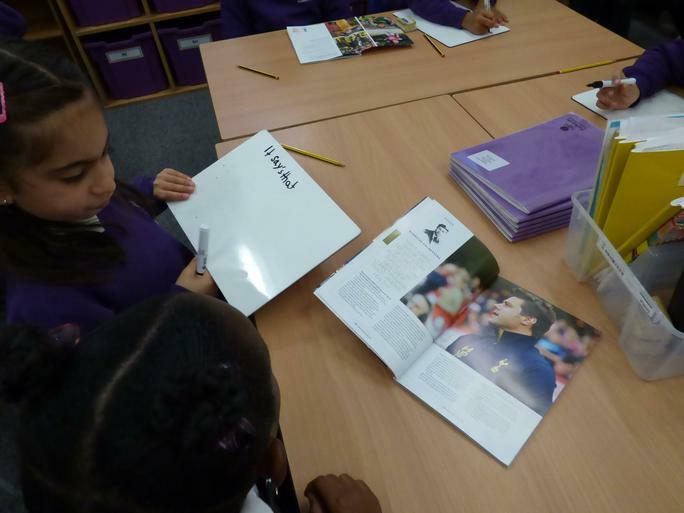 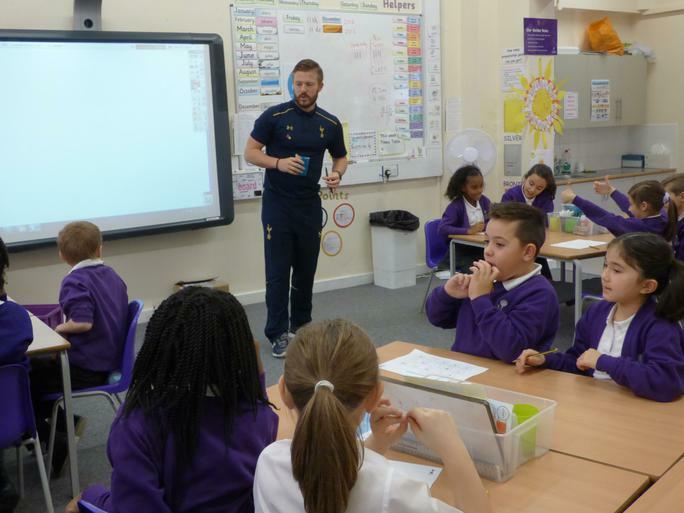 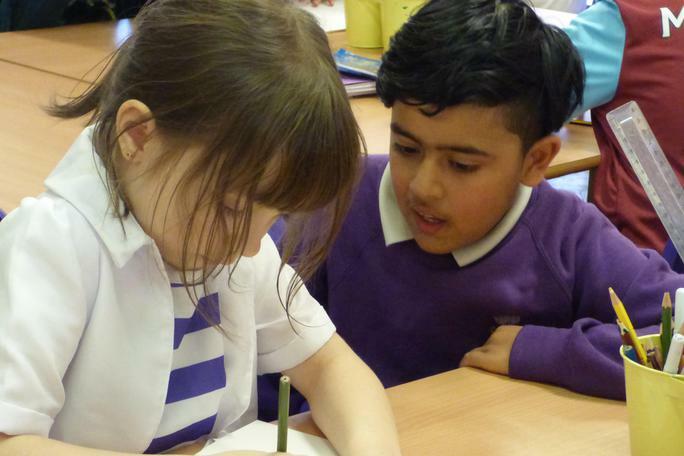 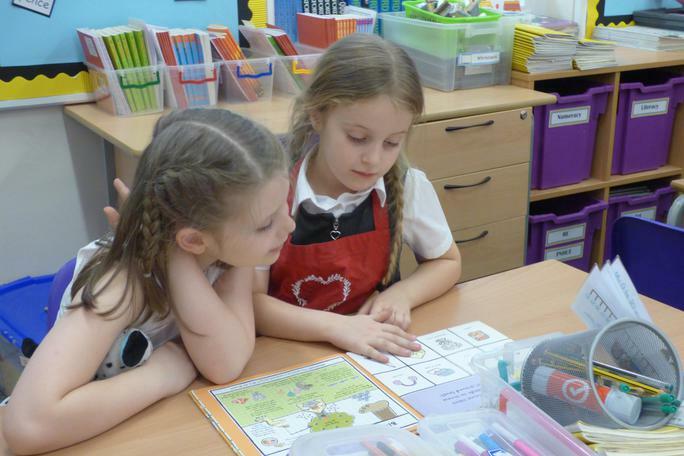 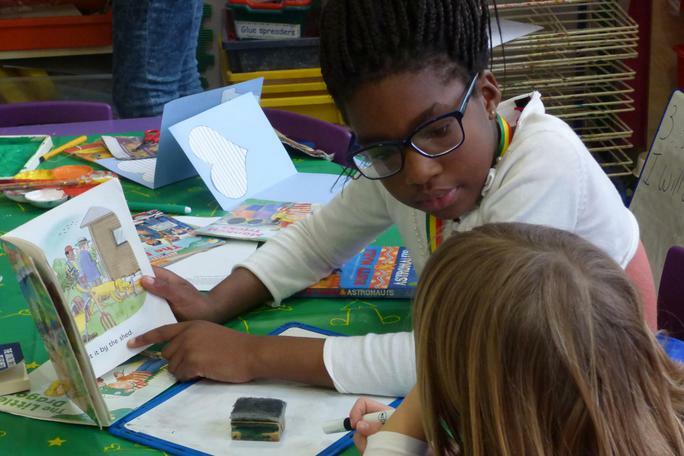 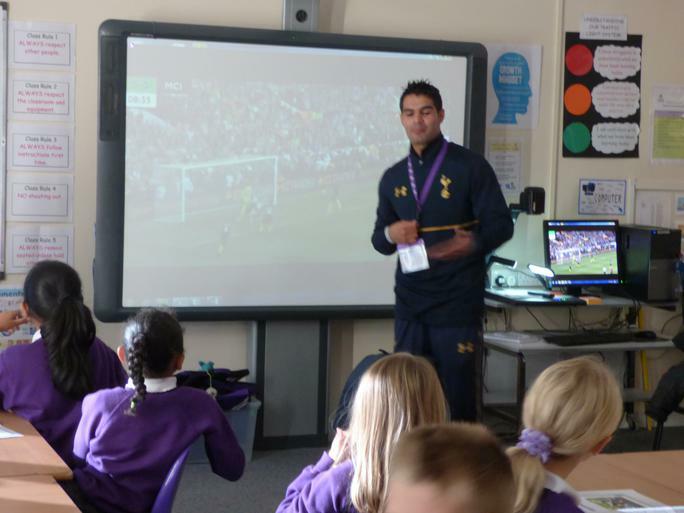 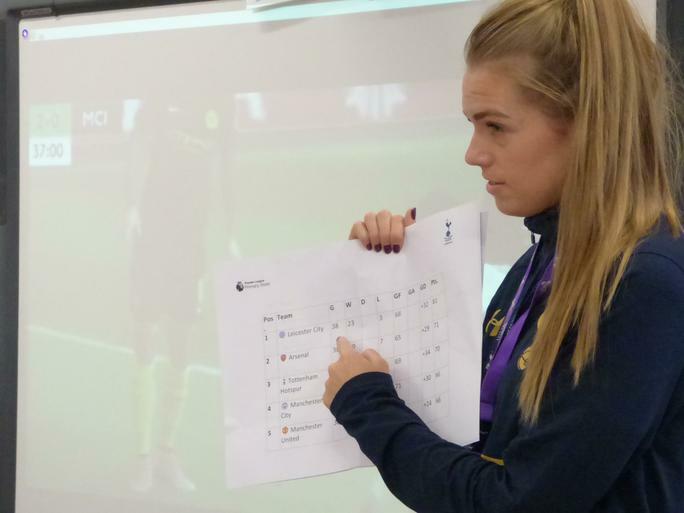 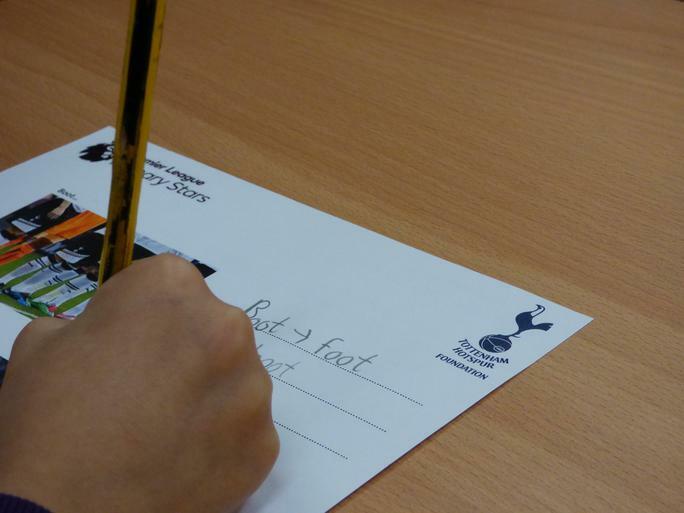 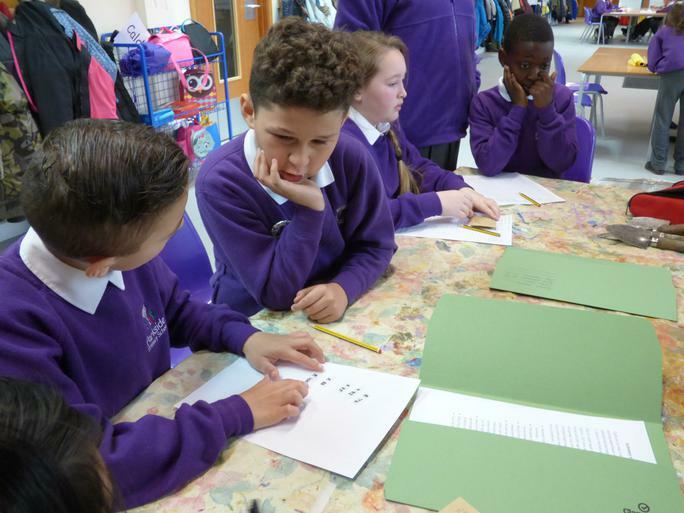 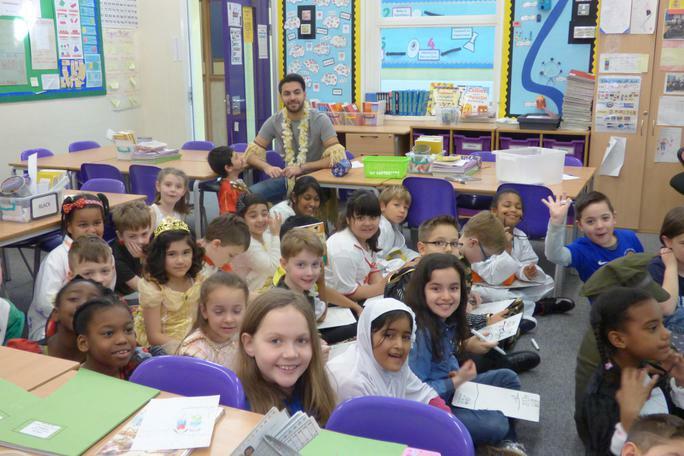 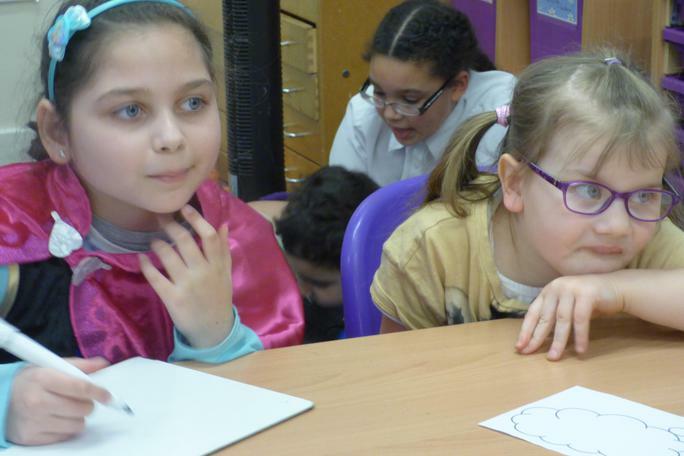 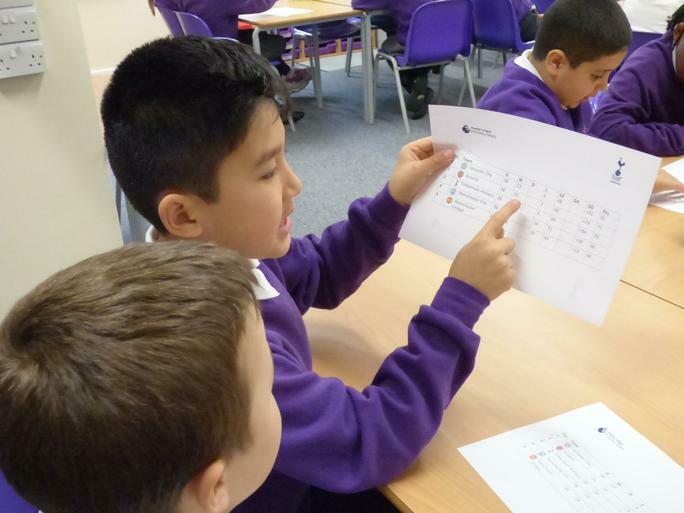 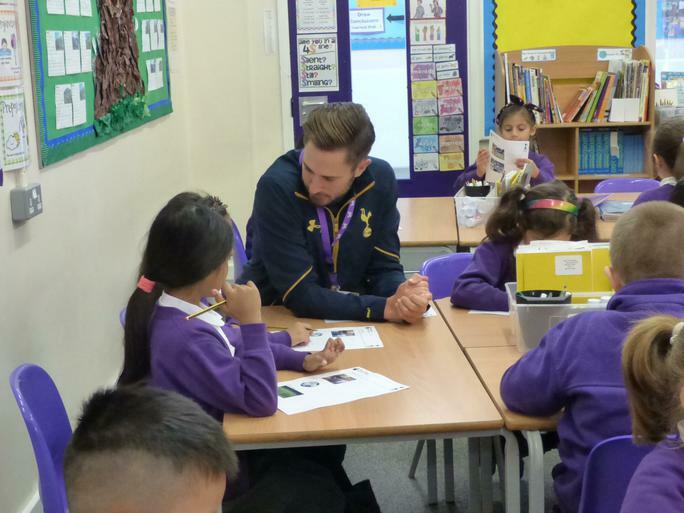 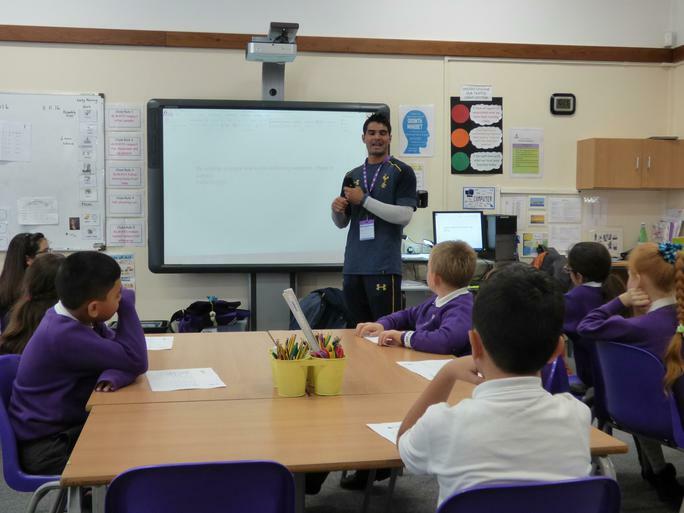 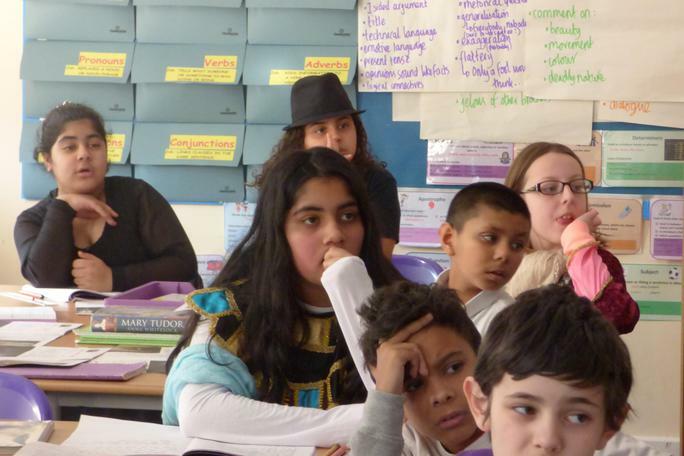 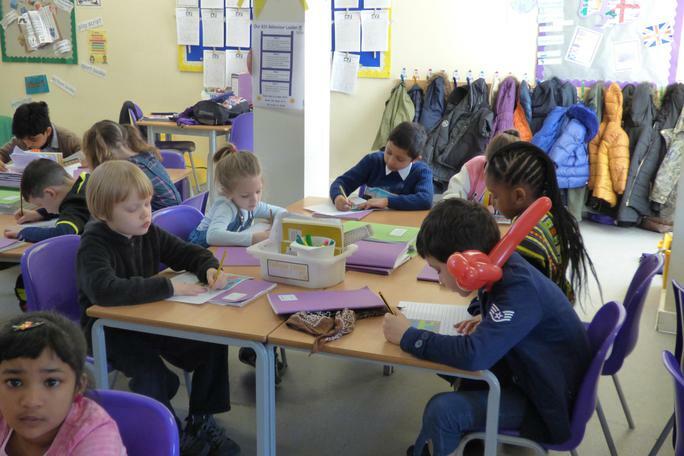 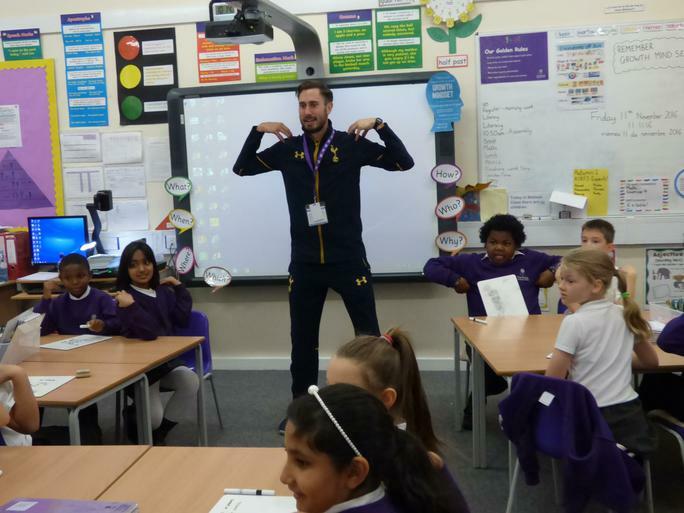 Spurs education initiatives show children the importance of Literacy and Numeracy in sport. 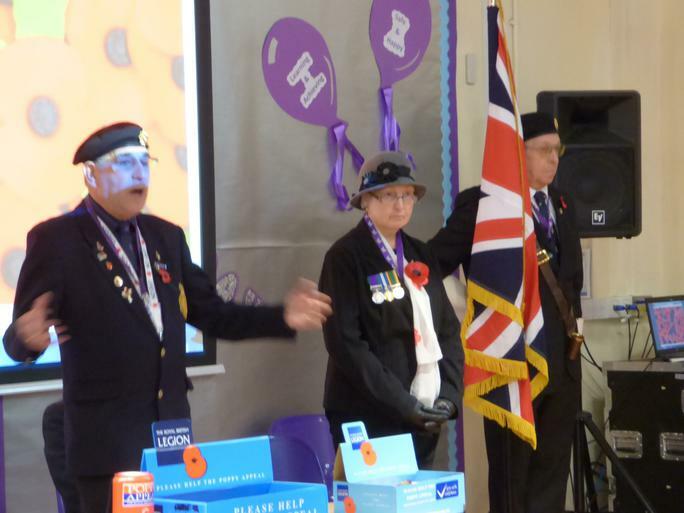 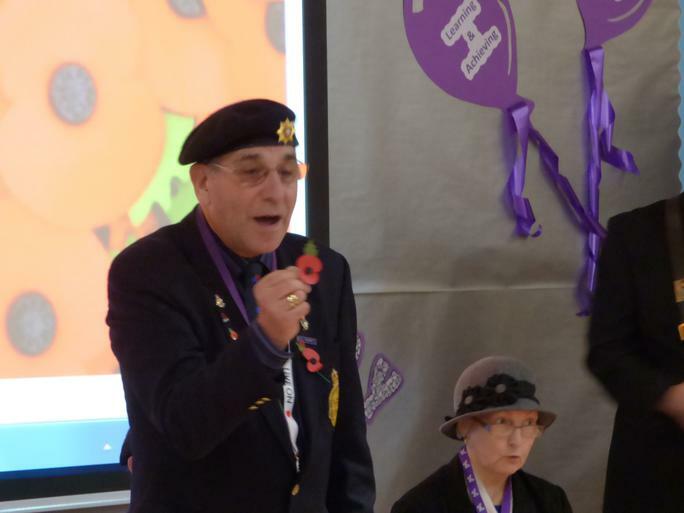 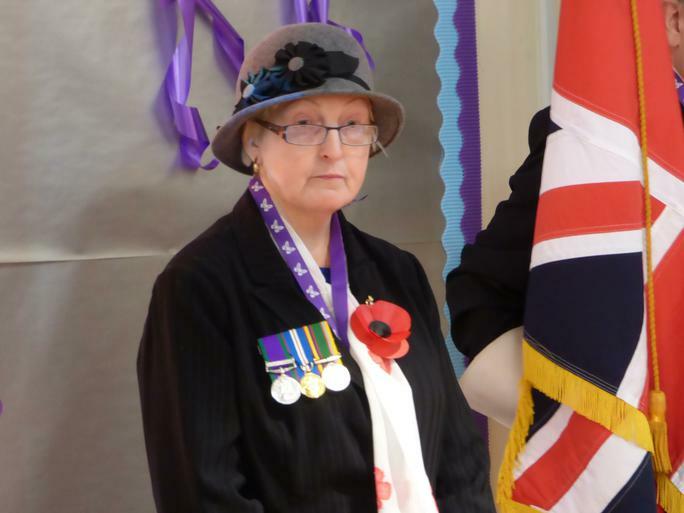 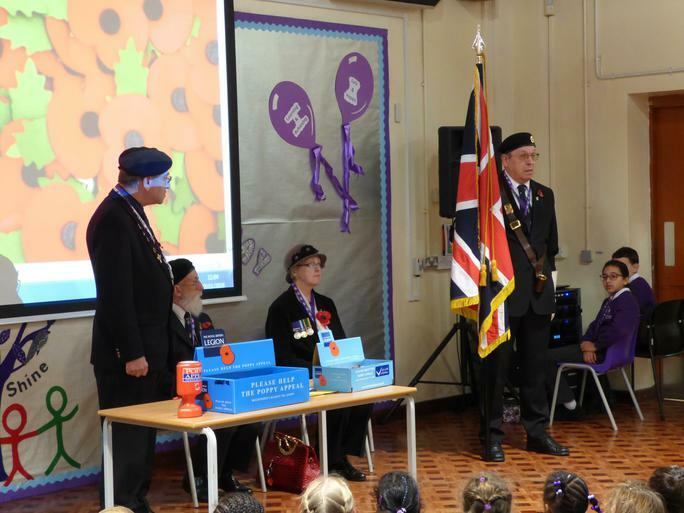 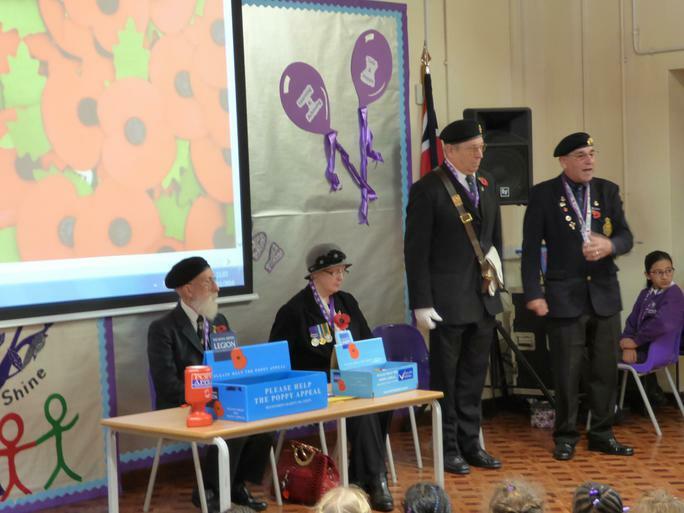 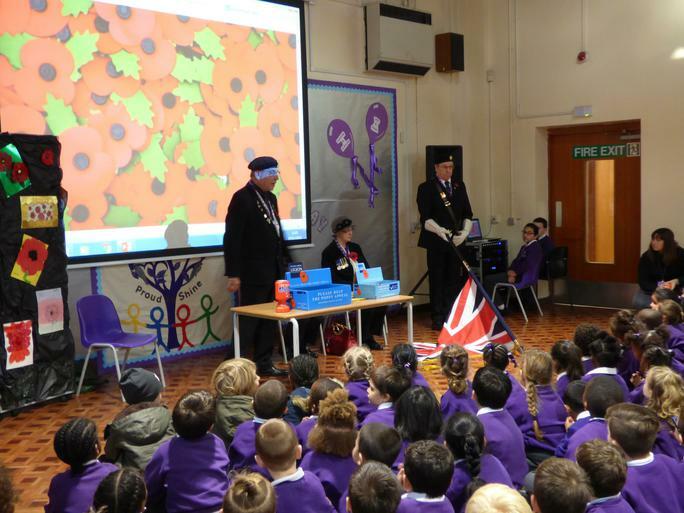 On Monday November 7th, members of the British legion came to our assembly to tell us about the meaning of poppies. 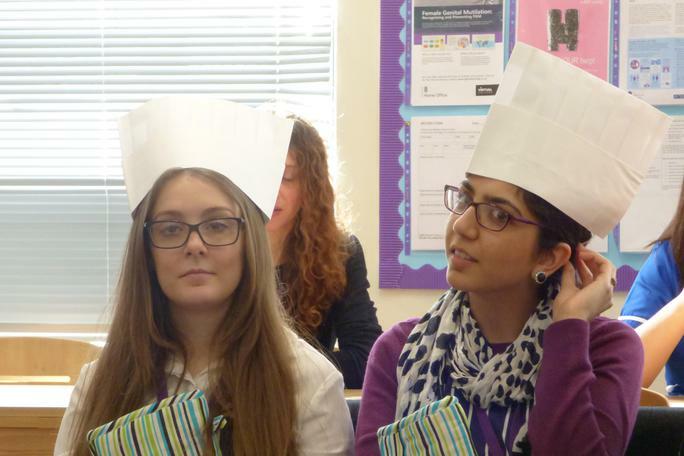 We were also told the correct way to wear them. 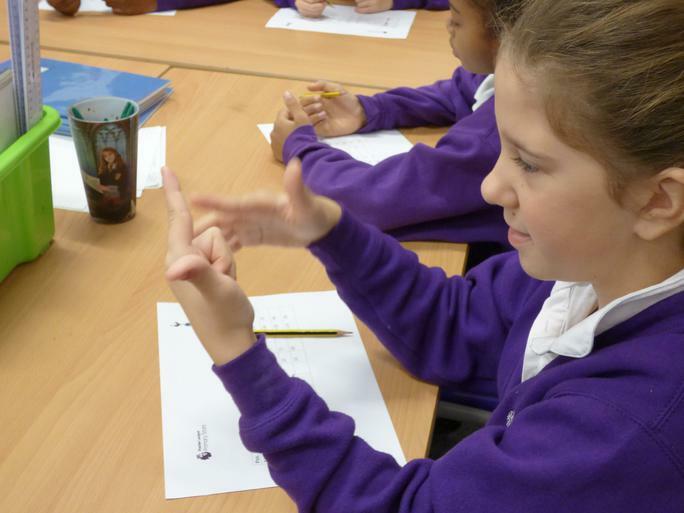 Did you know the leaf has to point at 11 o'clock? 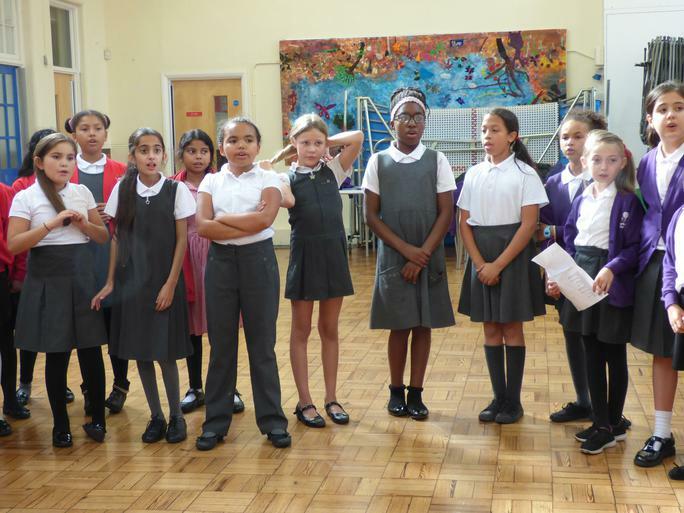 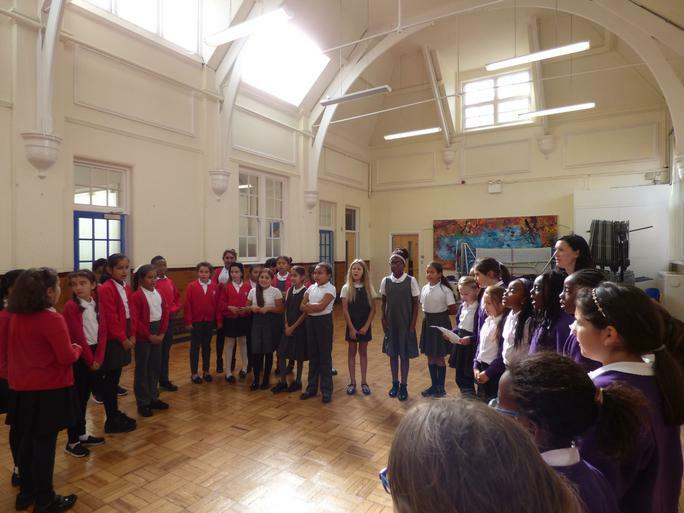 Our choir, led by Miss Faal, together with the choir from Woodside Primary School will be performing at St Peter and St Paul's church - North Chingford on Sunday October 2nd. 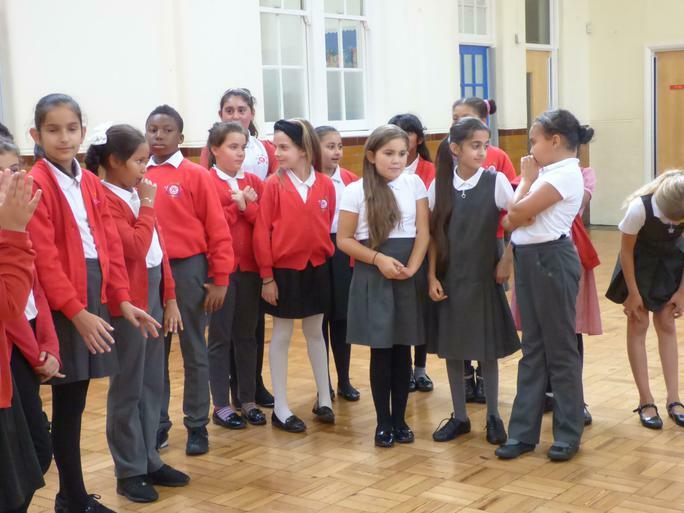 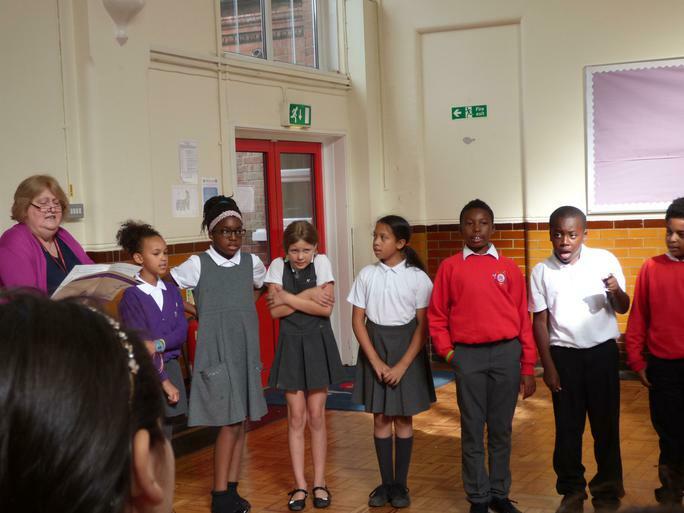 Here are our children at the rehearsal at Woodside's school. 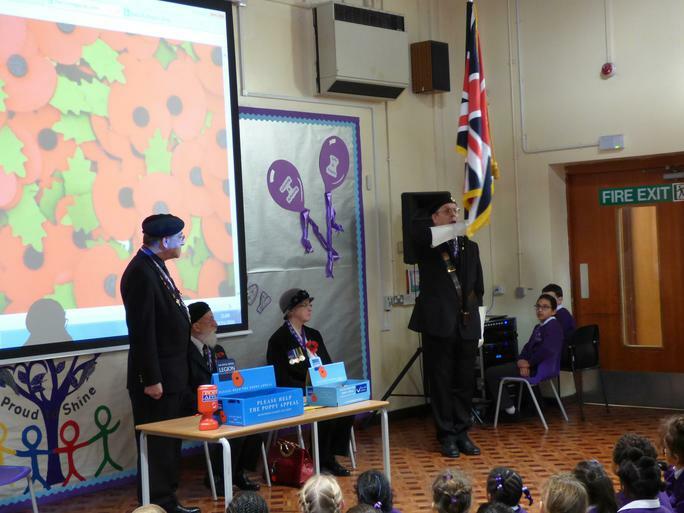 The mayor made a surprise appearance. 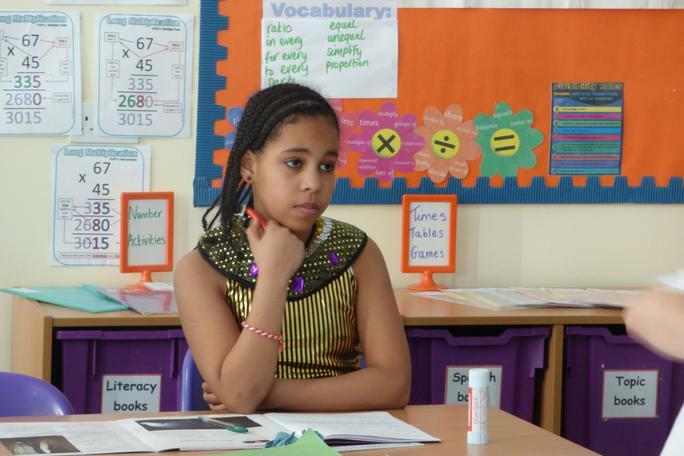 Will this girl be a famous photographer when she grows up? 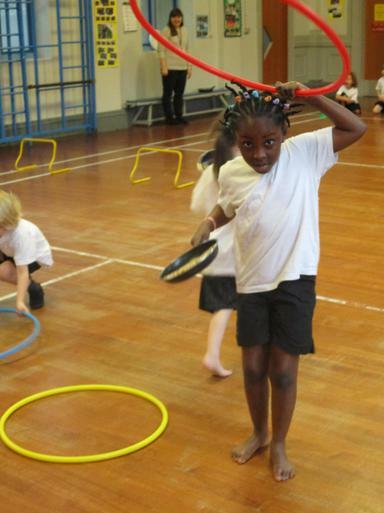 Time will tell, but when she was still in the Reception Class she won two separate competitions. 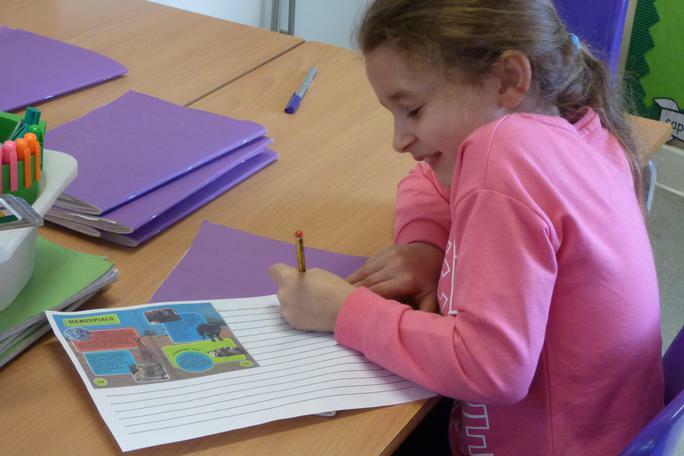 The first one was from Cartridge Save. 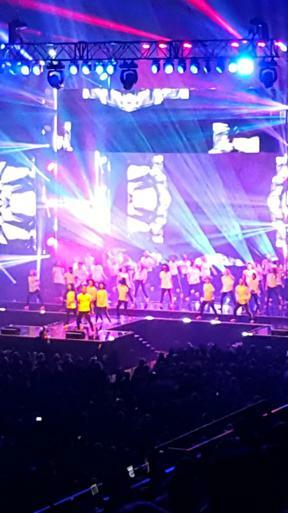 co.uk. 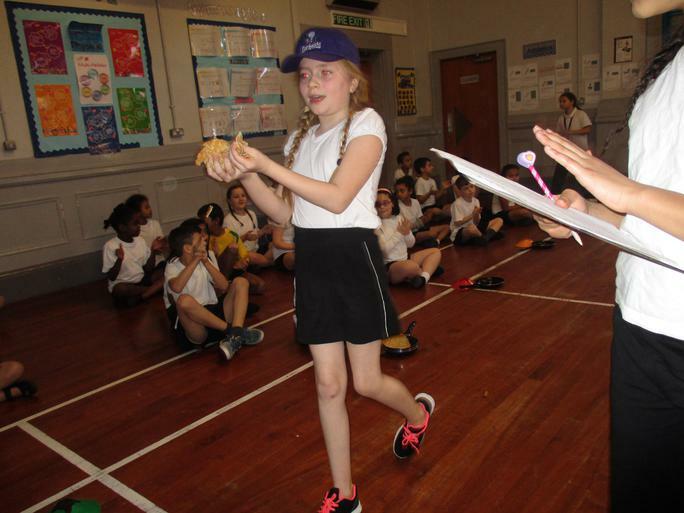 She won a Canon camera for herself and £500 for the school, while the second was from WHSmith where she scooped another £500 for the school. 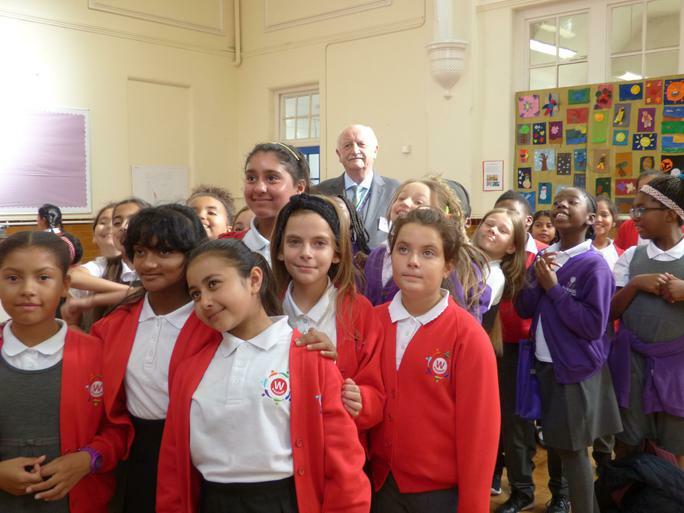 Congratulations - we are very grateful to you! 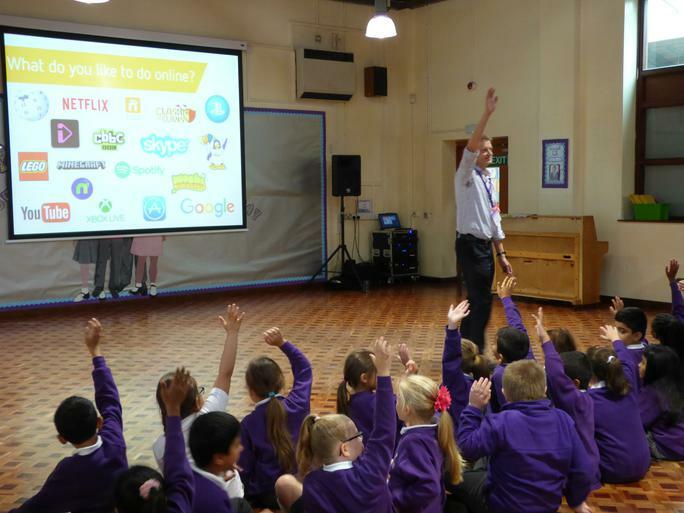 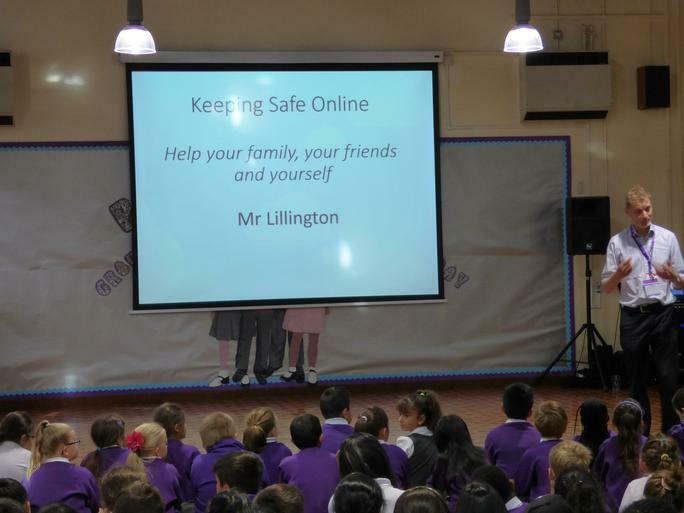 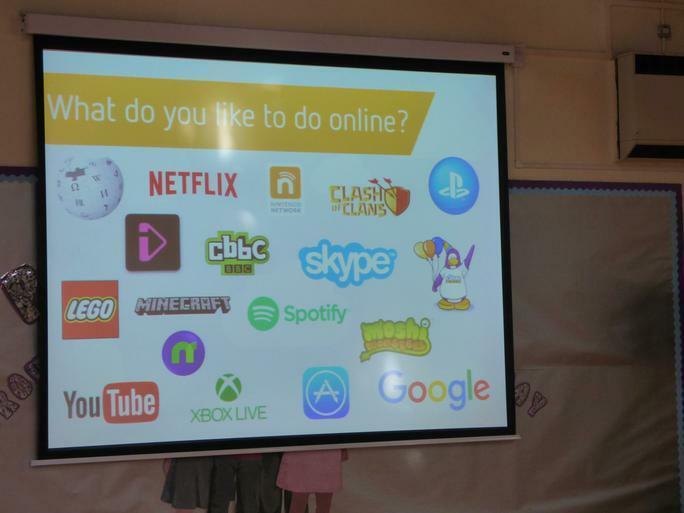 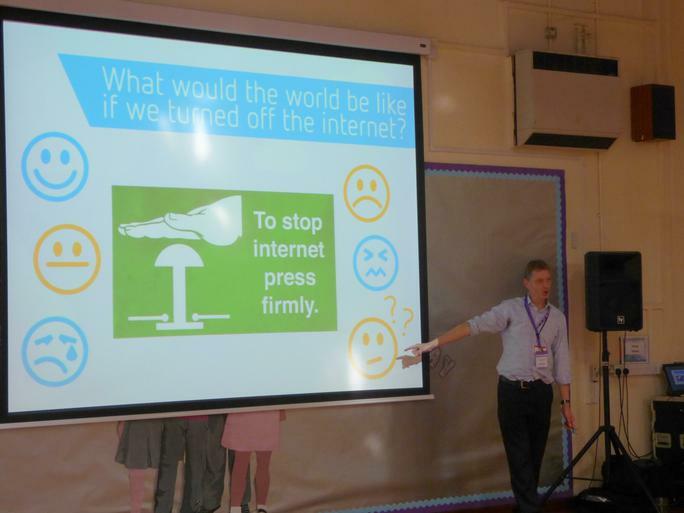 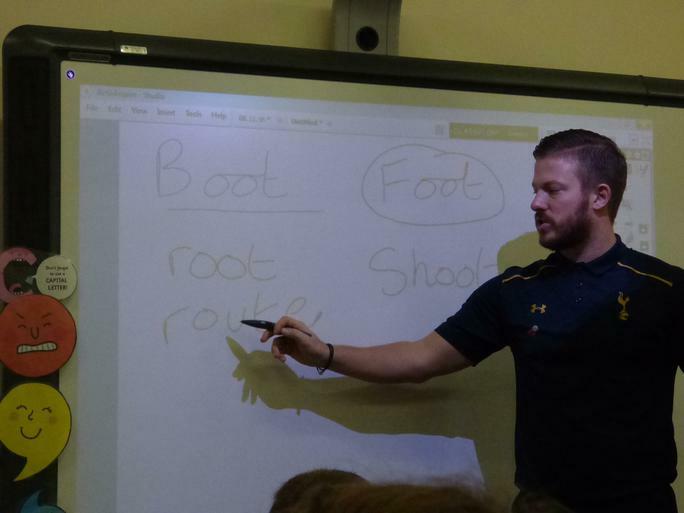 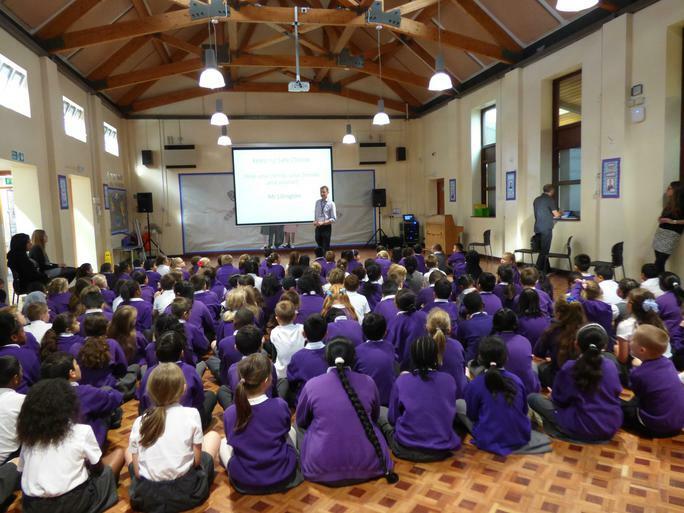 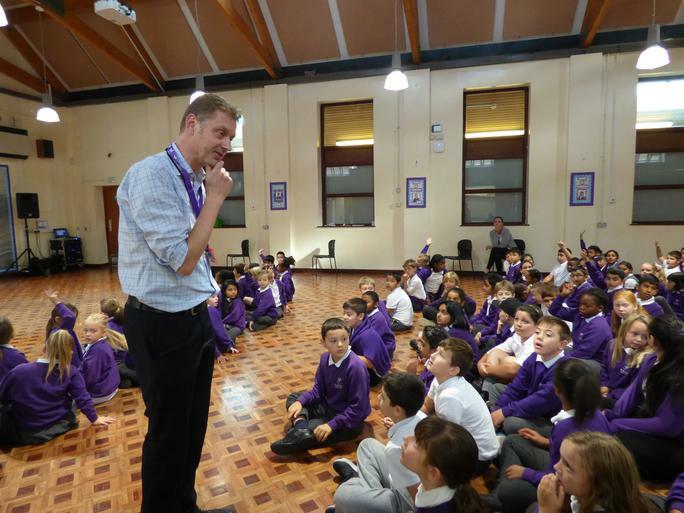 Mr Lillington came to our school to talk to us about the importance of the internet and how to keep safe online while using it. 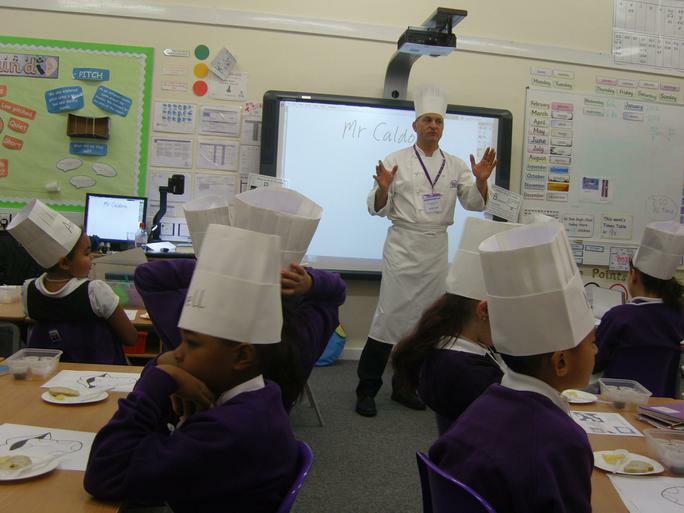 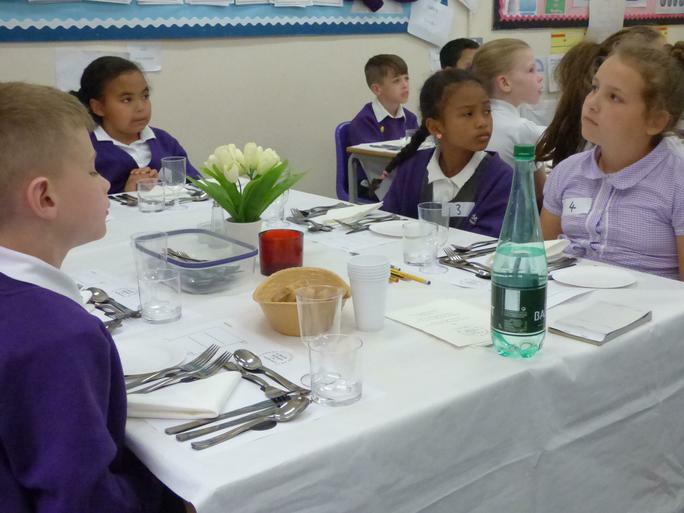 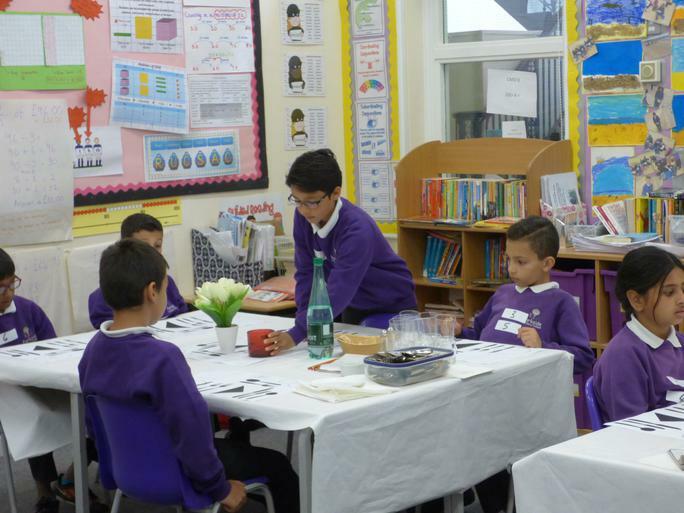 Renowned chef Idris Caldora visited our year 4 children to teach them about etiquette and how to set the table fit for a banquet. 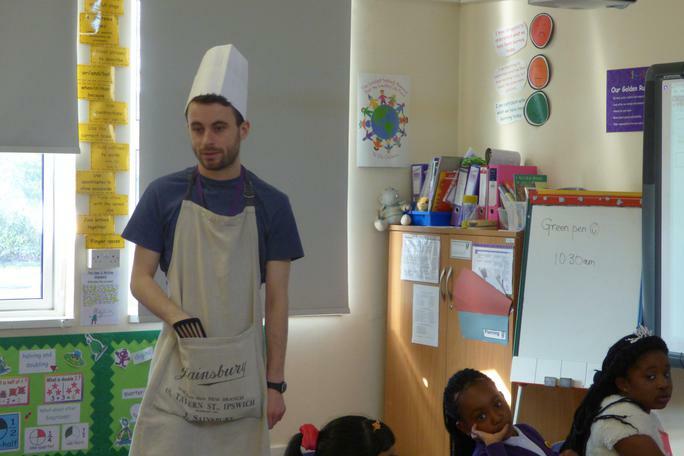 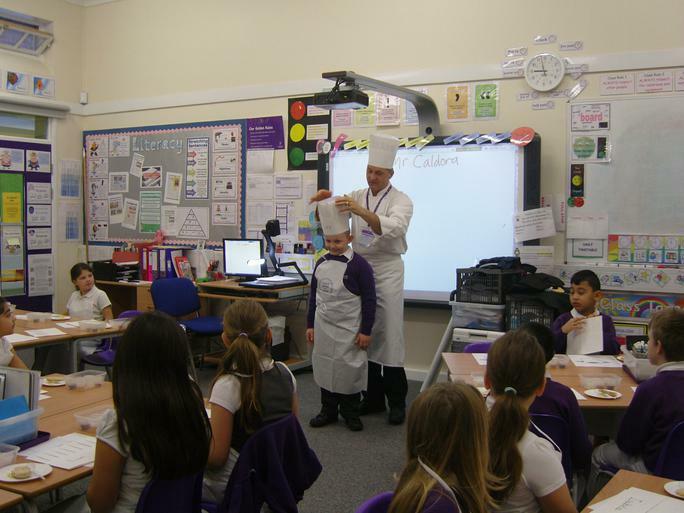 He has previously been in school to teach them essential cooking skills. 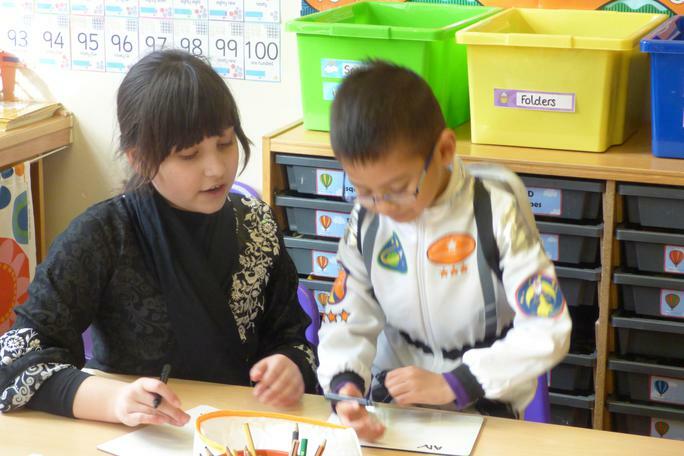 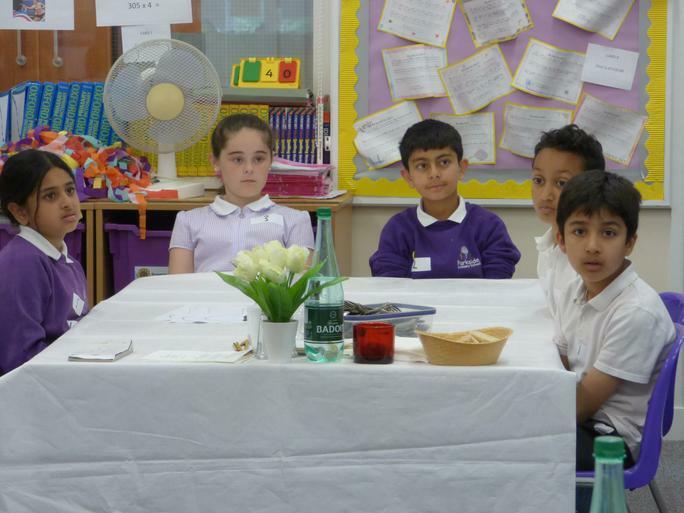 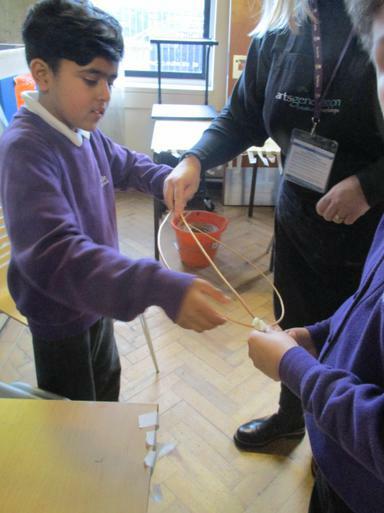 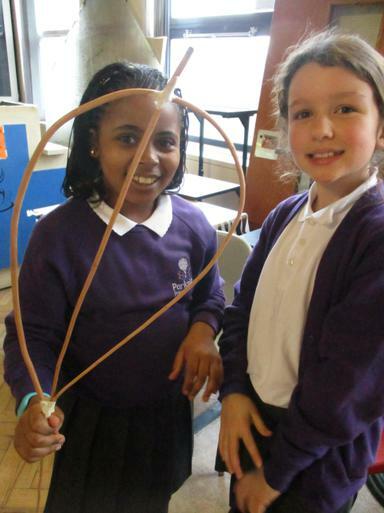 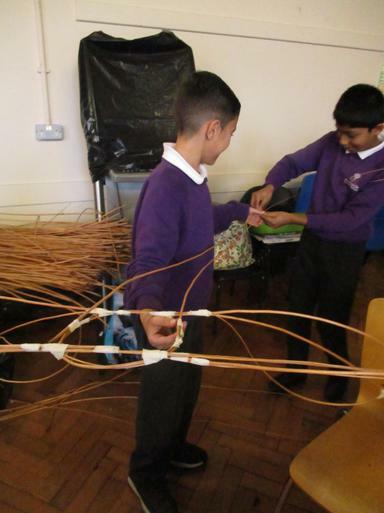 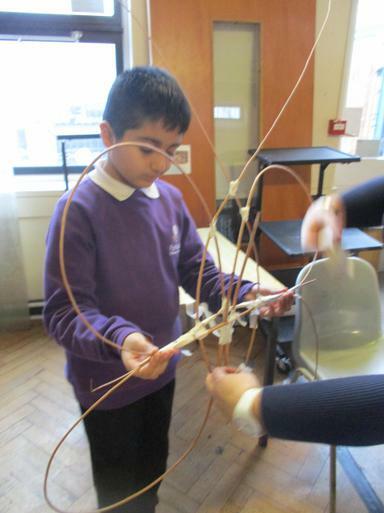 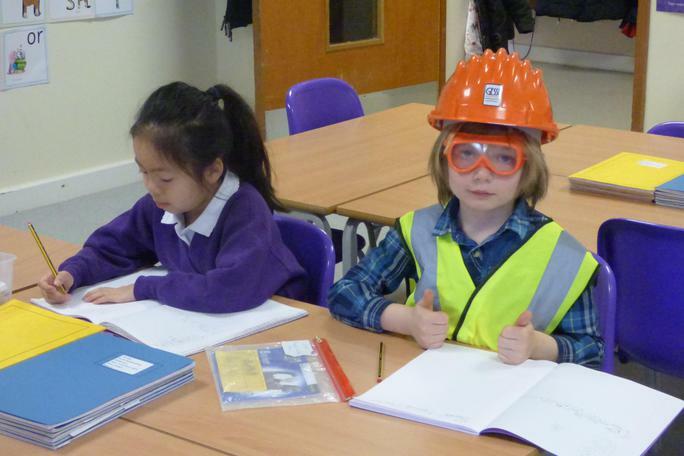 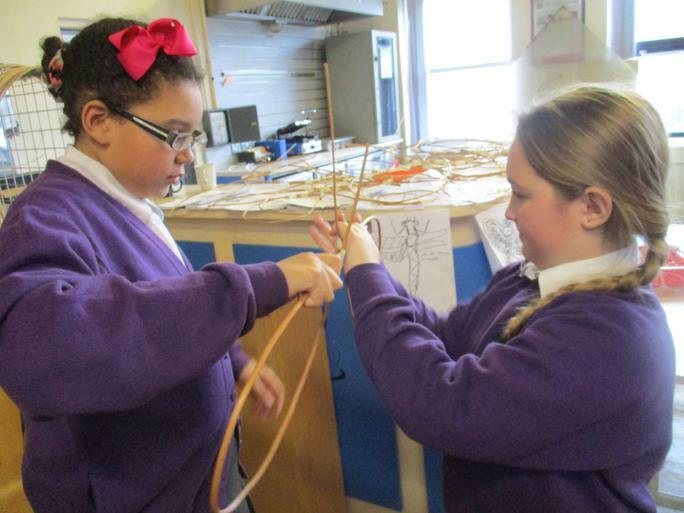 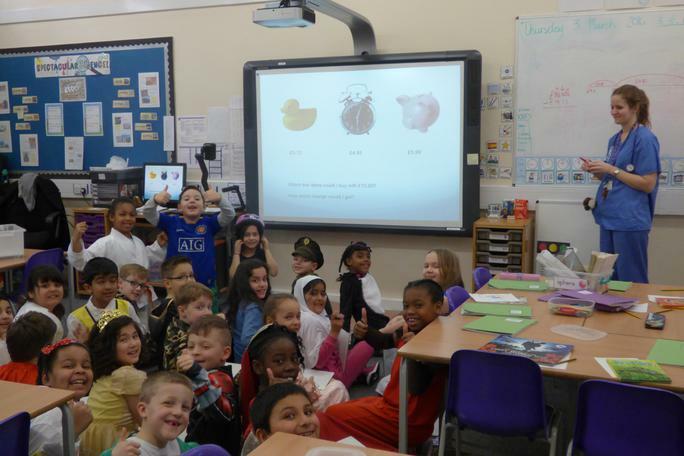 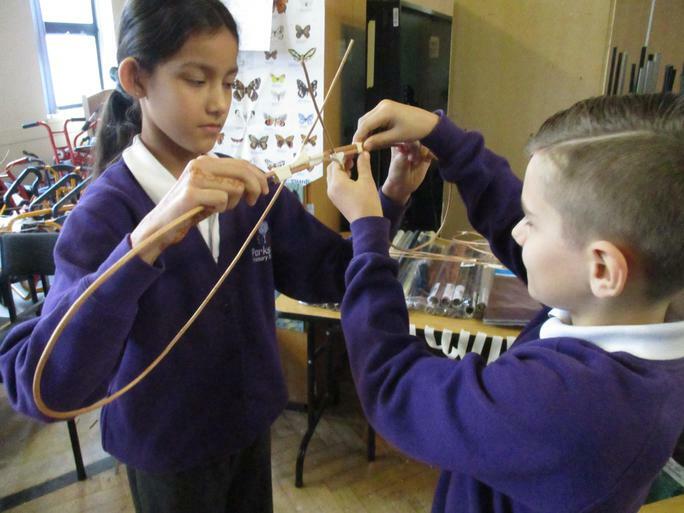 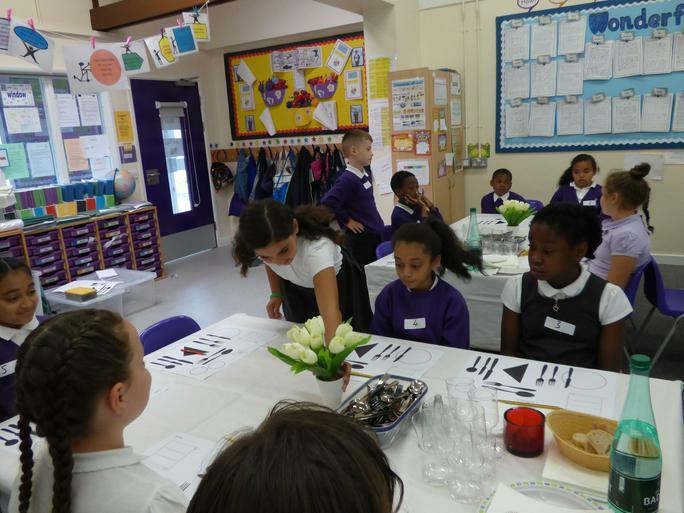 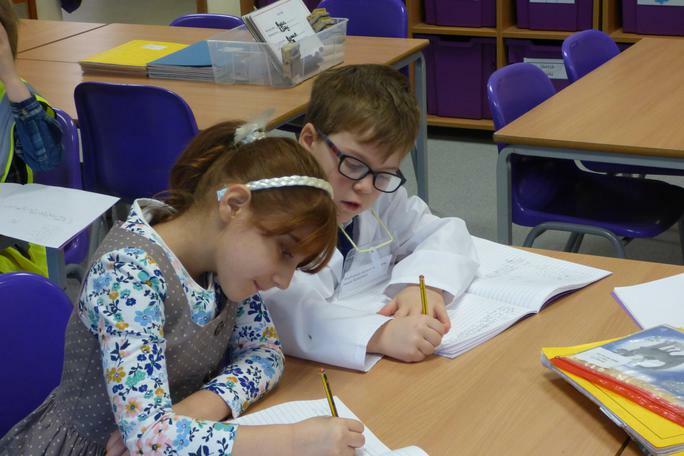 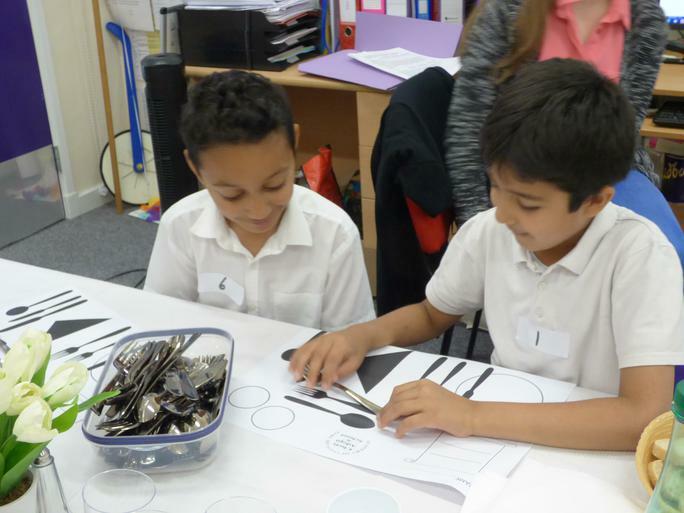 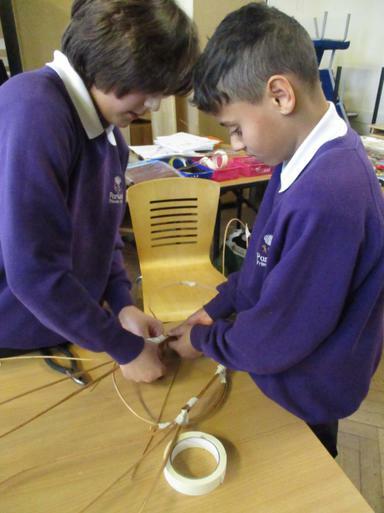 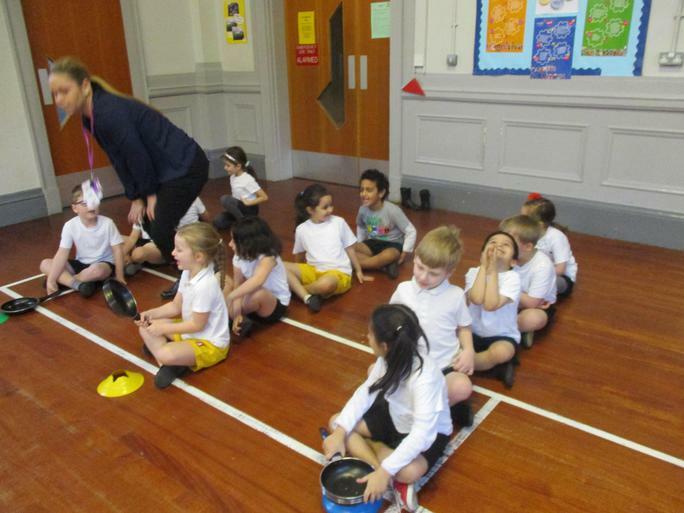 On Monday 18th April we launched an exciting scientific experiment, with the help of Years 2 and 5. 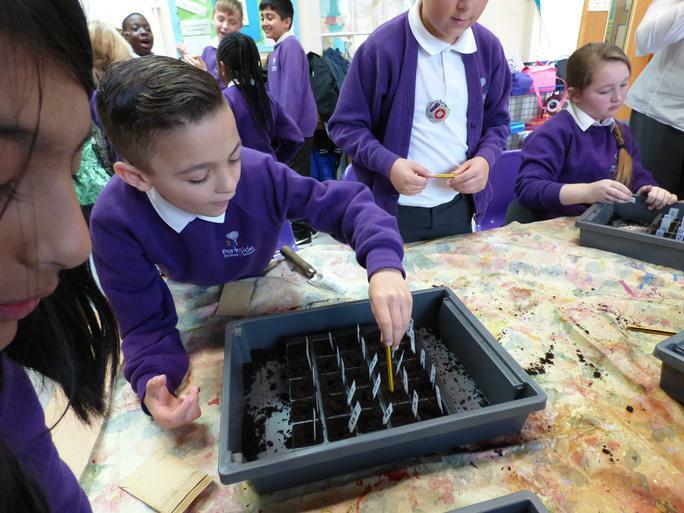 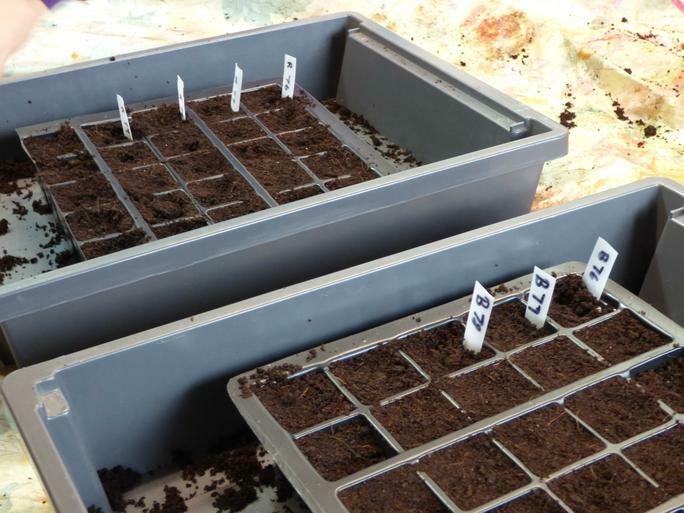 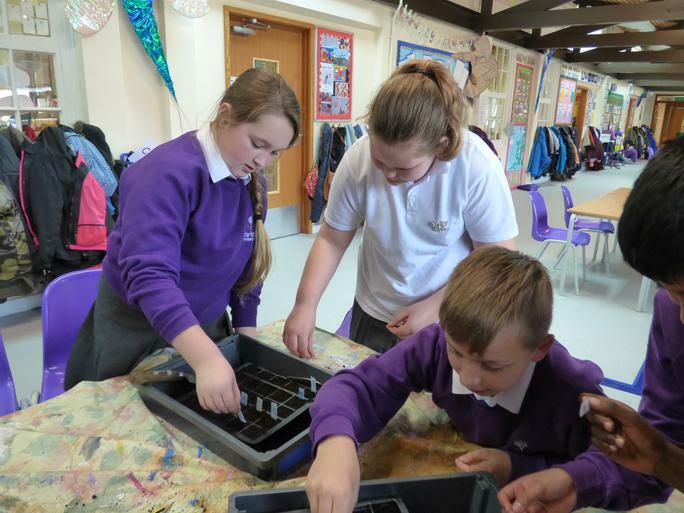 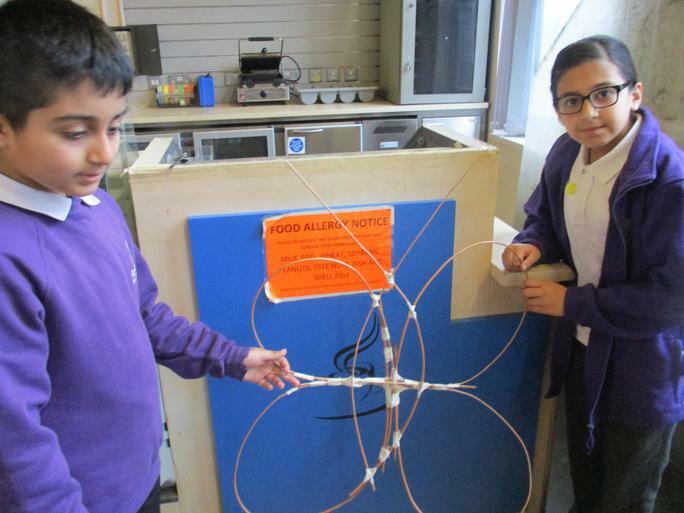 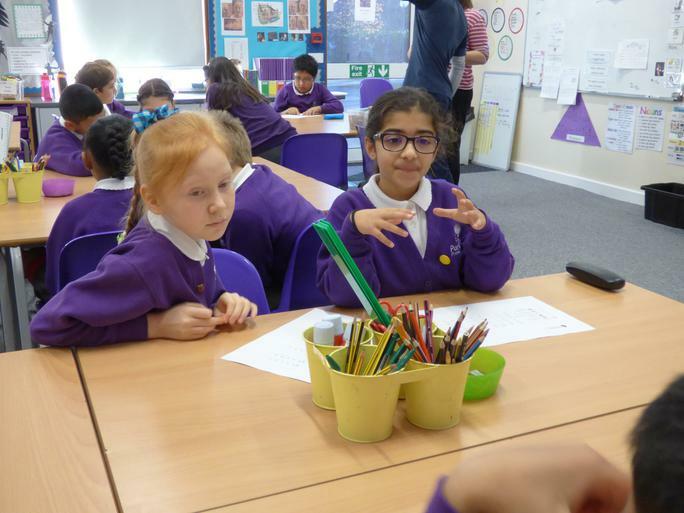 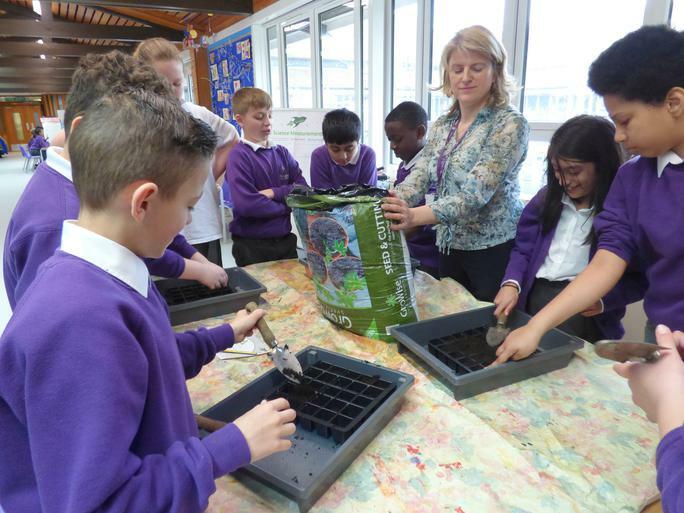 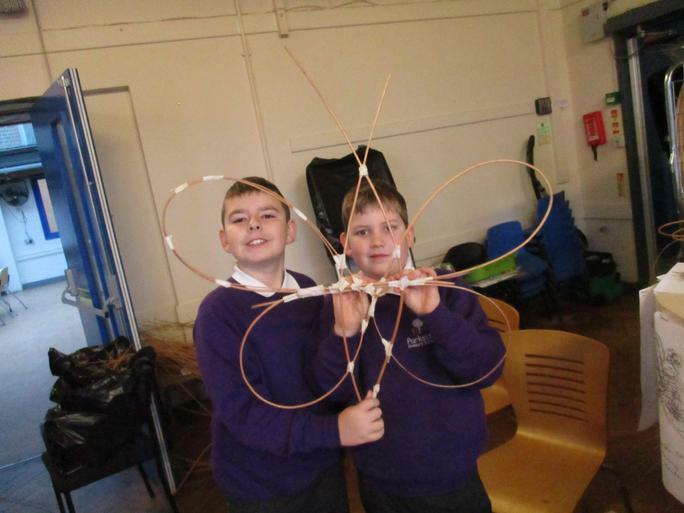 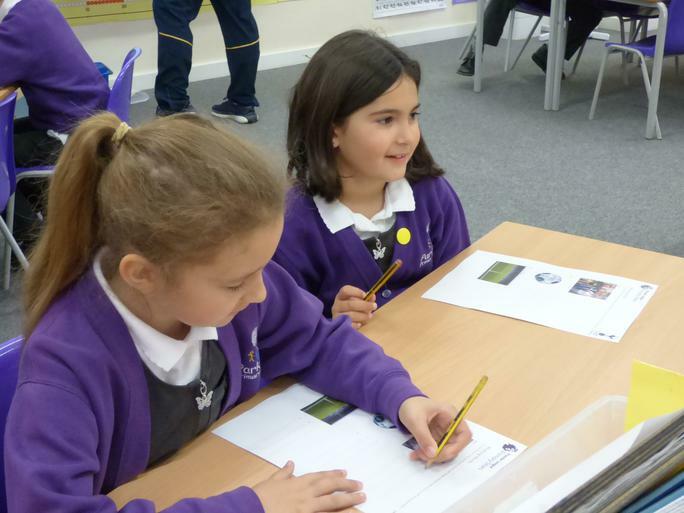 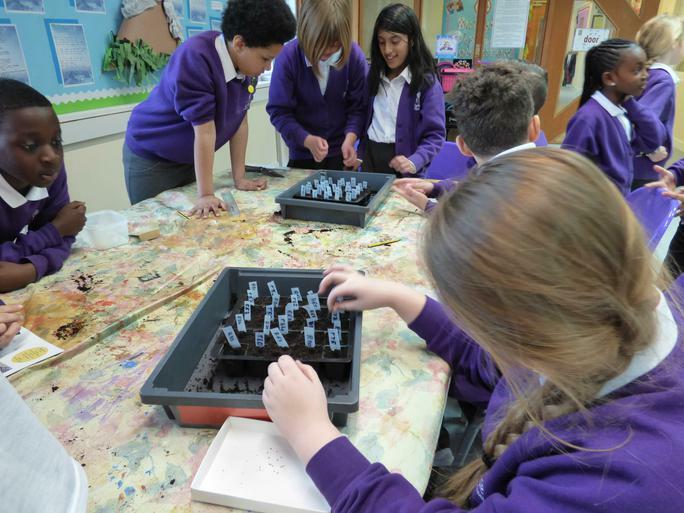 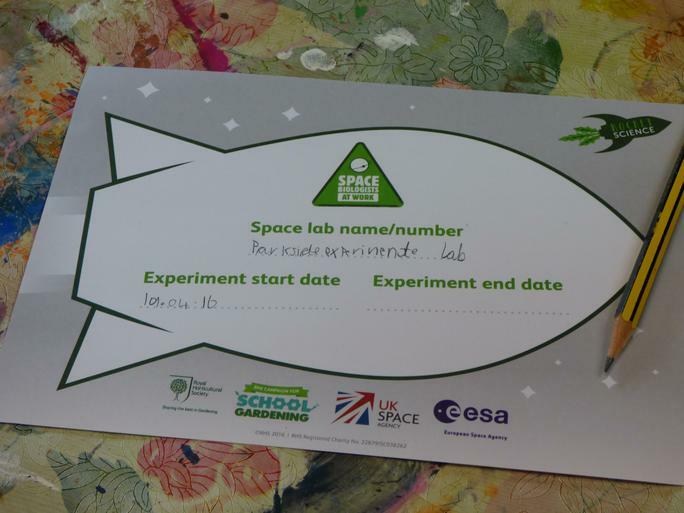 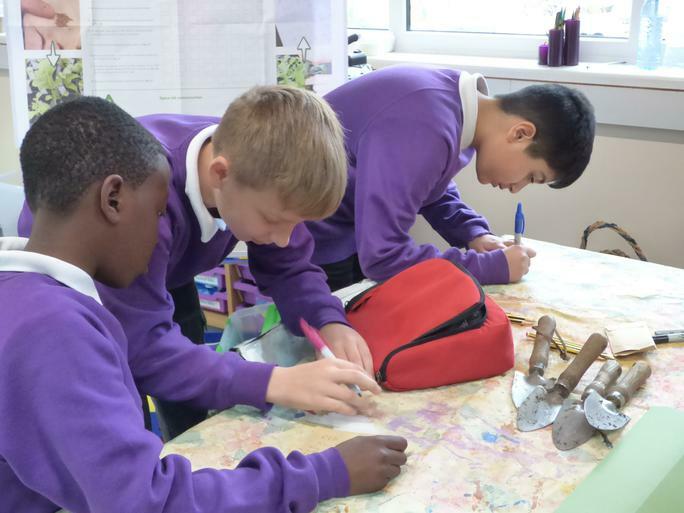 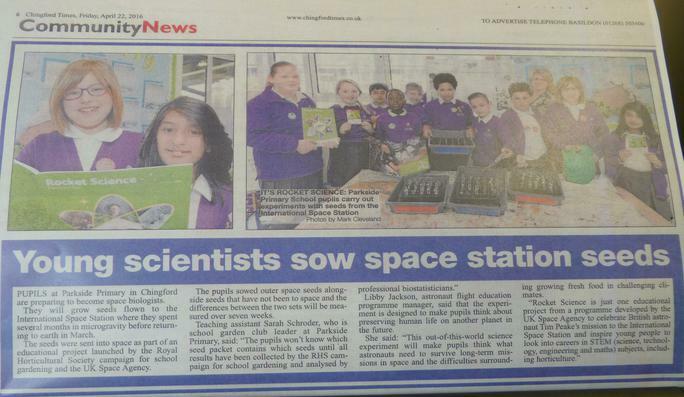 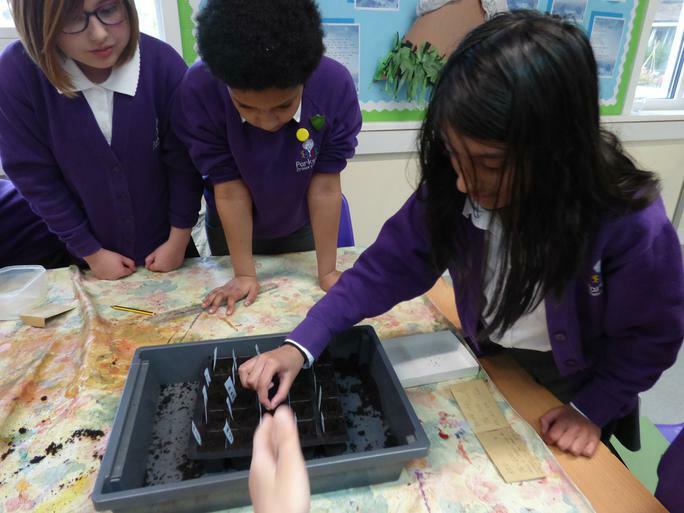 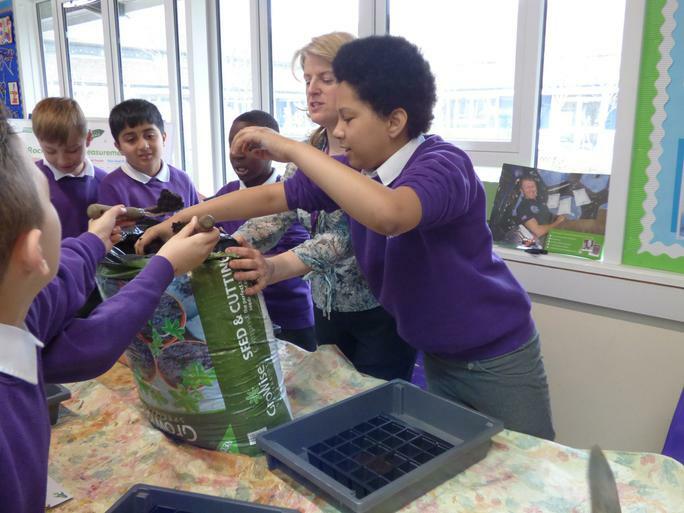 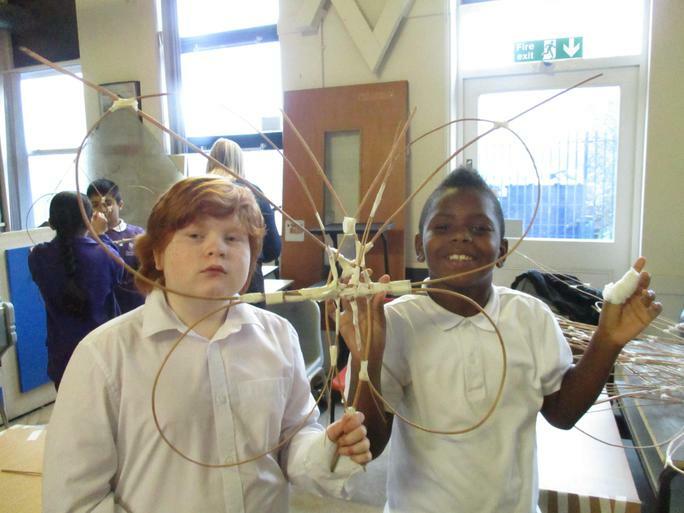 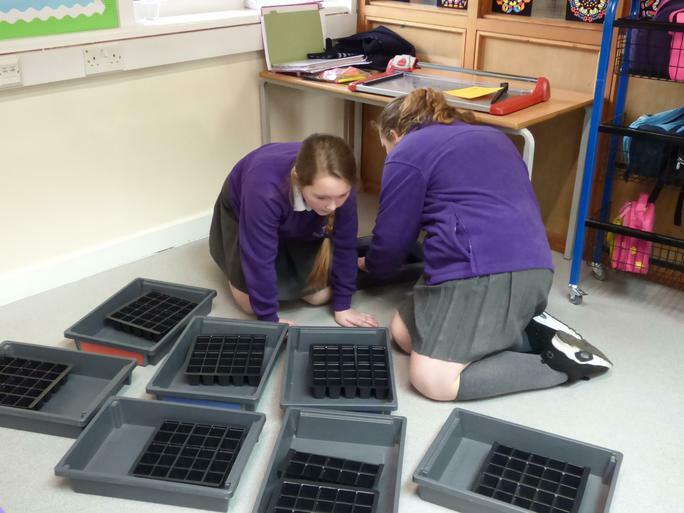 This is a great opportunity to turn the children into real live scientists, whose findings will contribute to the viability growing crops in space in the future. 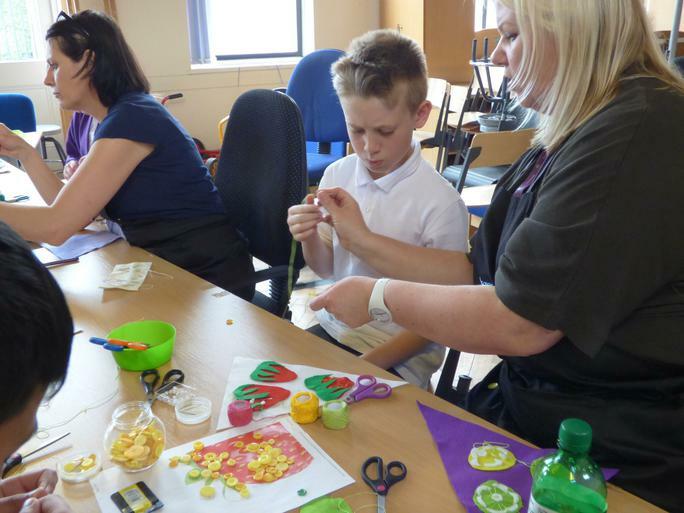 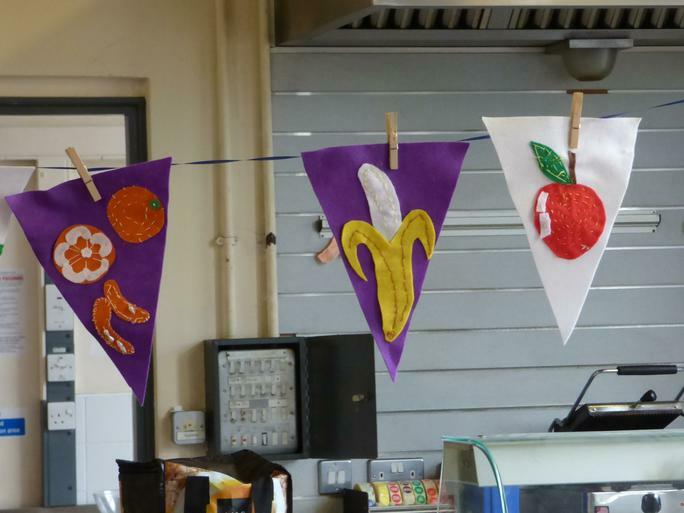 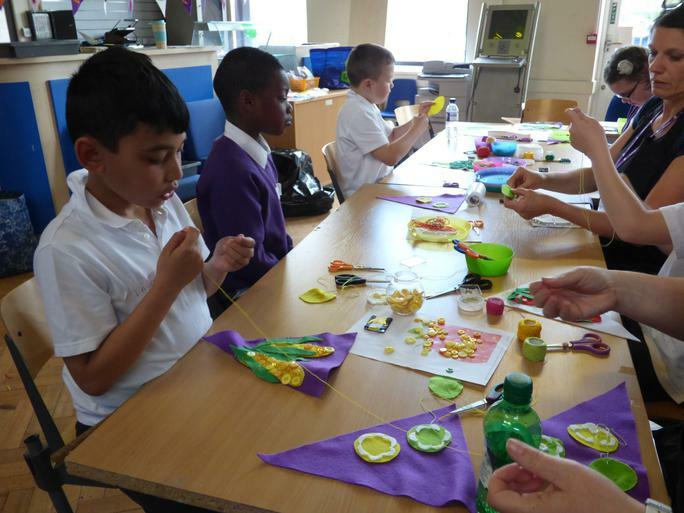 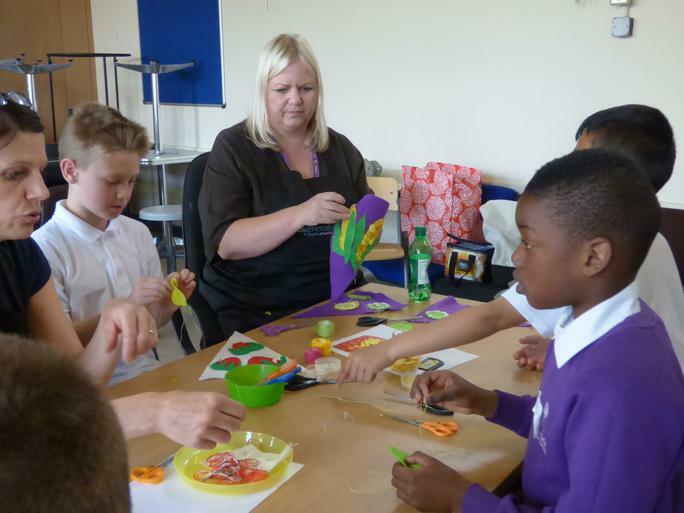 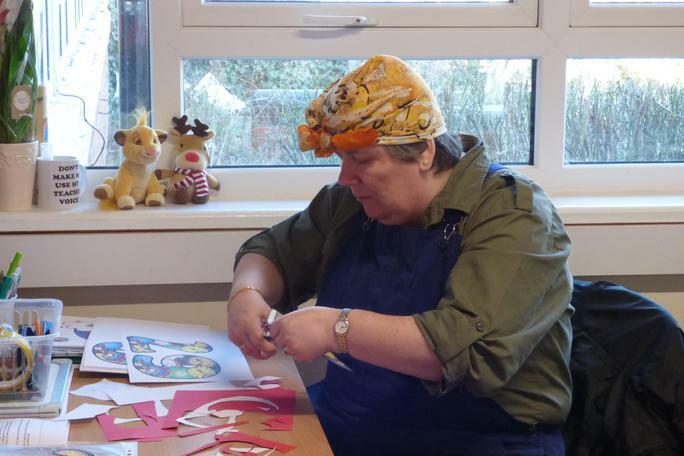 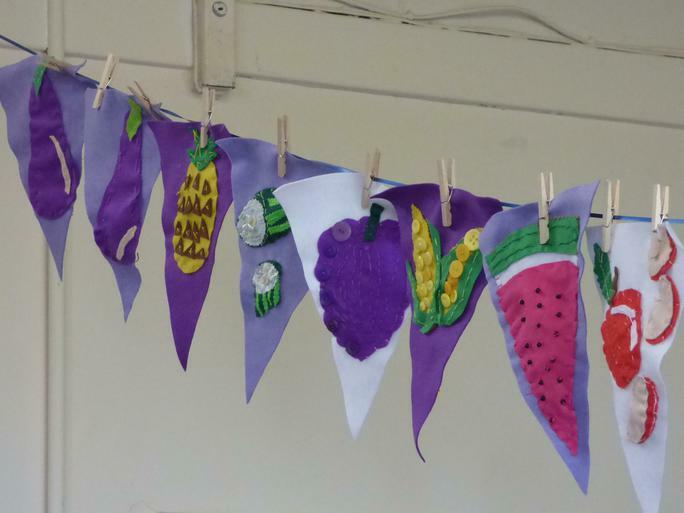 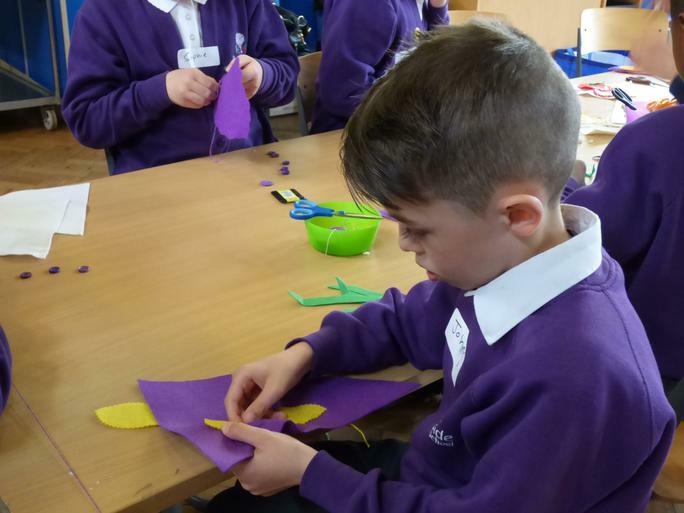 We are making a bunting to promote healthy eating. 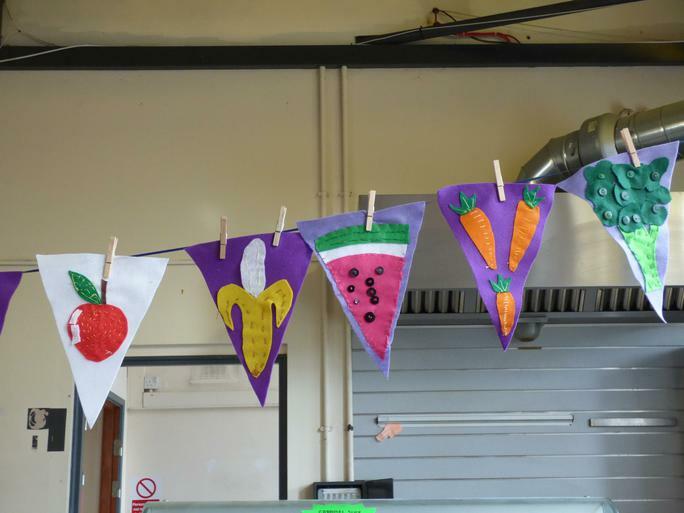 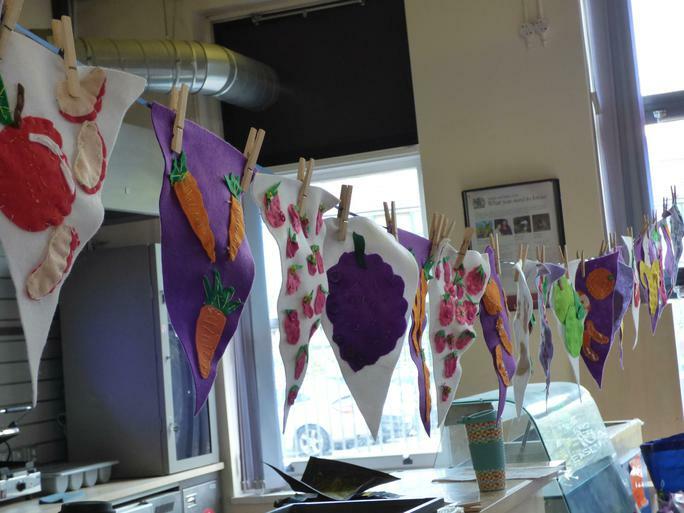 Children are learning about vegetables and different varieties of fruit while learning important skills like sewing. 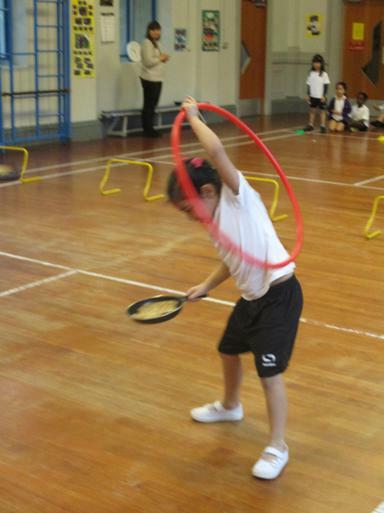 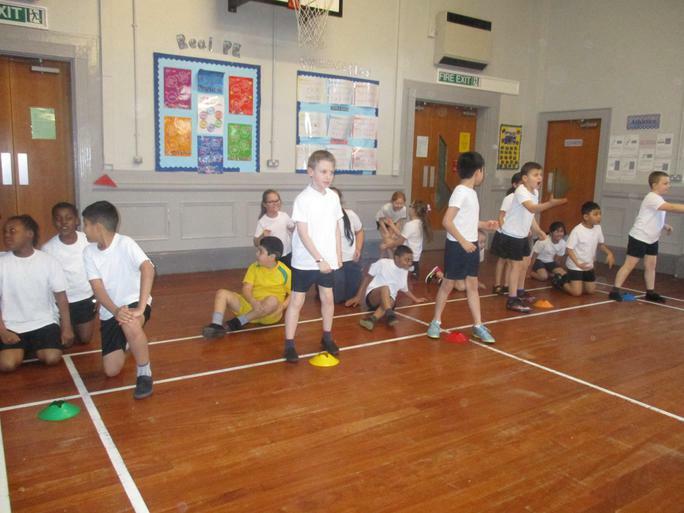 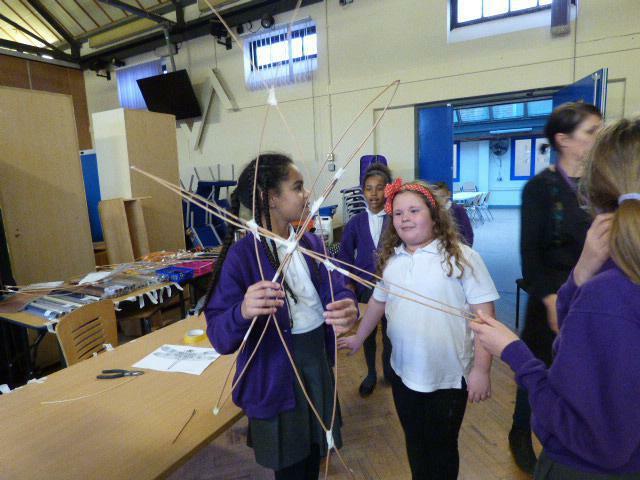 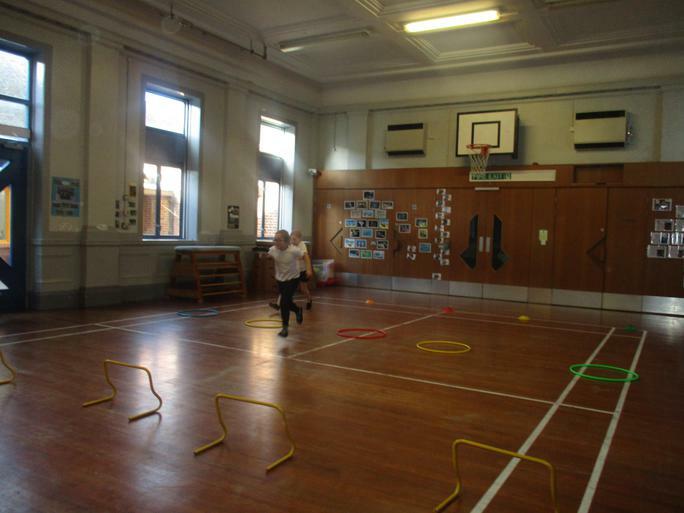 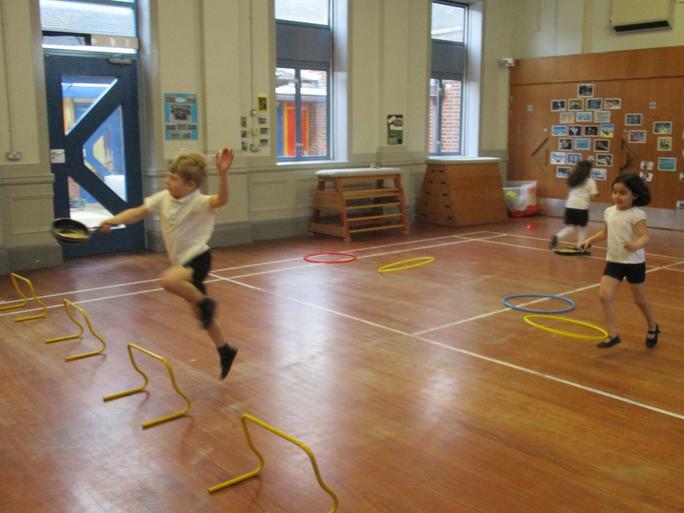 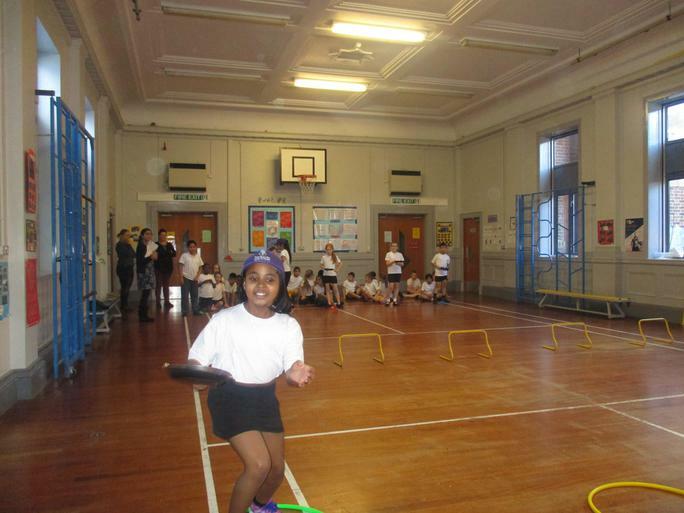 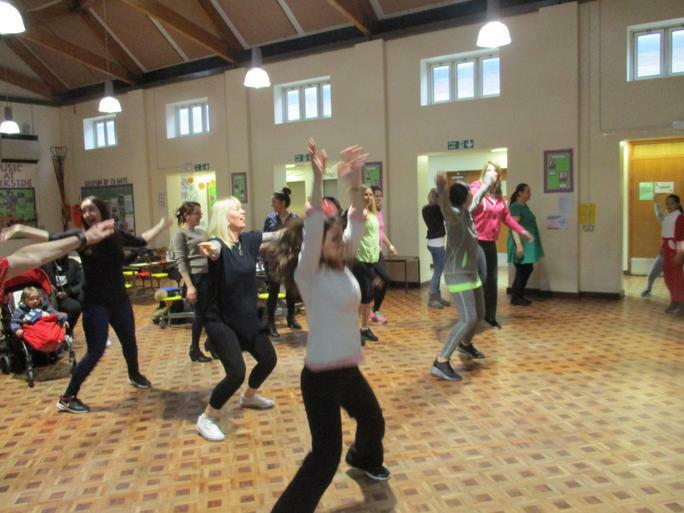 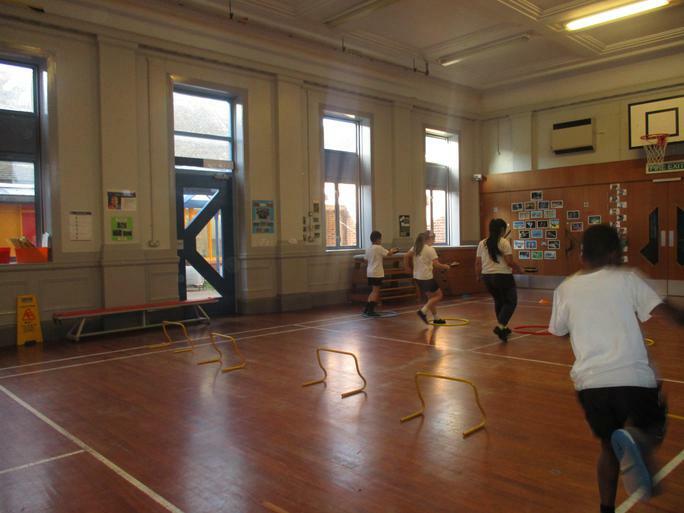 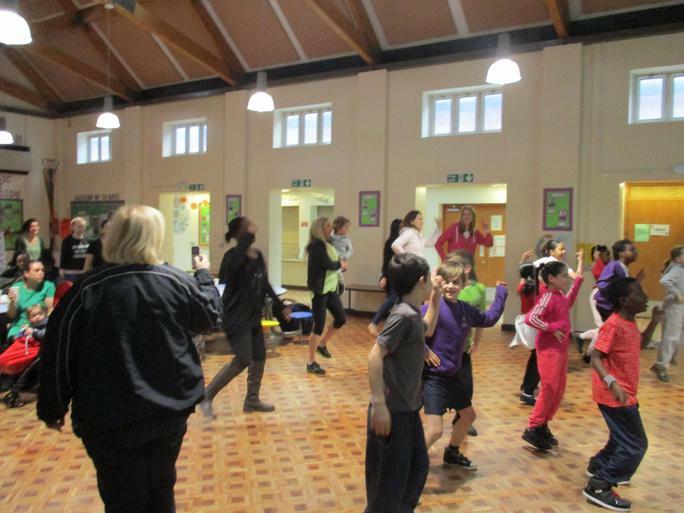 On March 18th we participated in raising money for Sport Relief. 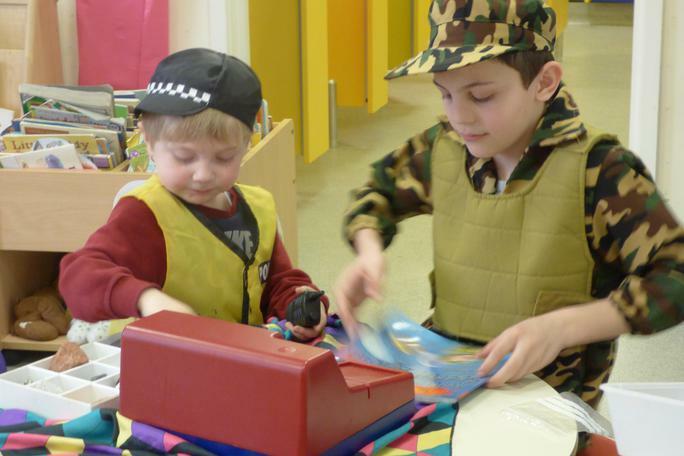 We have collected a magnificent 1540 pounds so far. 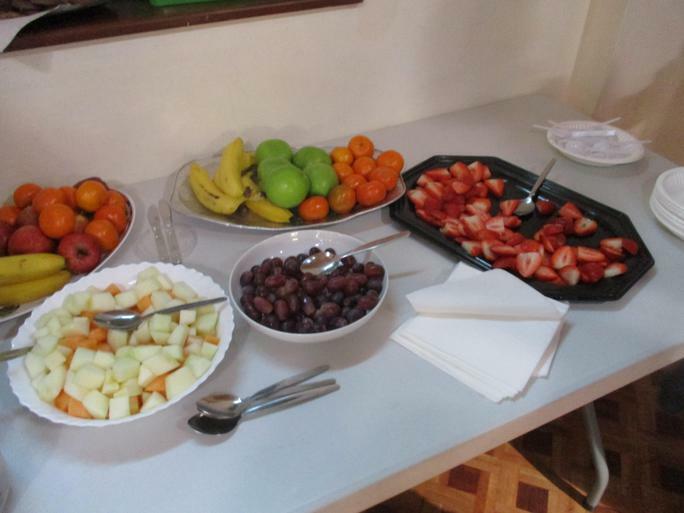 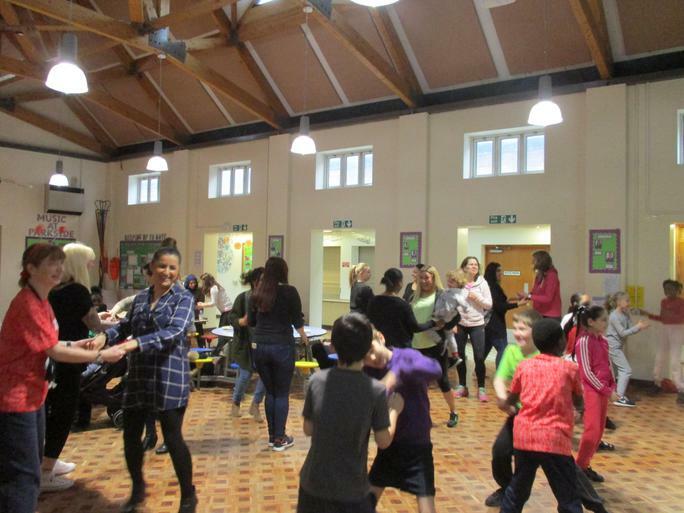 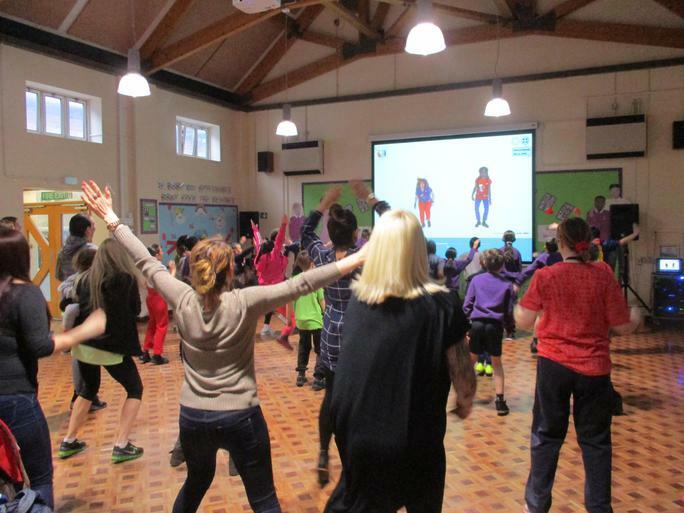 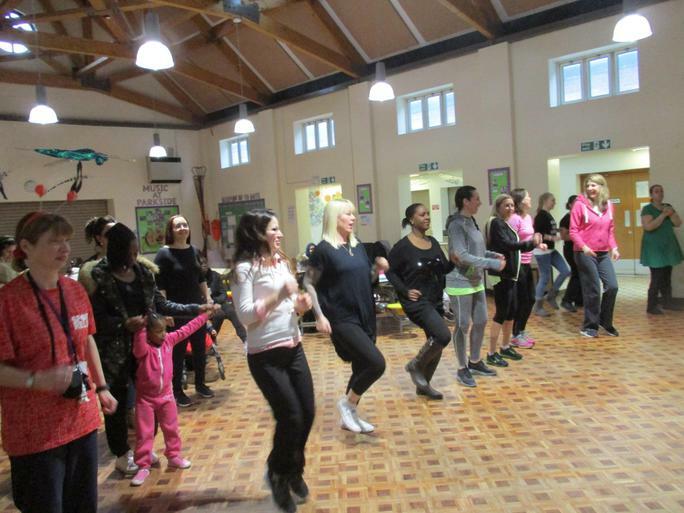 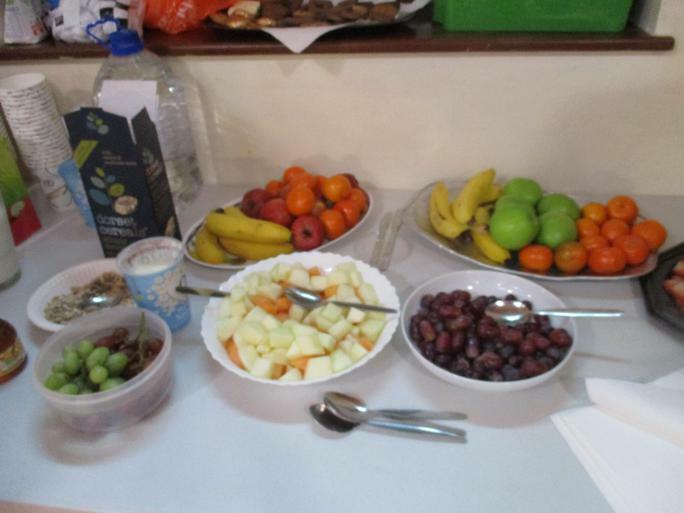 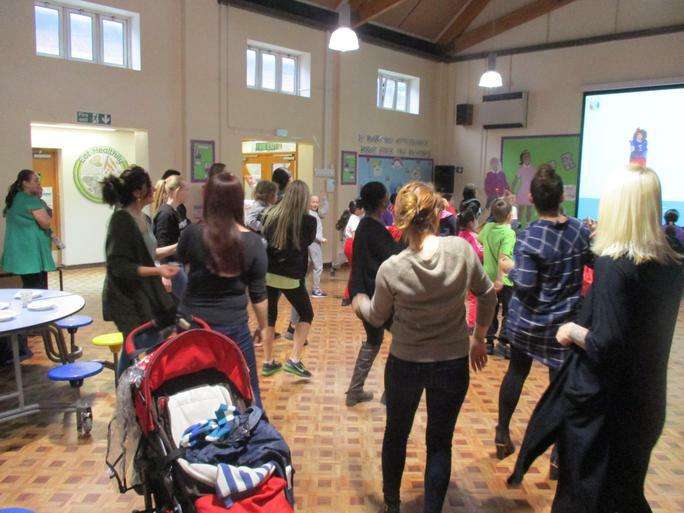 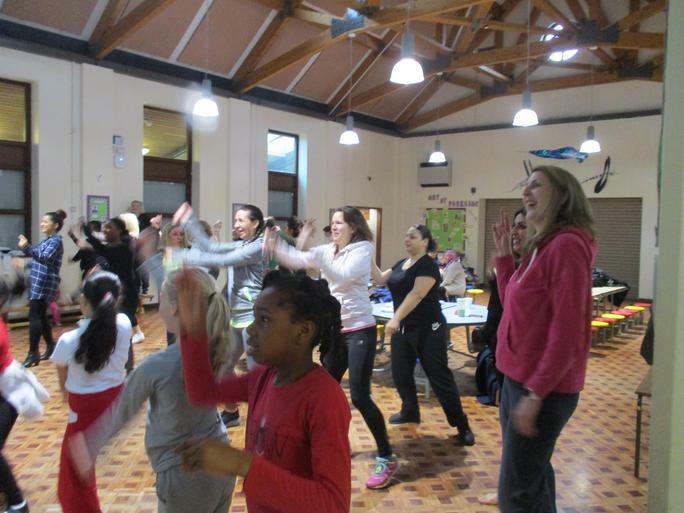 We held a coffee morning where parents were offered healthy, tasty fruit and an opportunity to take part in physical exercise. 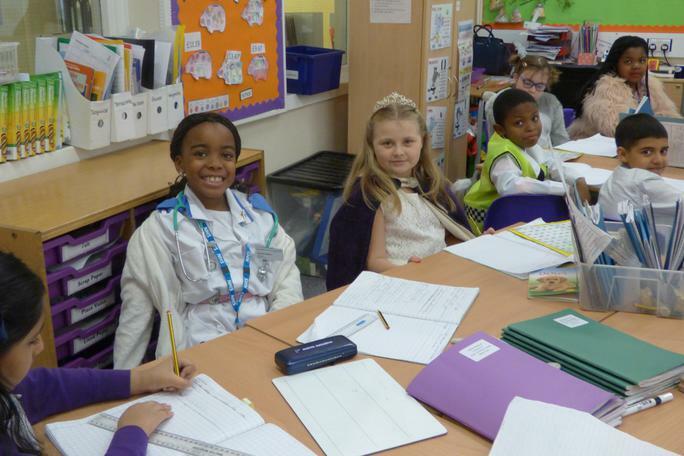 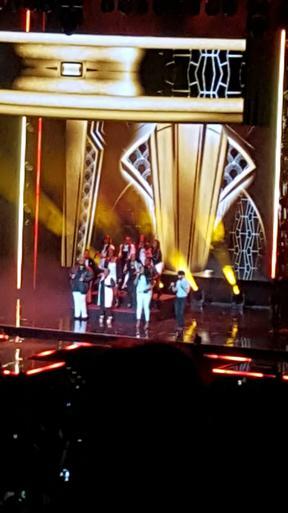 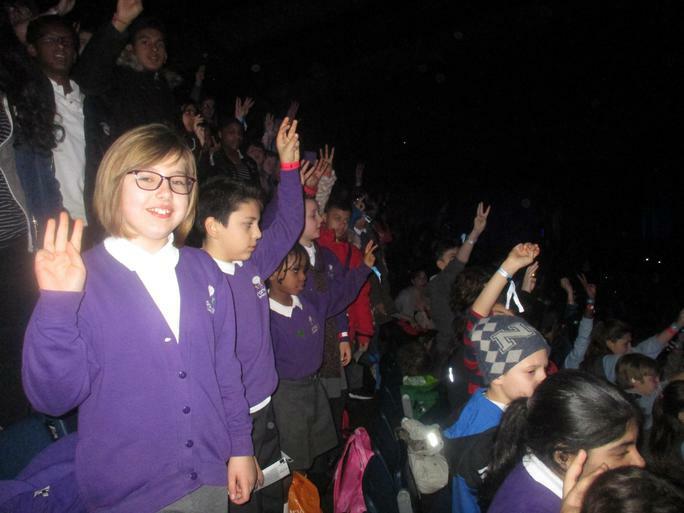 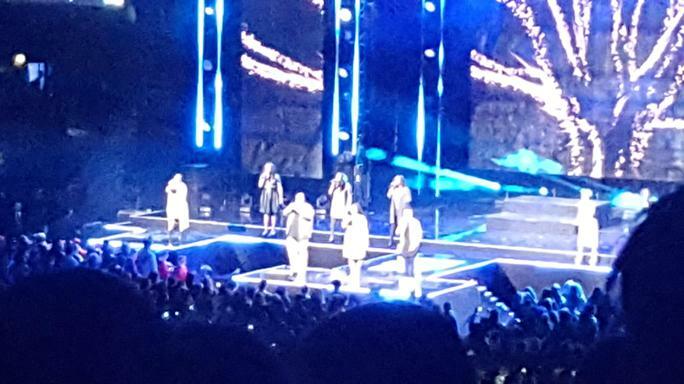 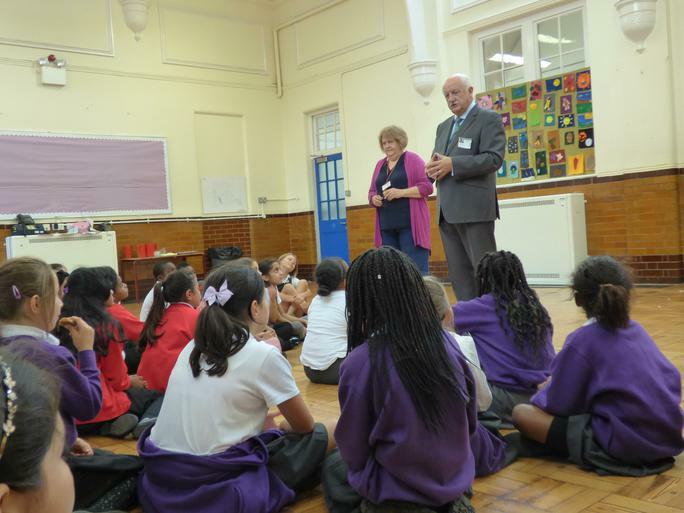 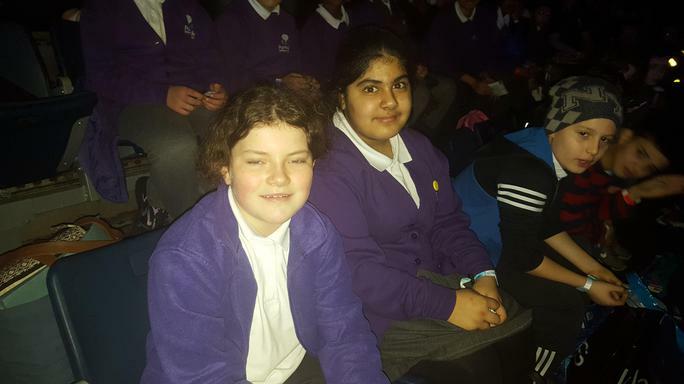 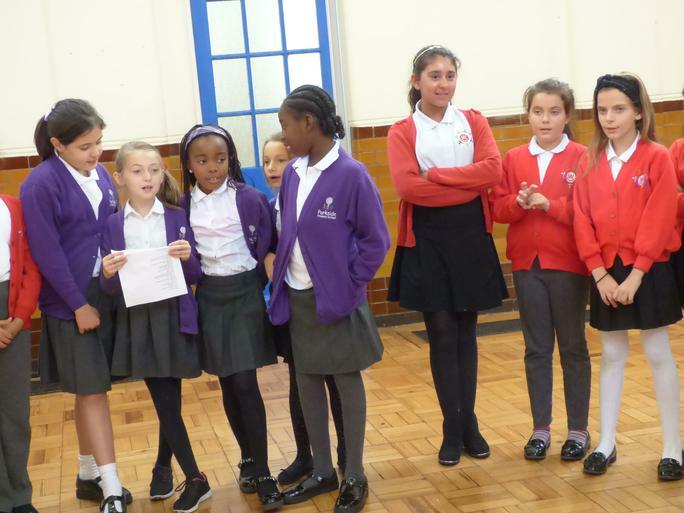 School council were invited to a special celebration day in Wembley arena. 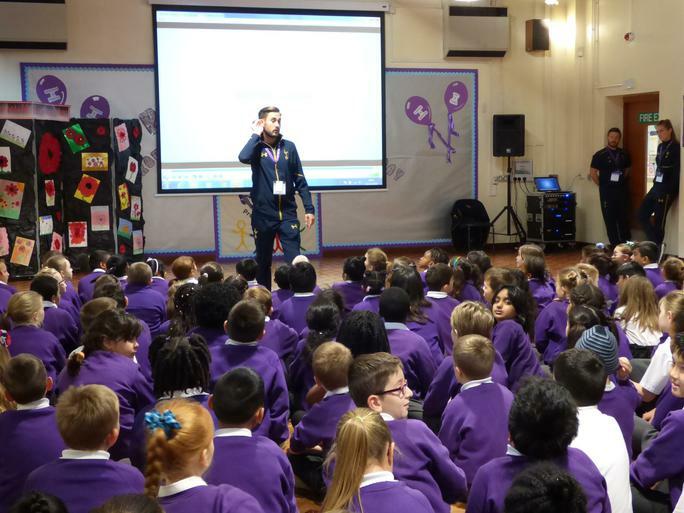 They met lots of inspirational people that spoke about their passions. 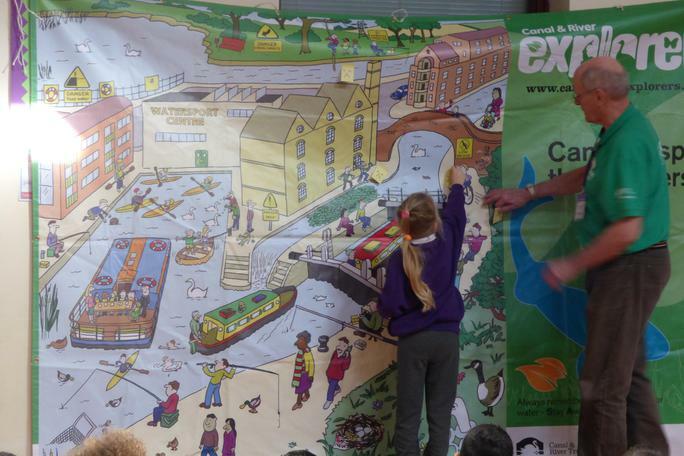 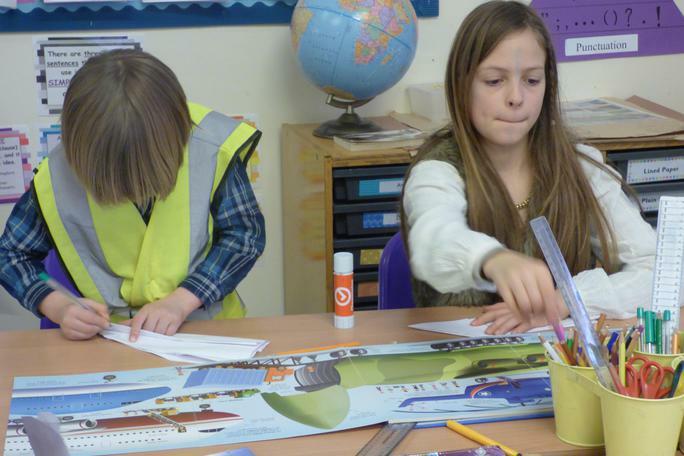 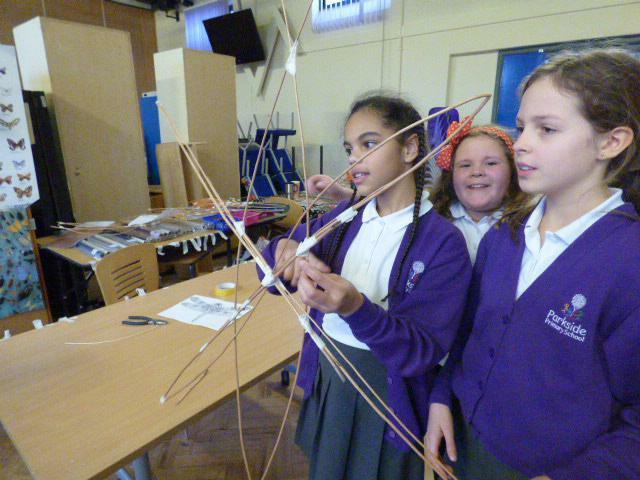 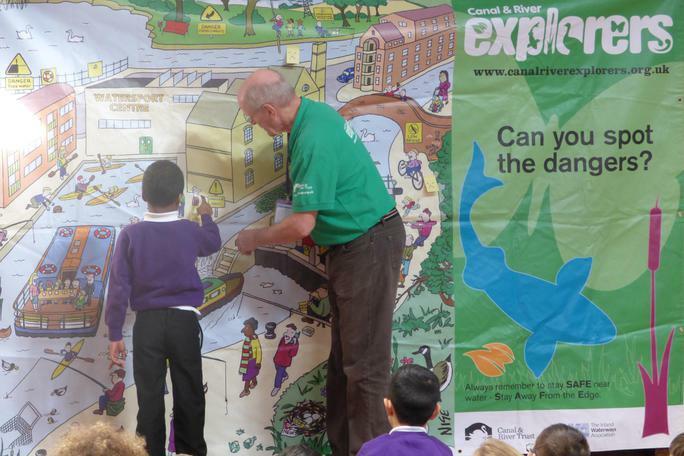 It was an amazing experience that gave the children lots of ideas of how to improve our planet! 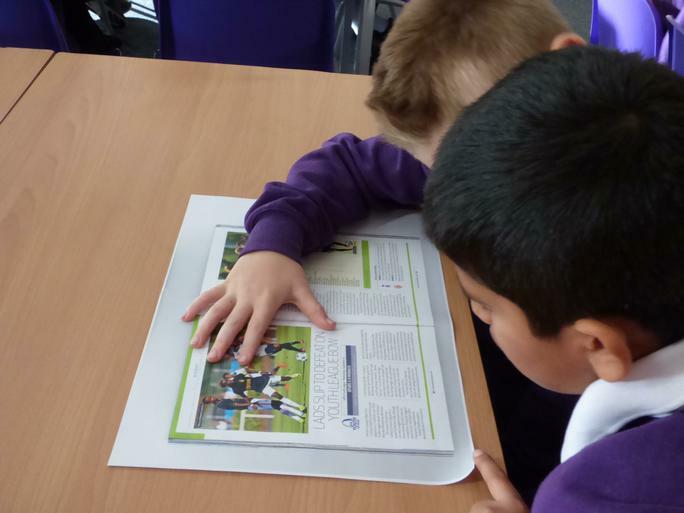 See the school council section to read about our campaigns. 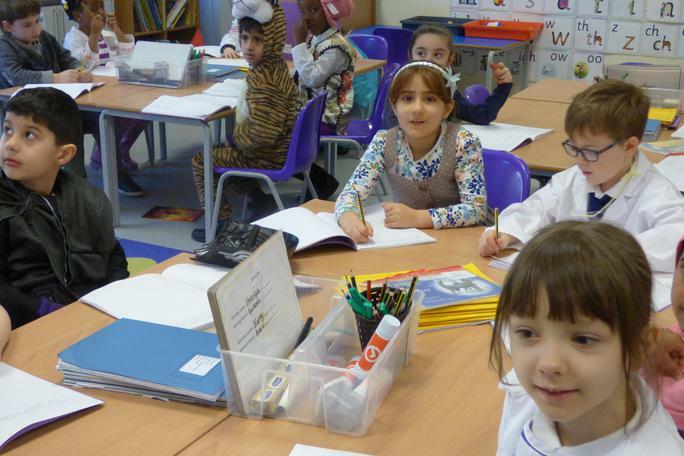 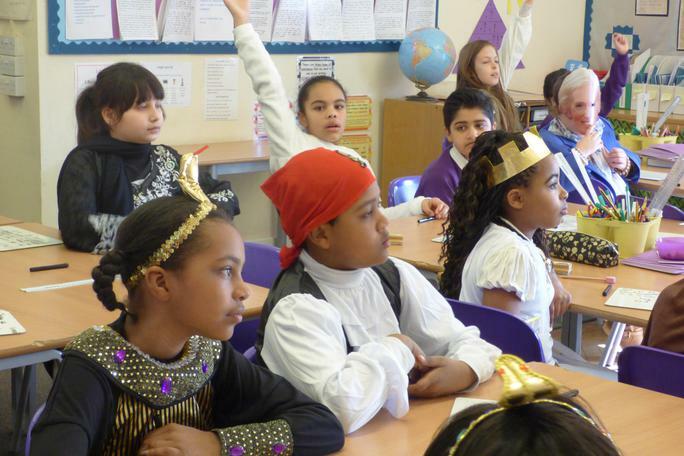 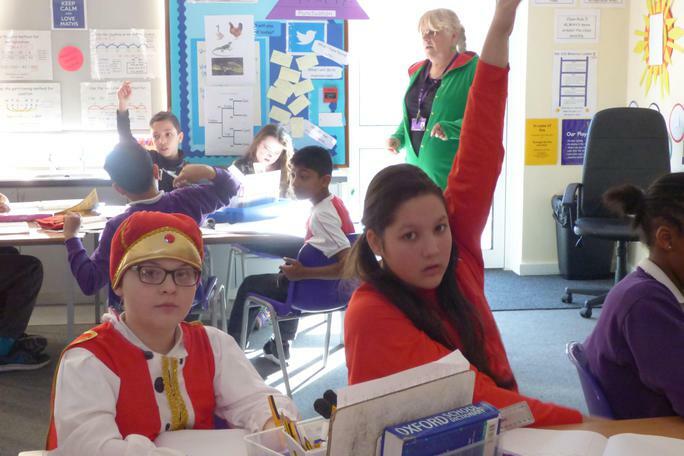 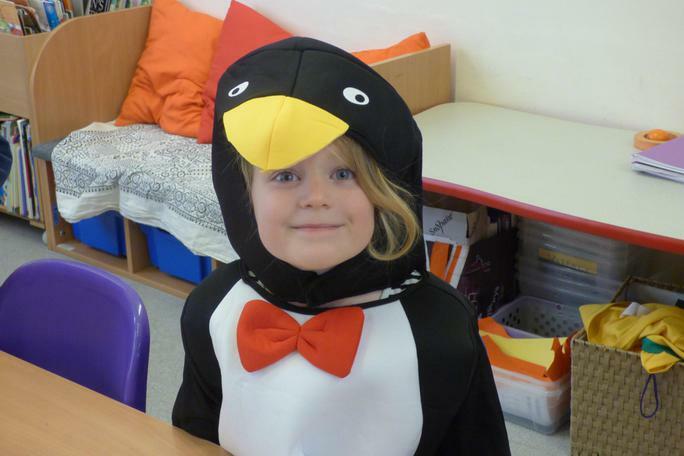 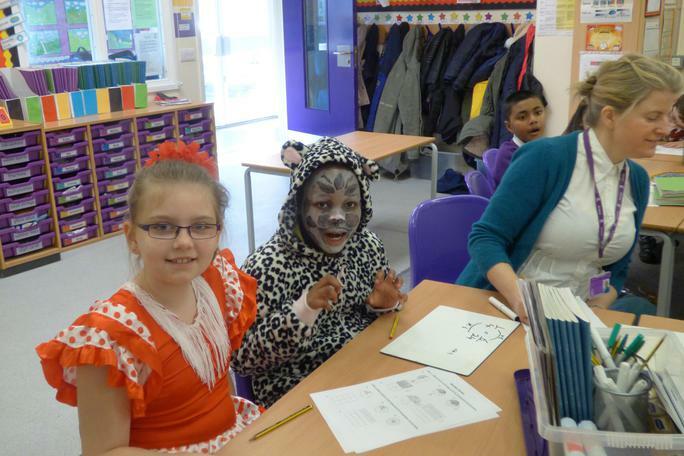 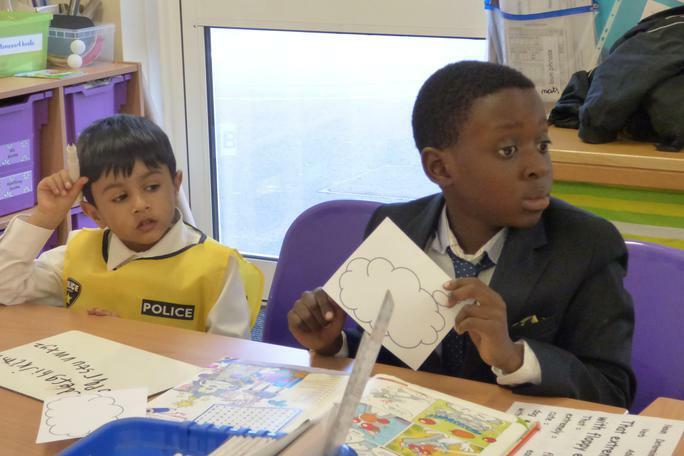 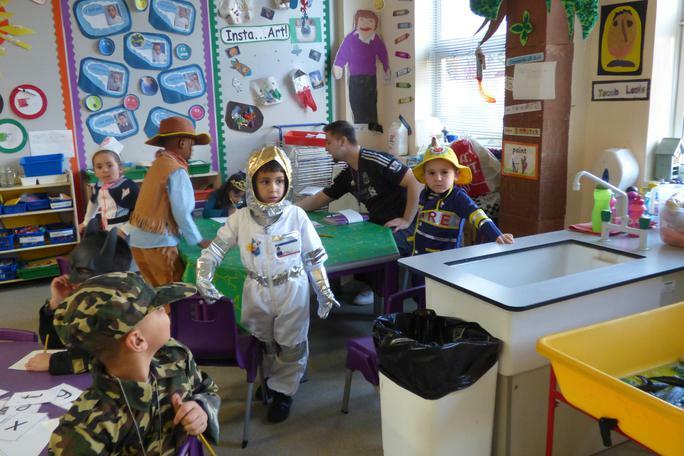 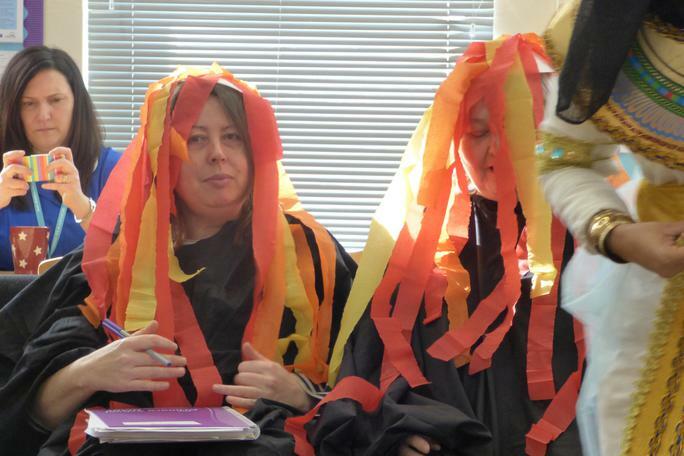 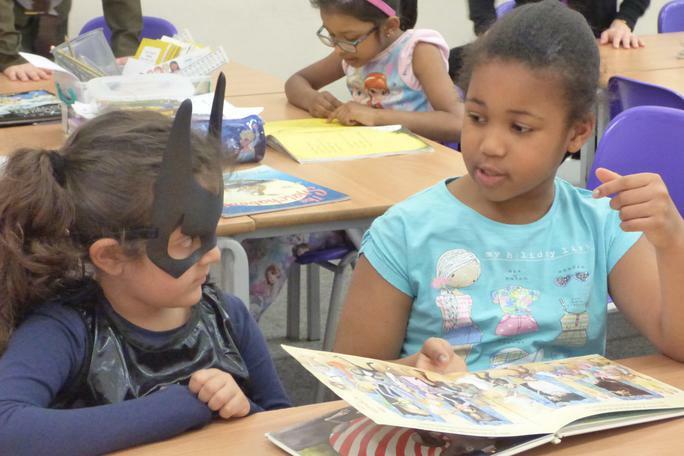 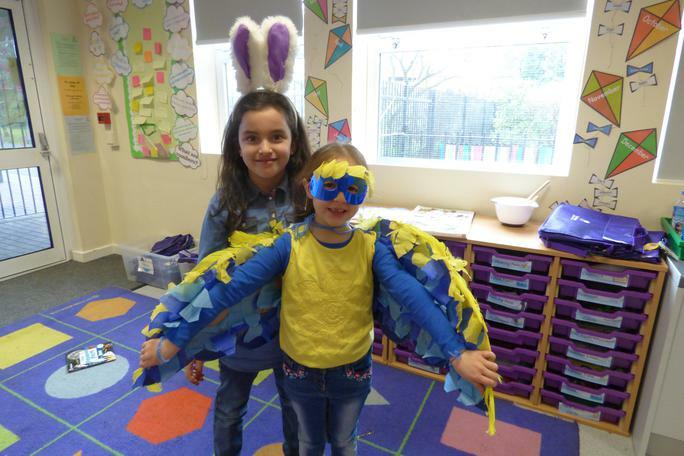 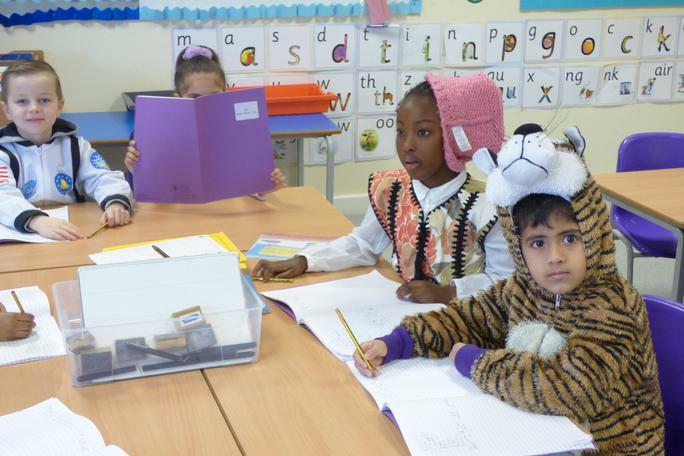 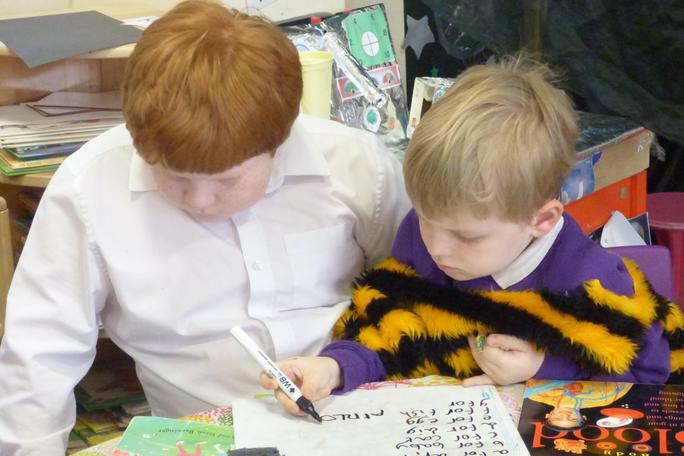 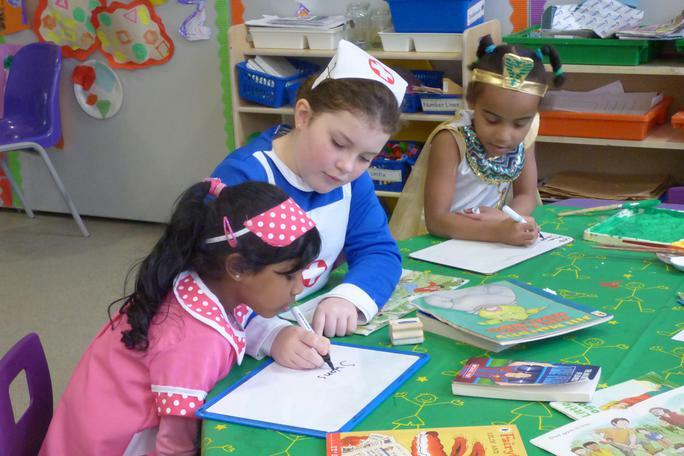 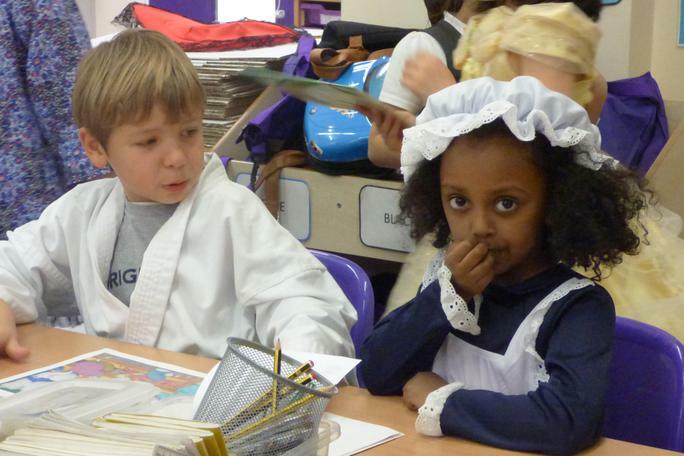 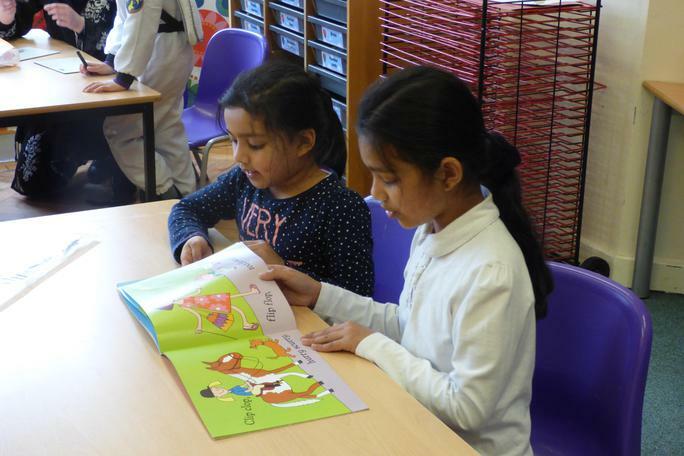 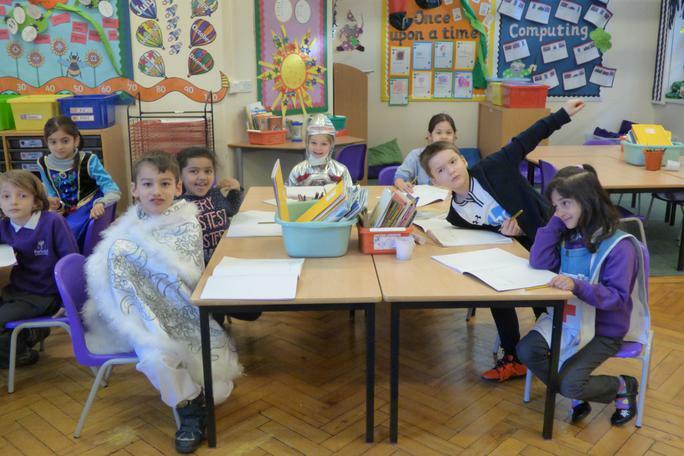 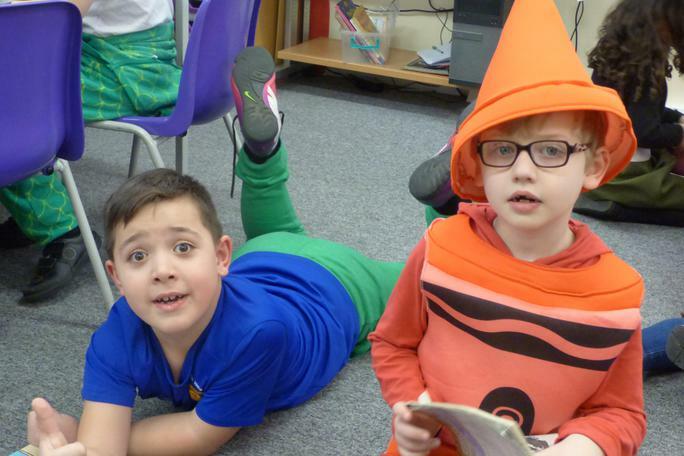 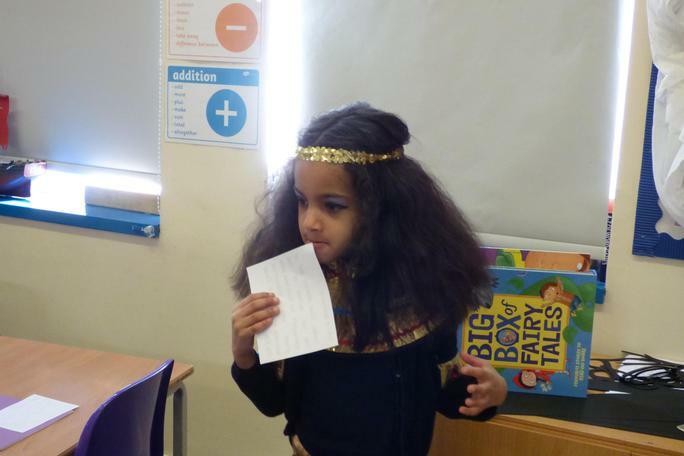 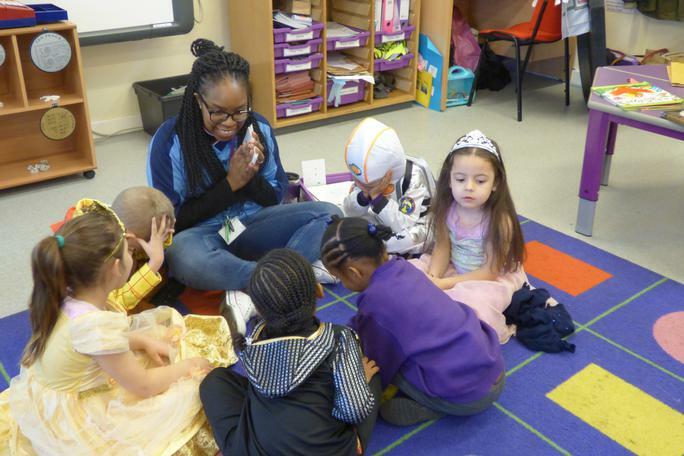 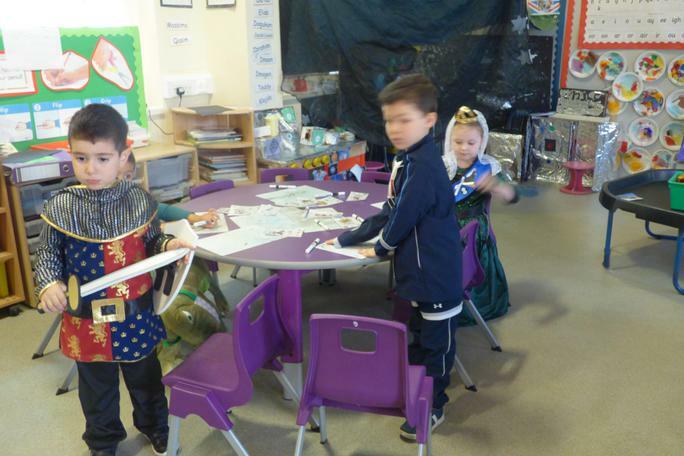 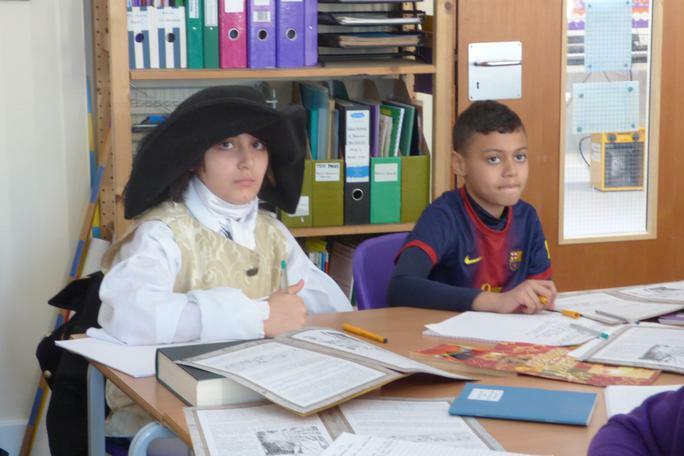 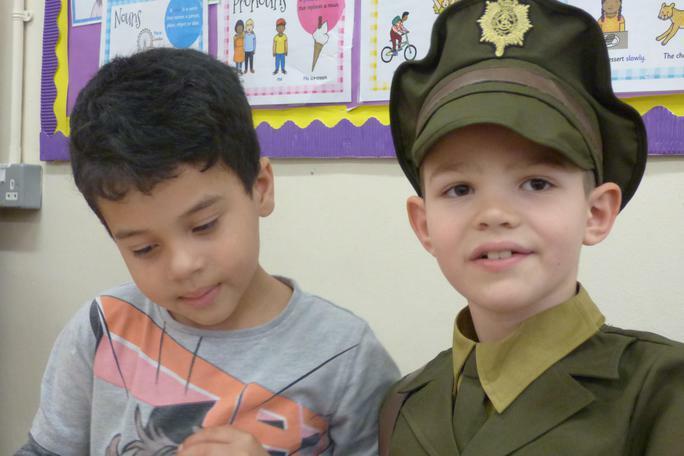 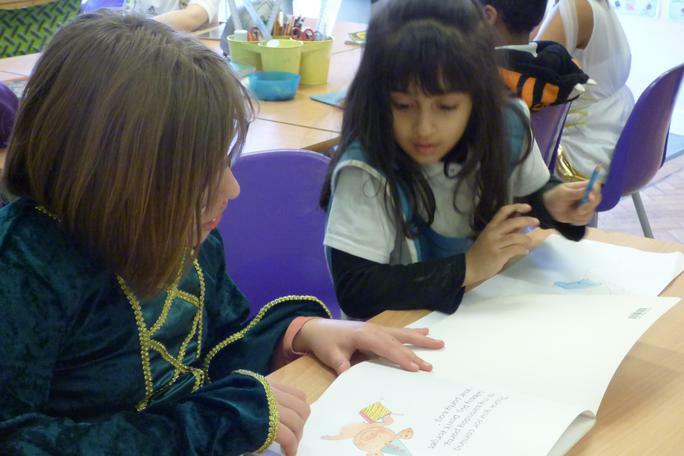 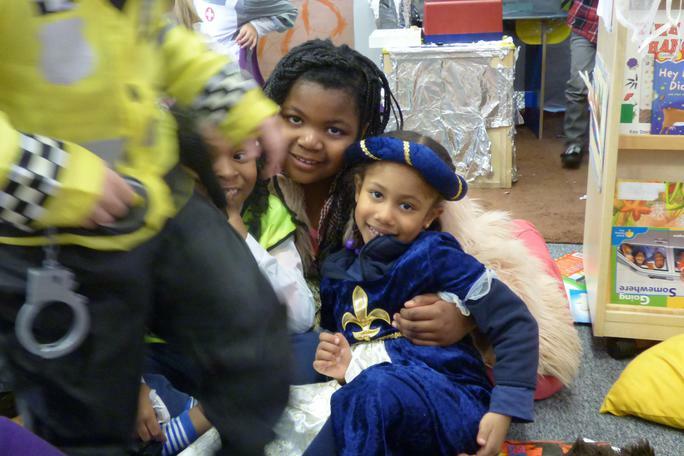 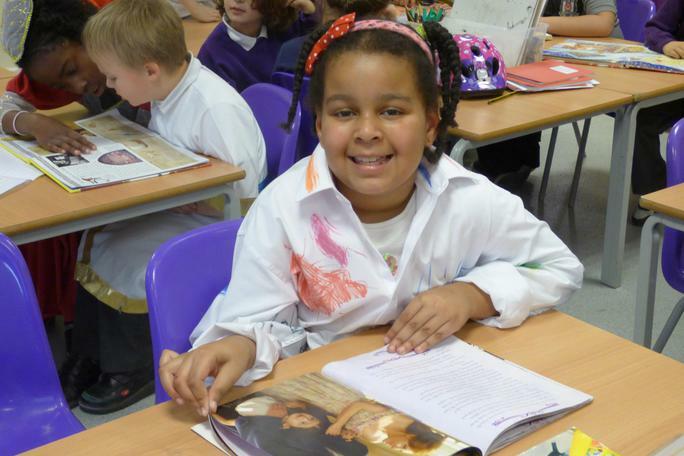 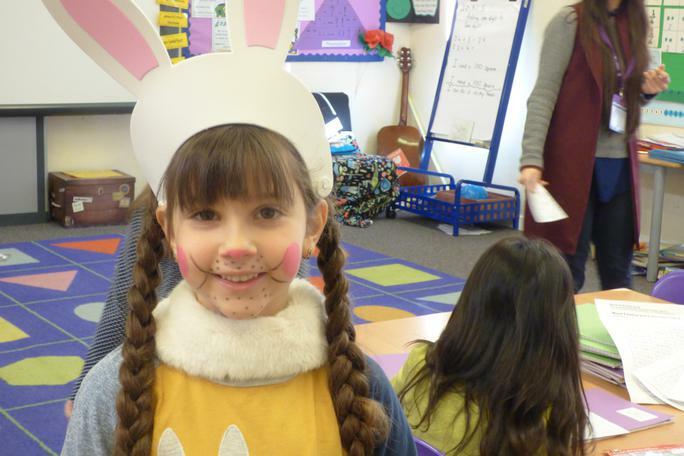 On Thursday March 3rd we celebrated World Book Day. 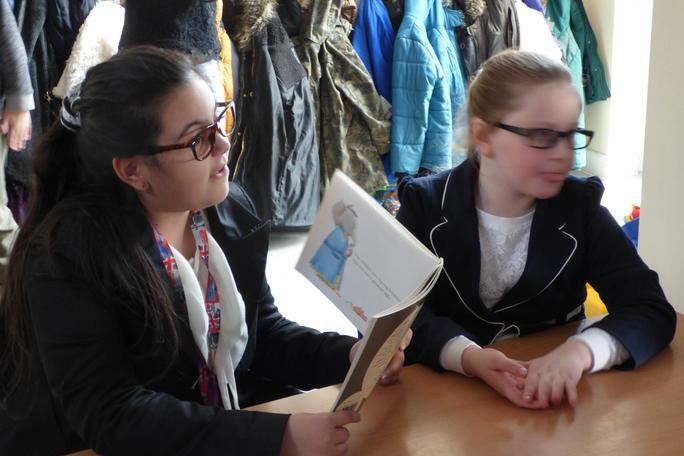 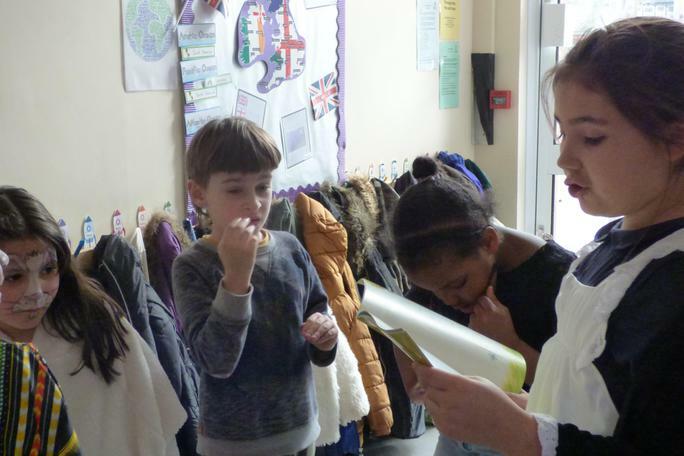 In the afternoon, children for the upper school, went to read and took part in various activities with their younger peers. 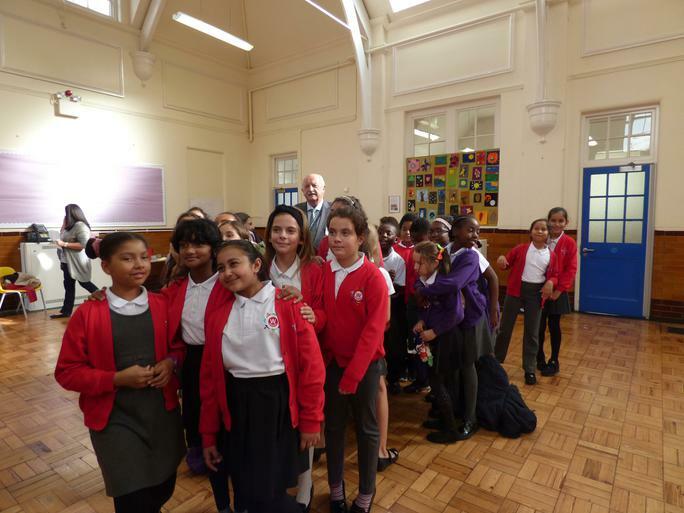 We welcome our new prefects, head girl and head boy. 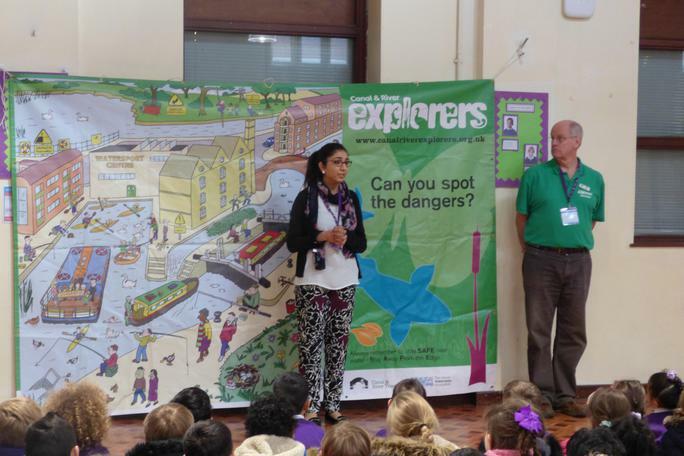 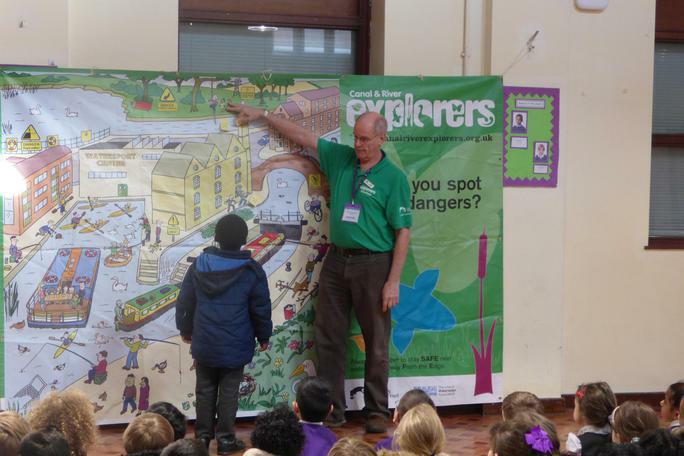 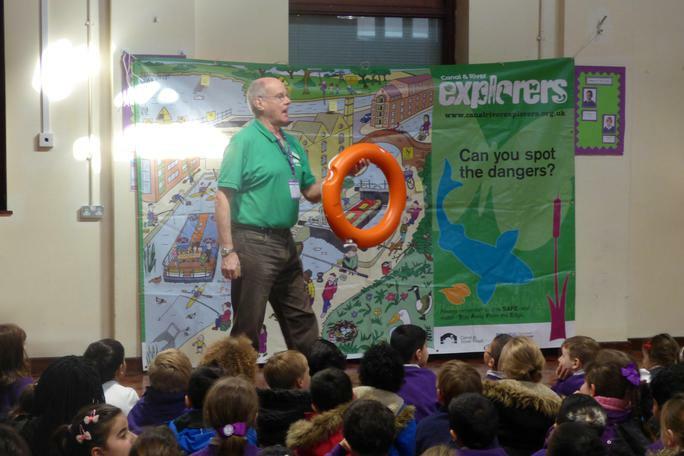 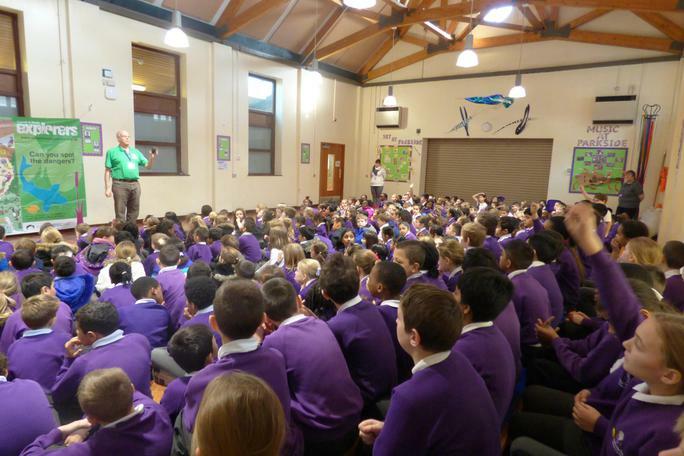 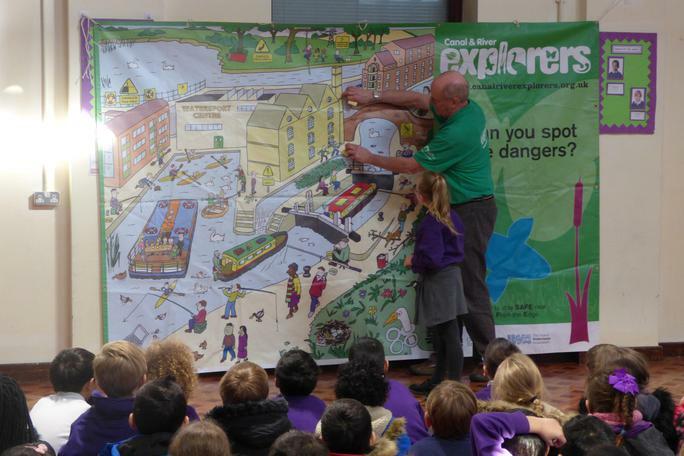 We had a volunteer from riverandcanalexplorers.org.uk to teach us all about water safety in assembly. 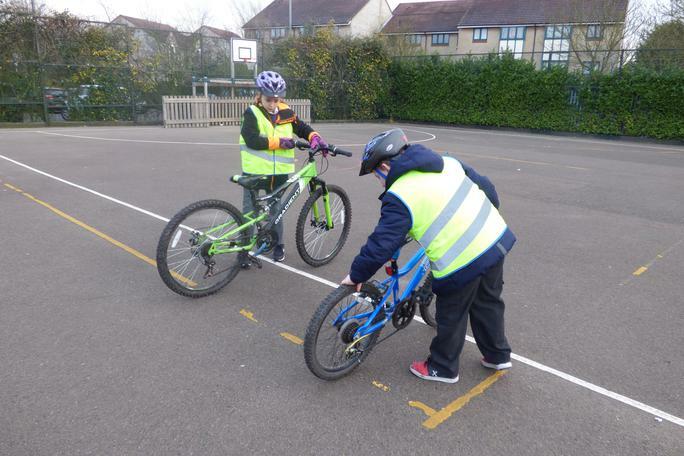 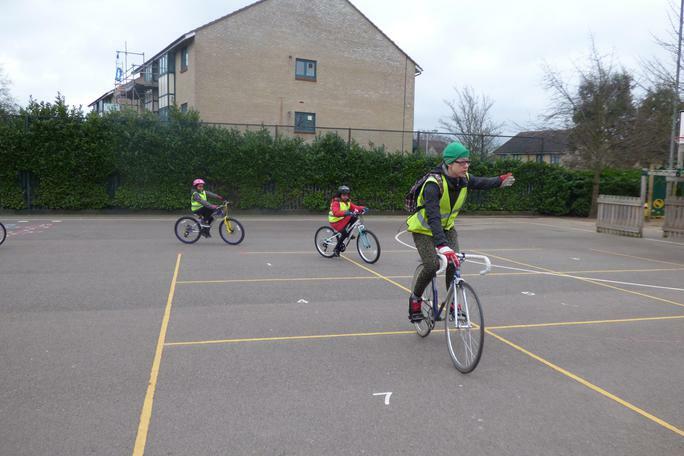 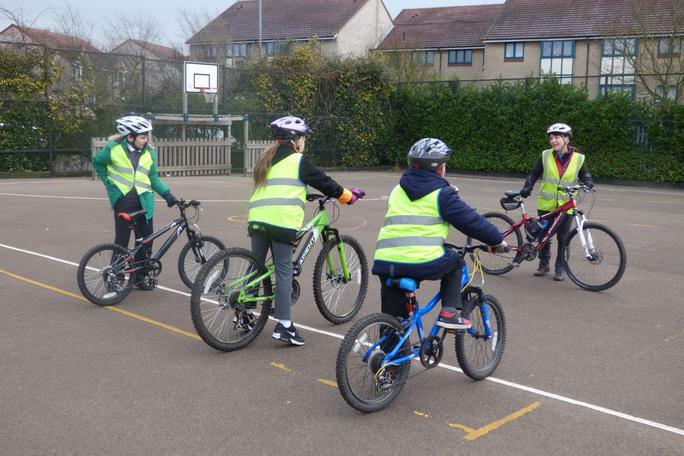 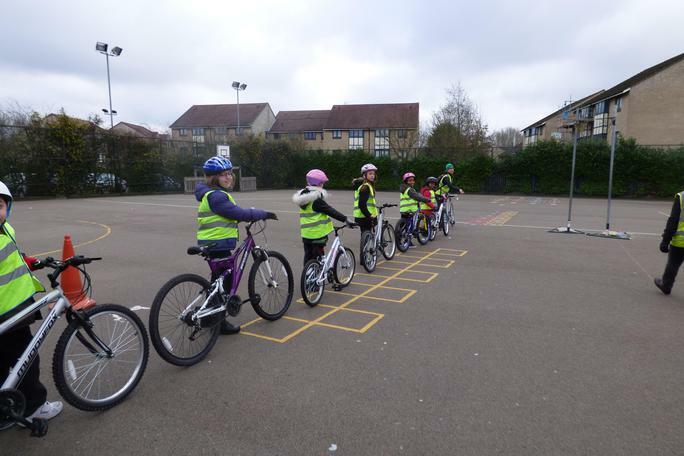 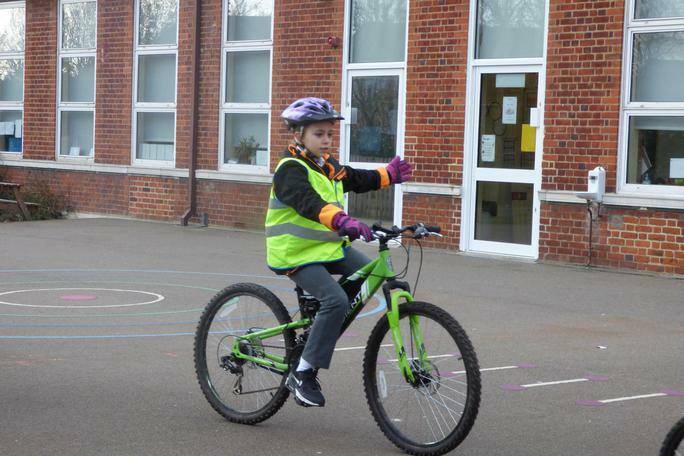 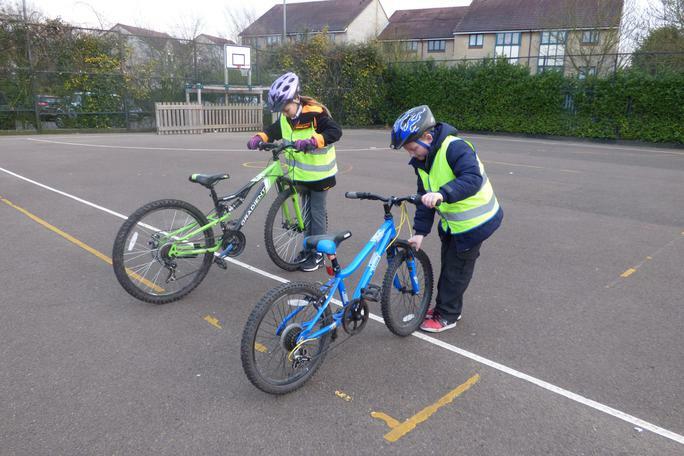 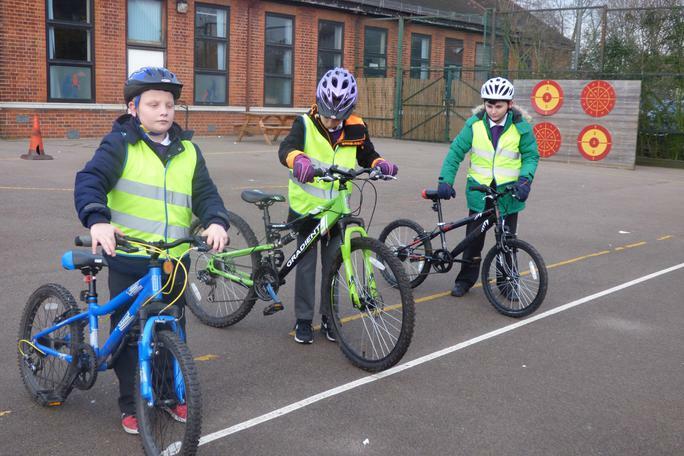 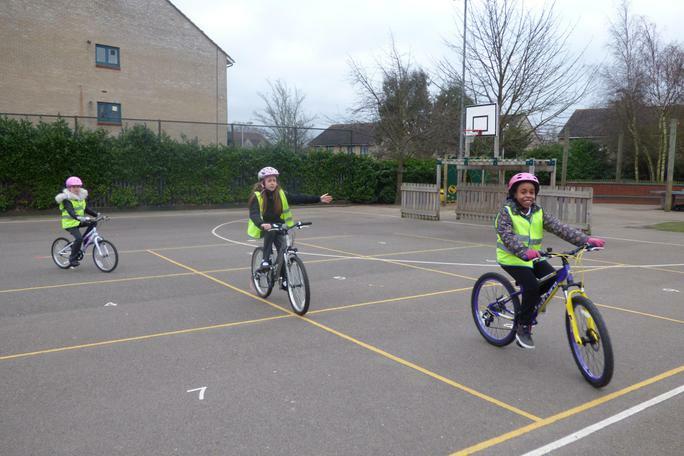 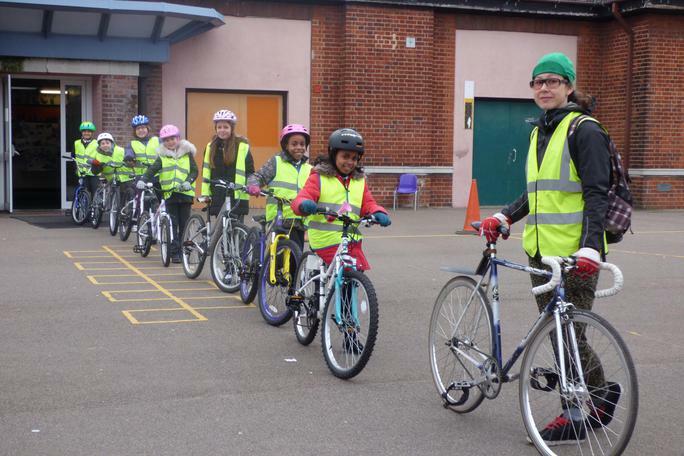 The week before February Half-Term some children had the opportunity to learn all about bike safety, from basic bikes checks to safe cycling on the road. 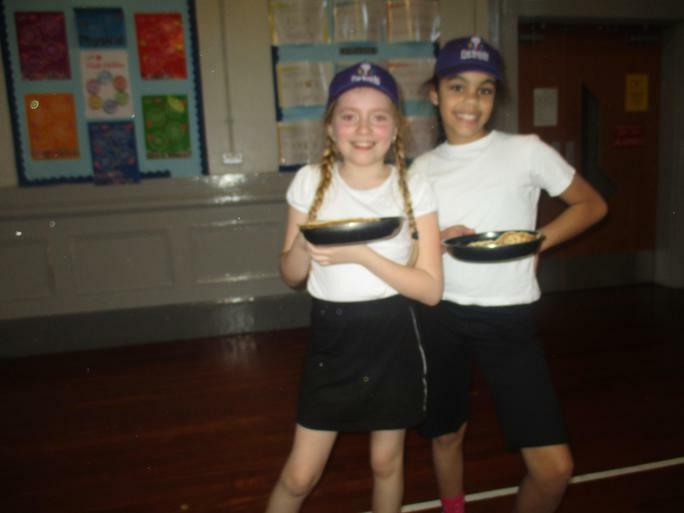 Pancake Day is on Tuesday February 9th. 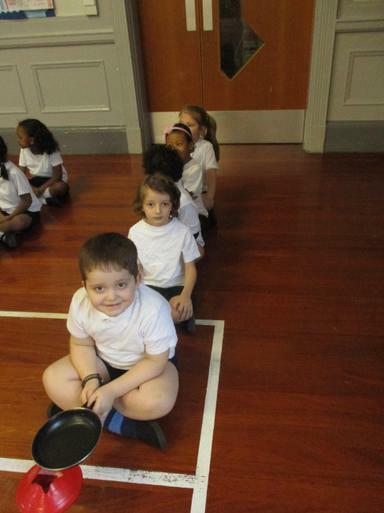 We''ll celebrate it with our traditional " Pancake Race." 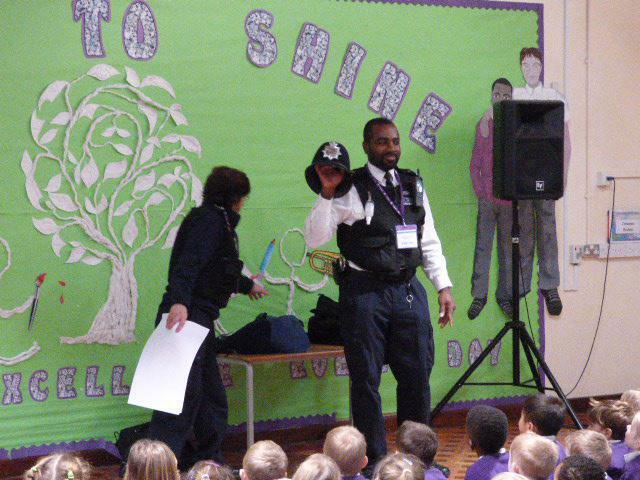 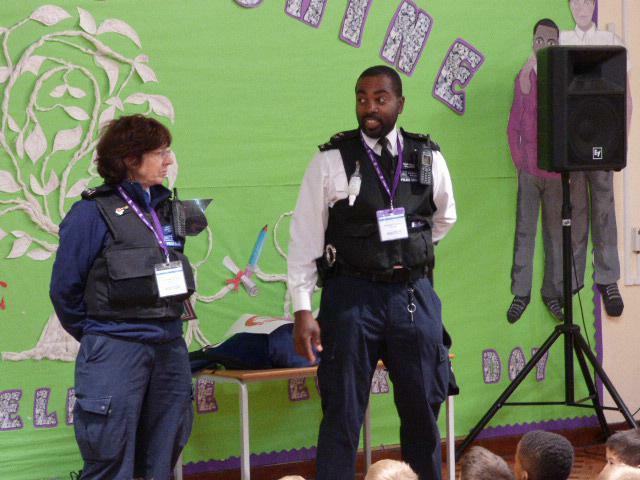 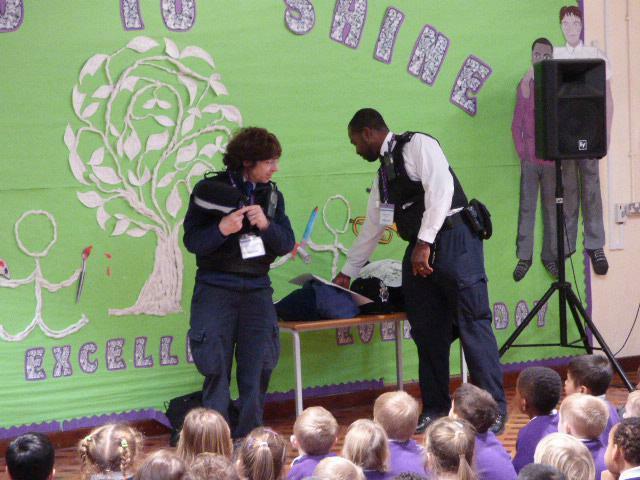 On January 13th, two policemen came to our assembly to explain their role in the community and to tell us what to do if we need their help. 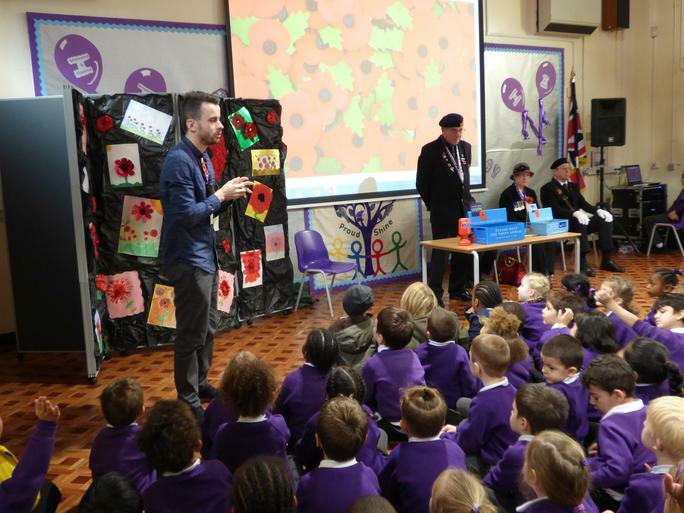 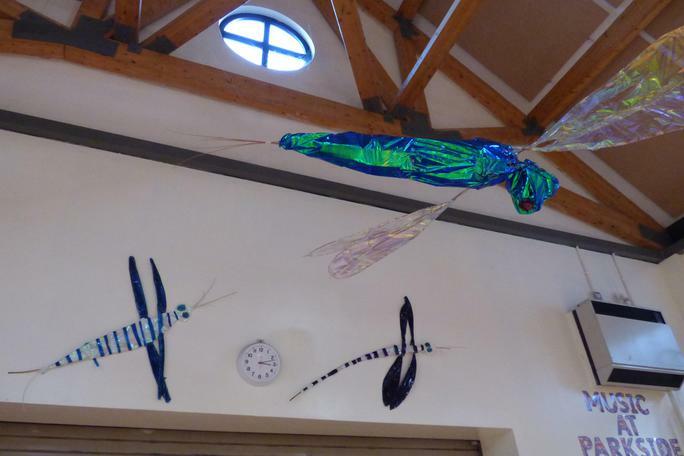 In January 2016 we had two artists coming to our school. 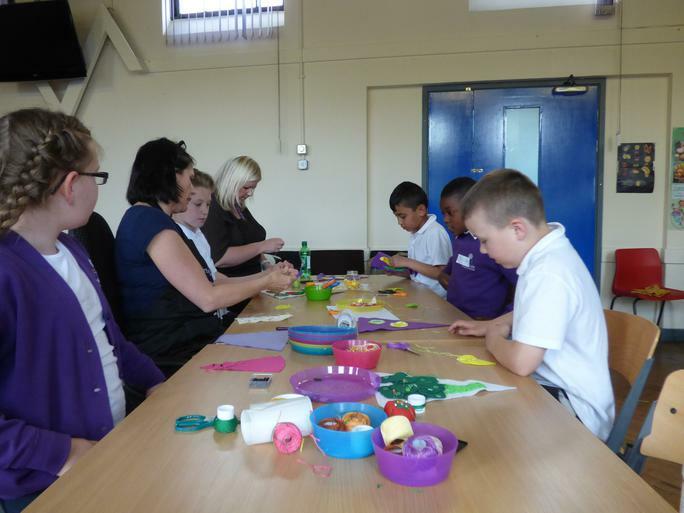 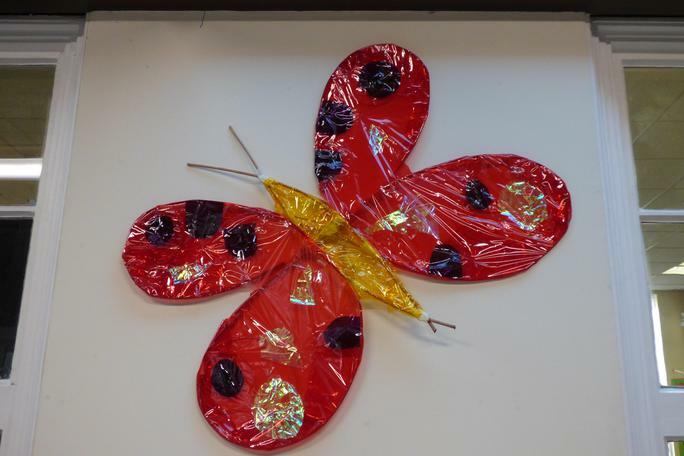 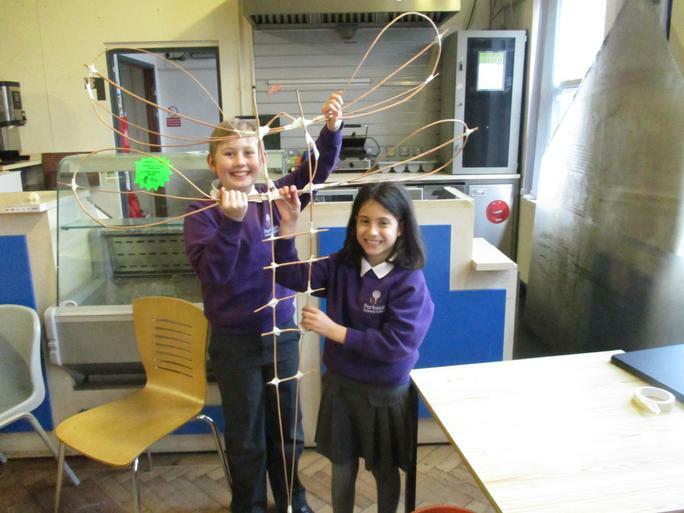 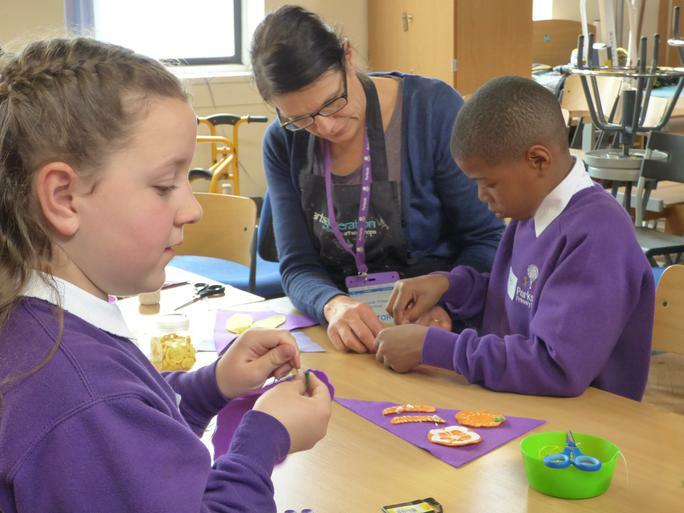 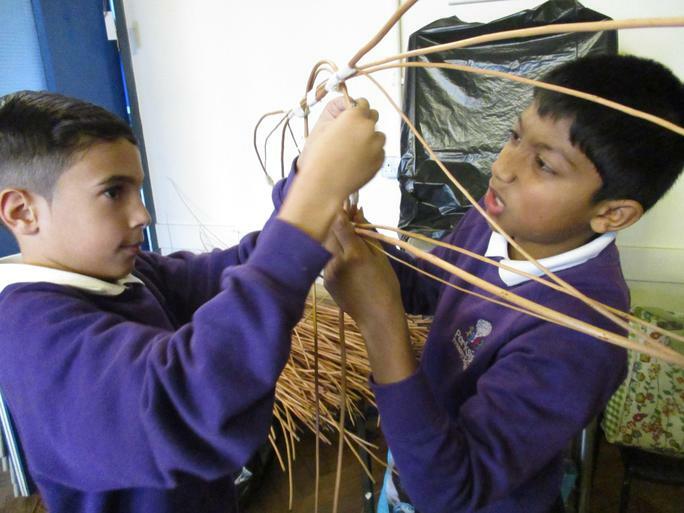 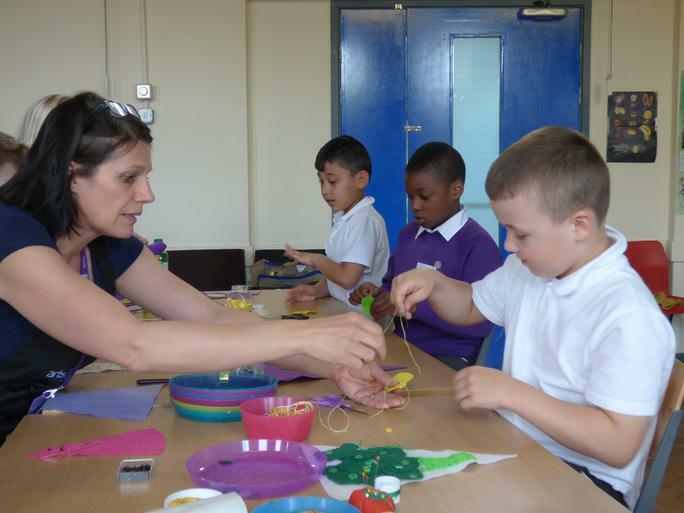 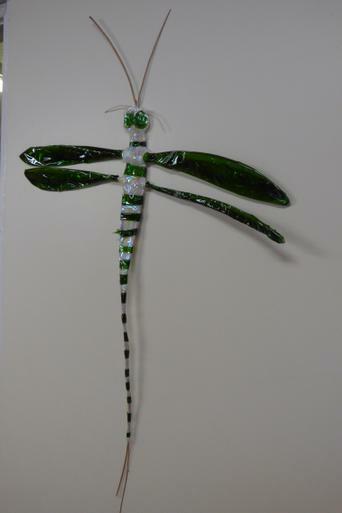 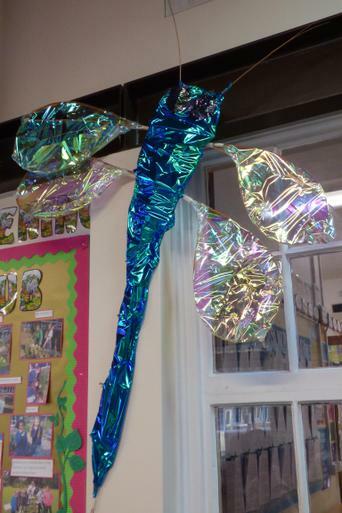 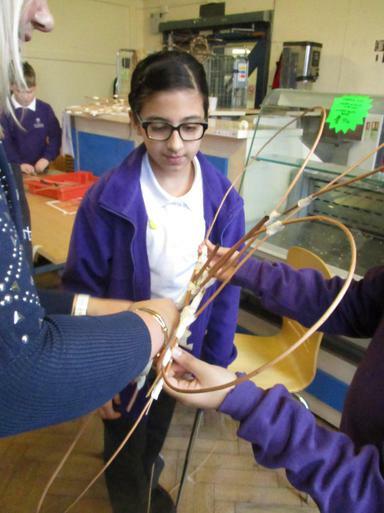 They helped us to create some gorgeous creations that will be displayed around the school. 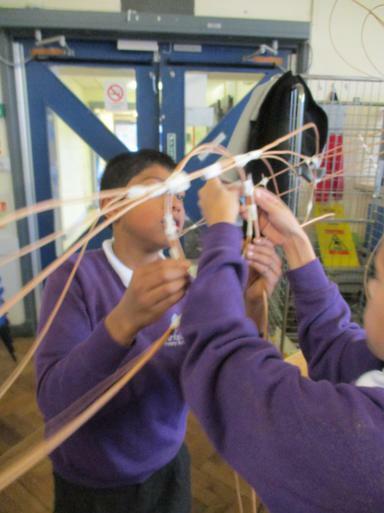 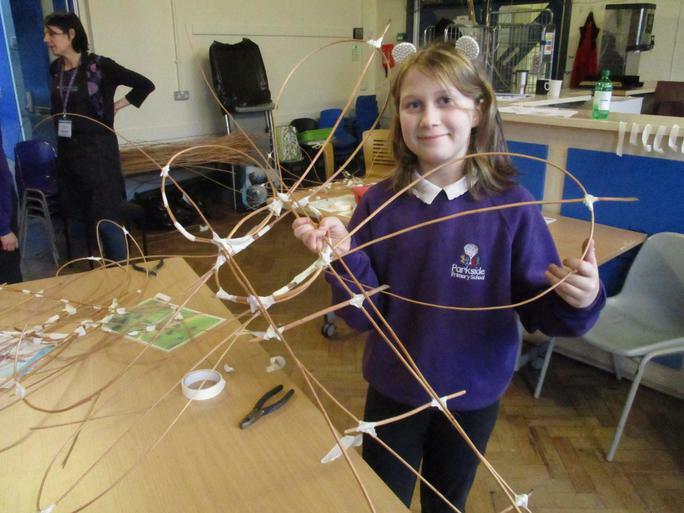 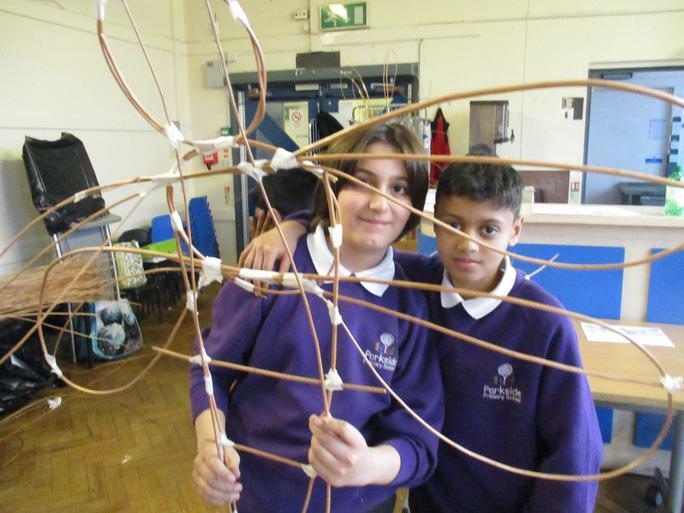 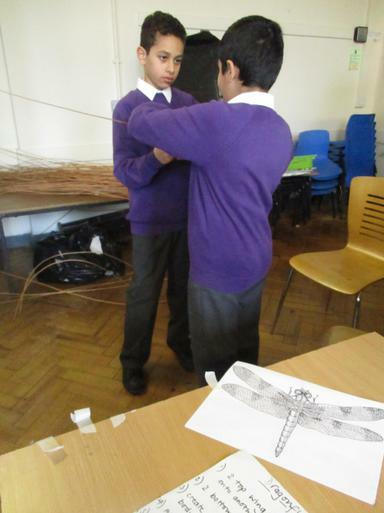 Here are some photos of how we helped each other to make them. 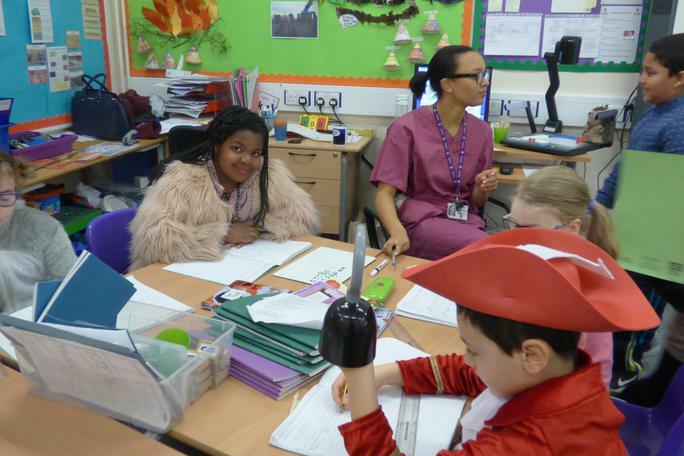 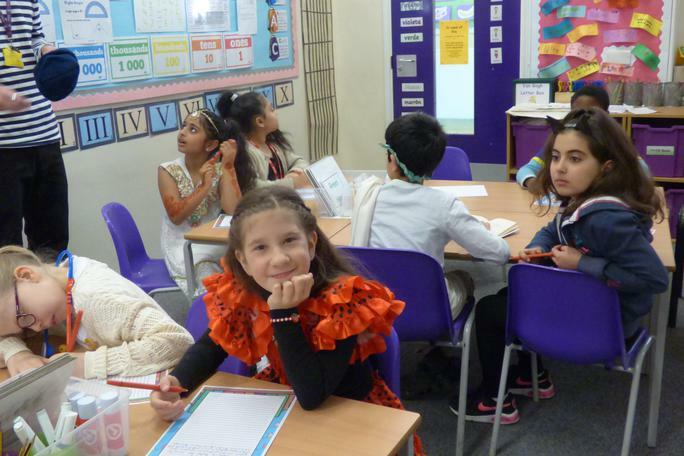 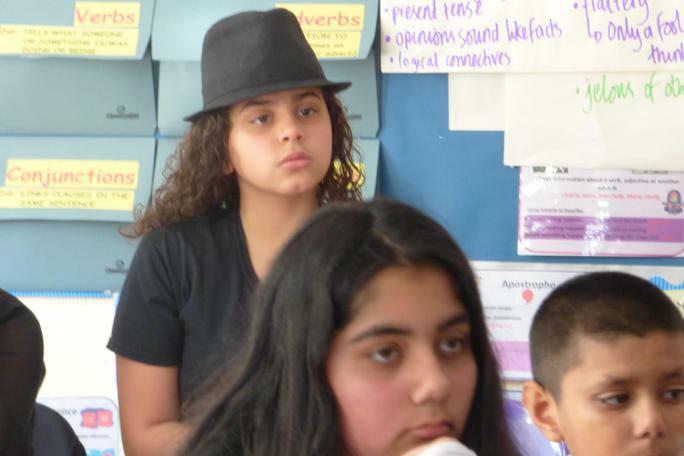 On January 6th 2016 Year 4 Classes had an amazing treat. 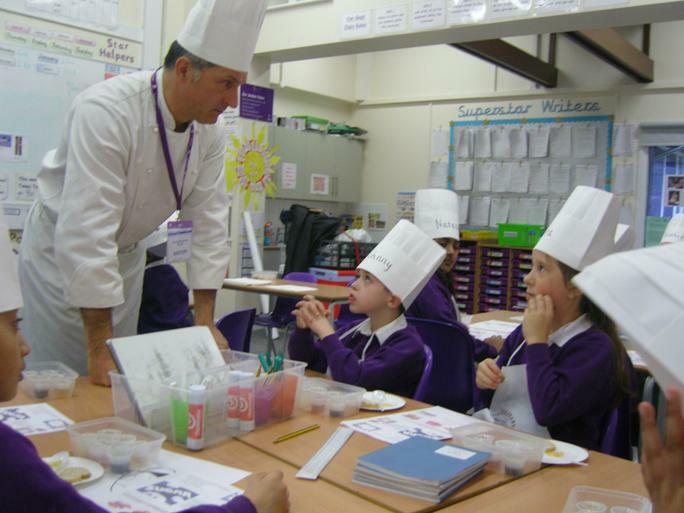 They were visited by a professional chef from the Royal Academy of Culinary Art. 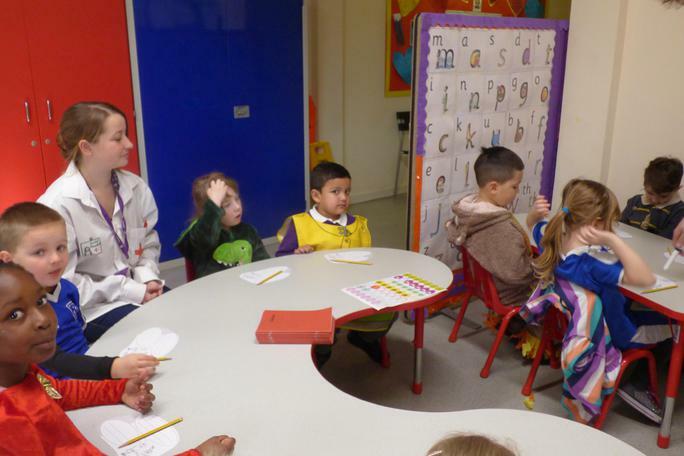 He will be holding four sessions with them. 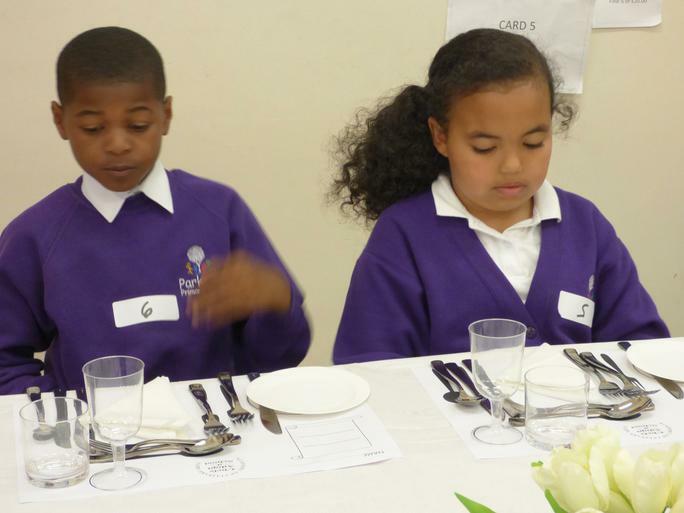 The first one was about taste. 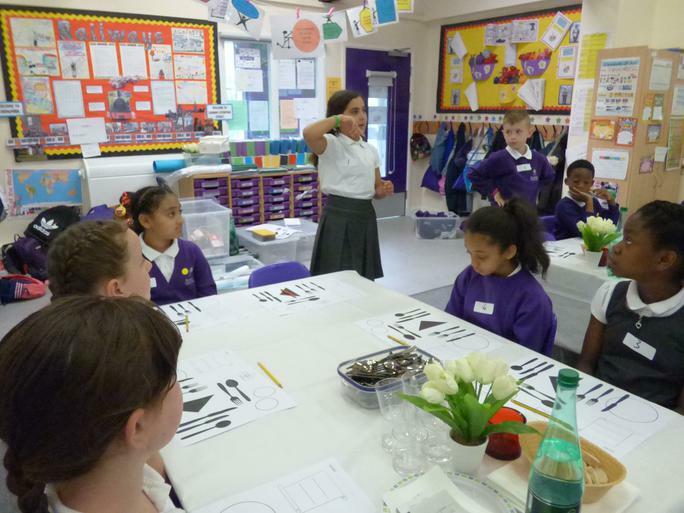 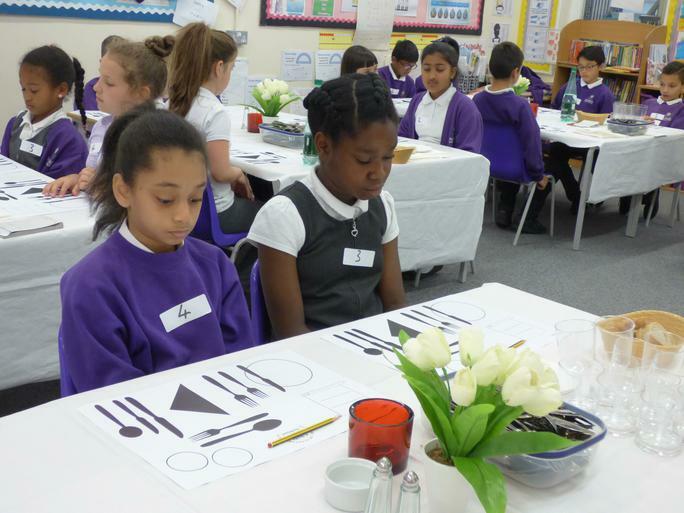 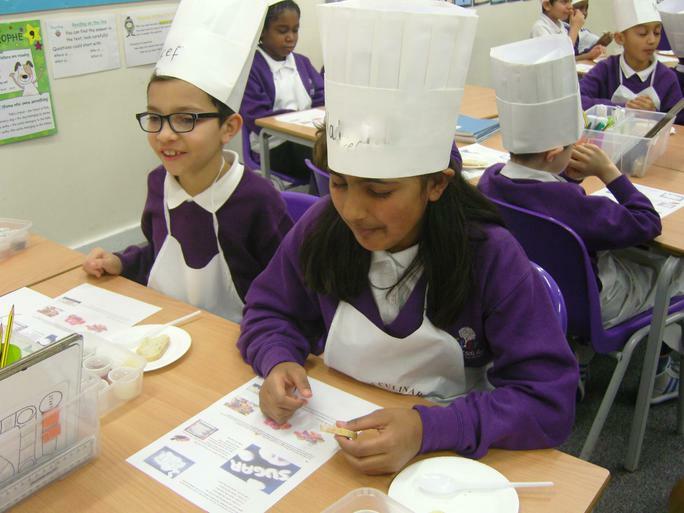 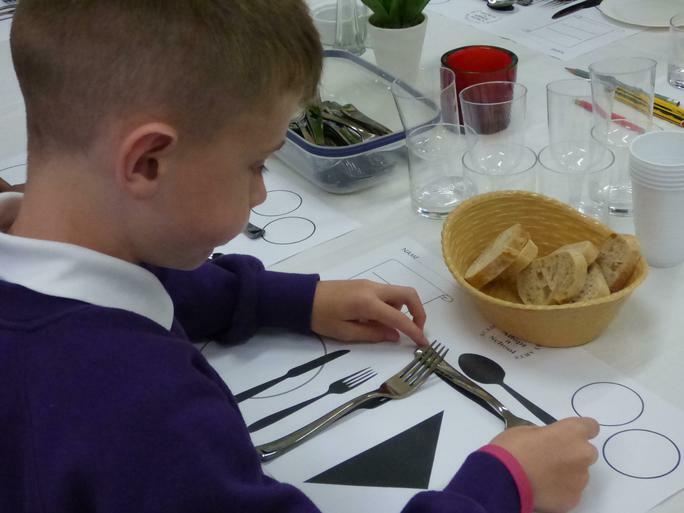 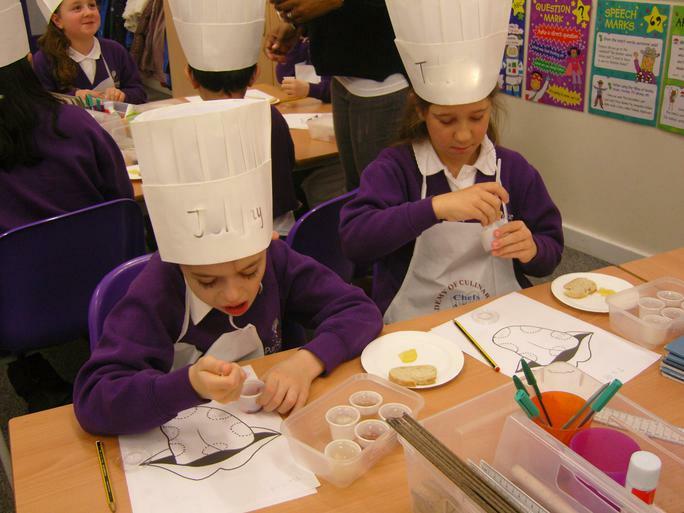 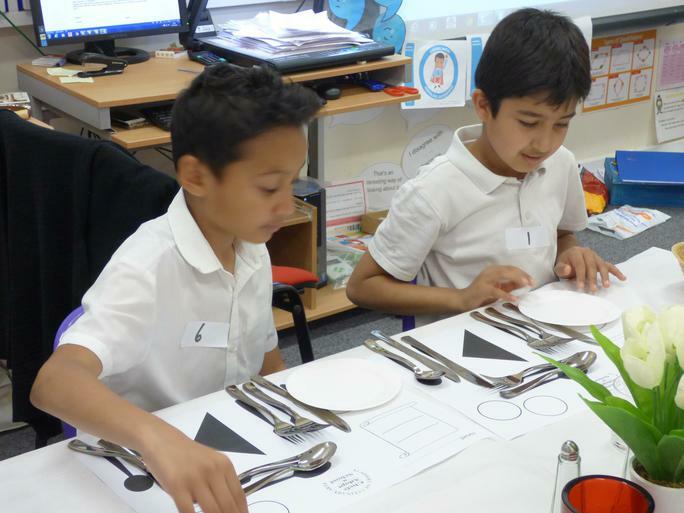 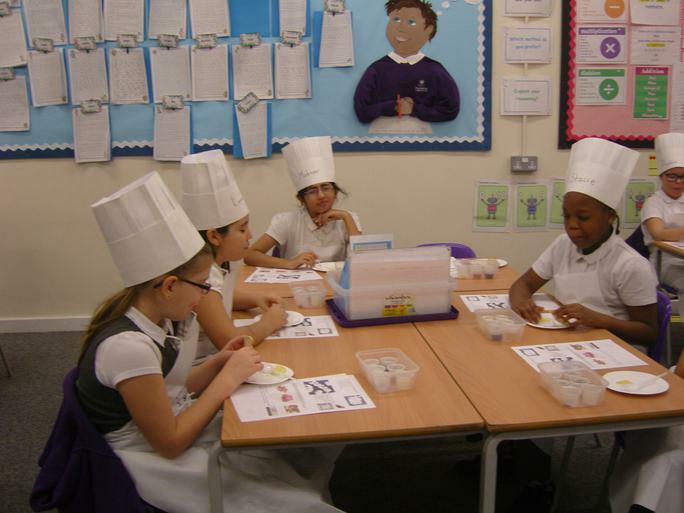 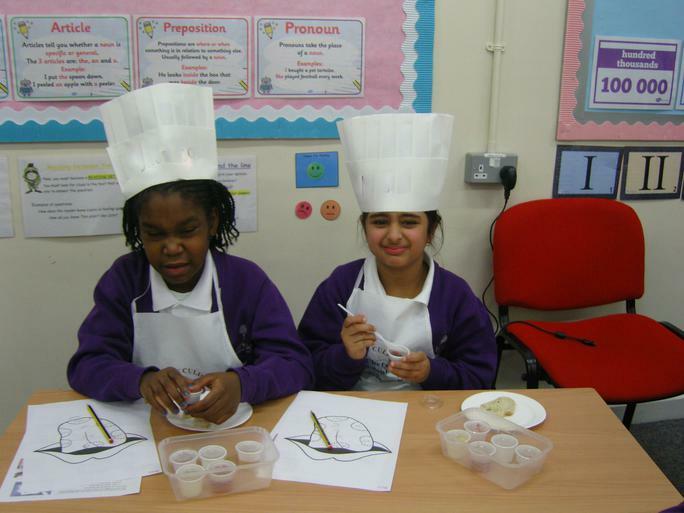 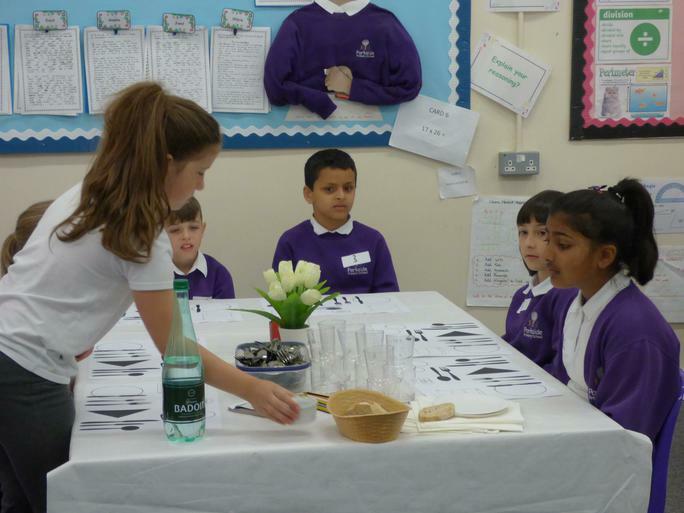 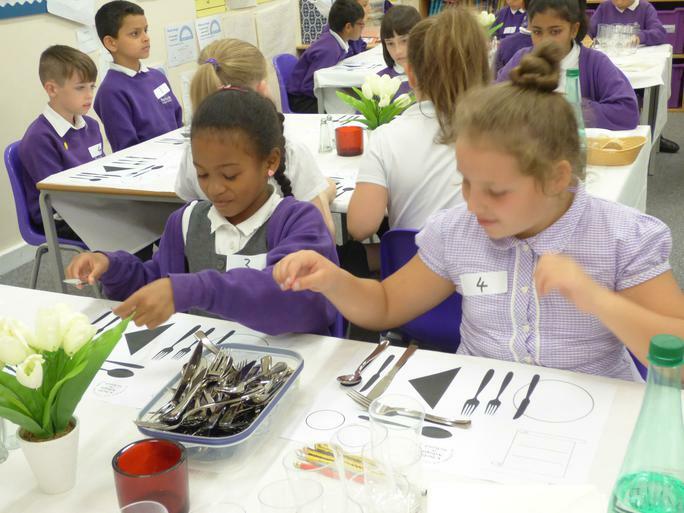 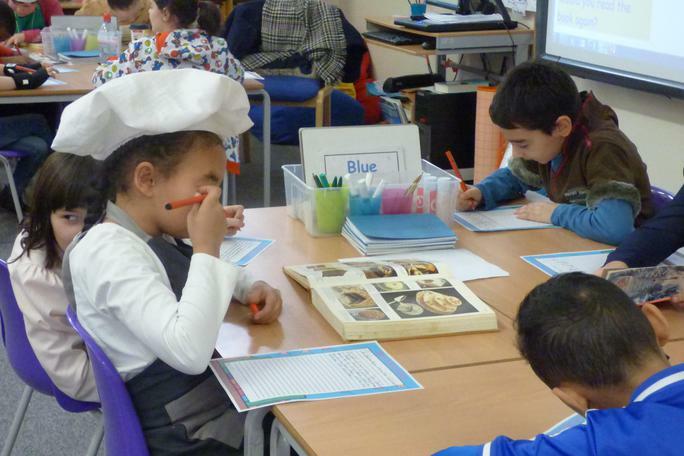 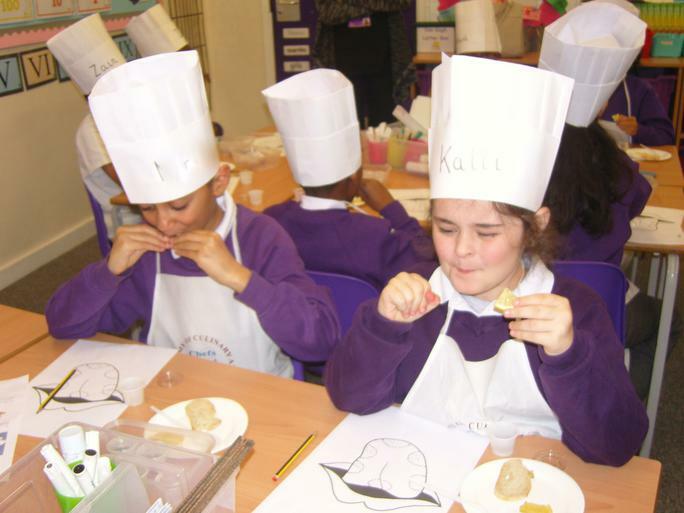 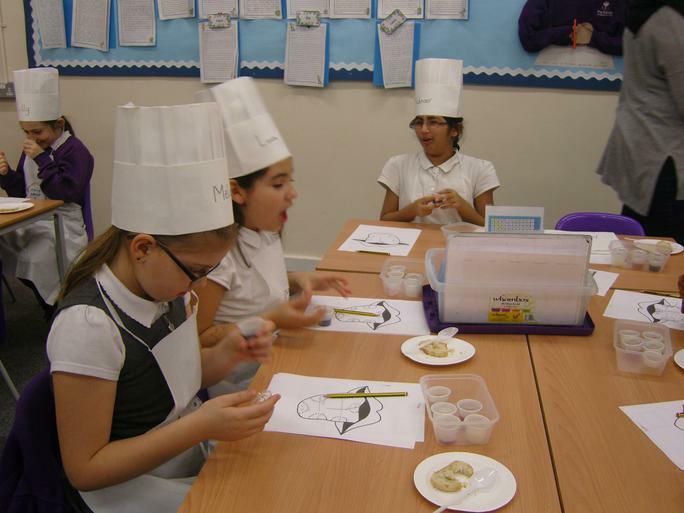 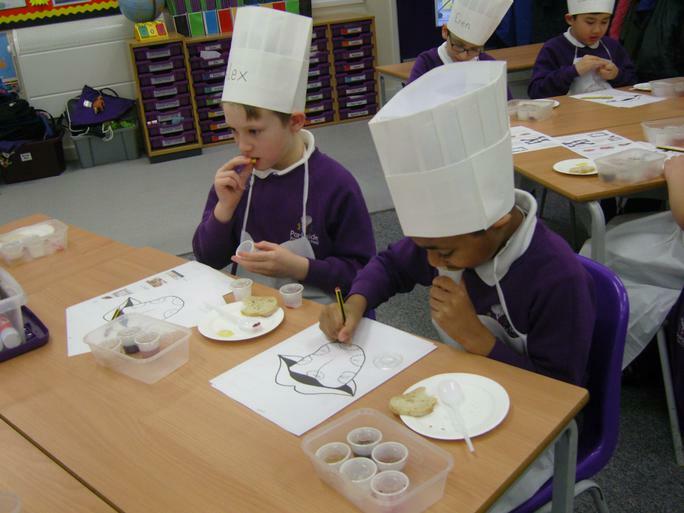 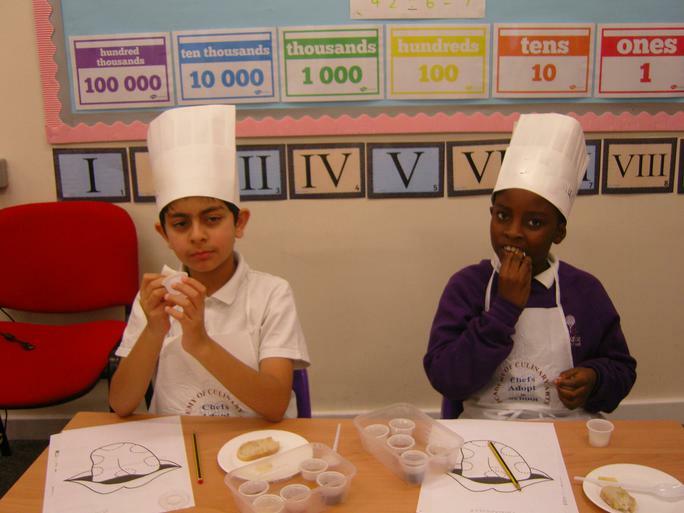 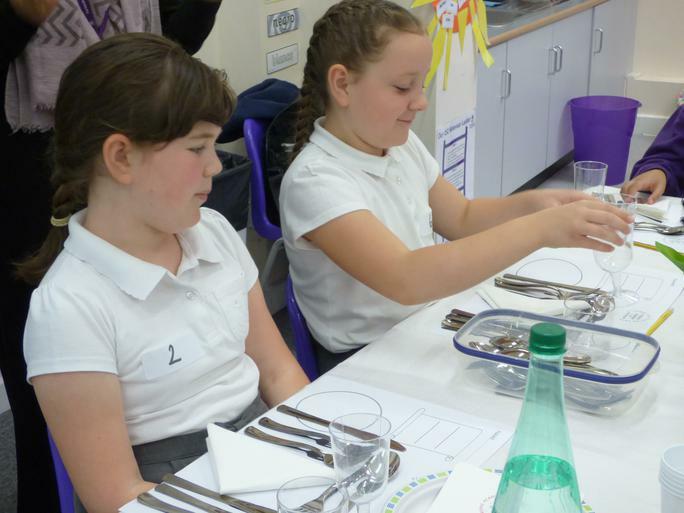 Children were encouraged to taste a variety of food and to use their five senses when experimenting with it.